Buchen Sie 15 Tage vor Anreise und erhalten 15 % Rabatt auf den Mietpreis. 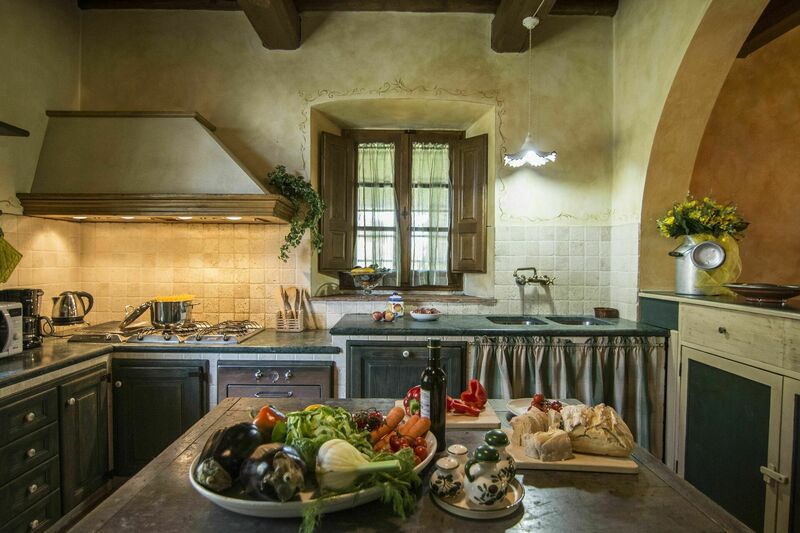 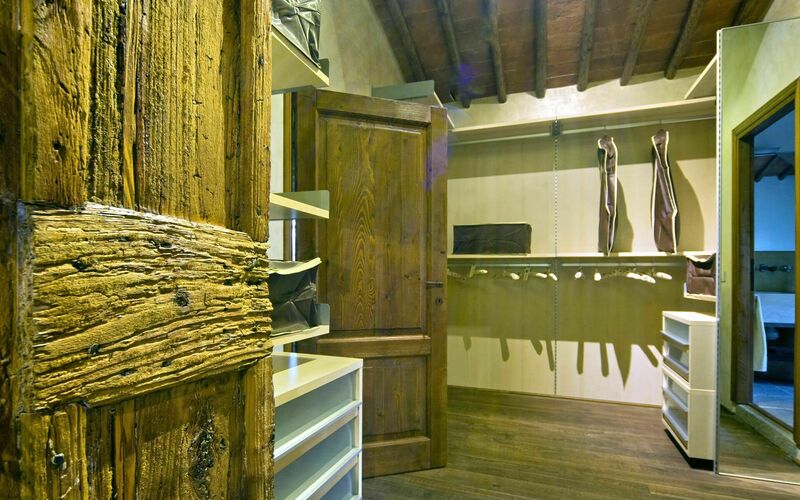 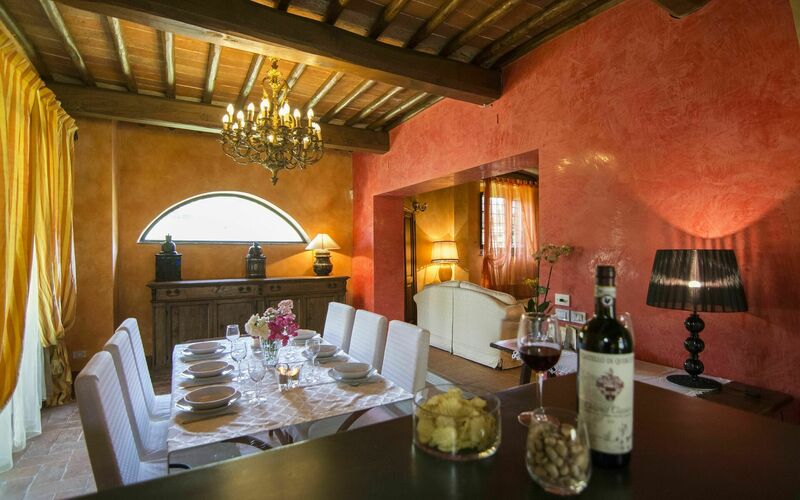 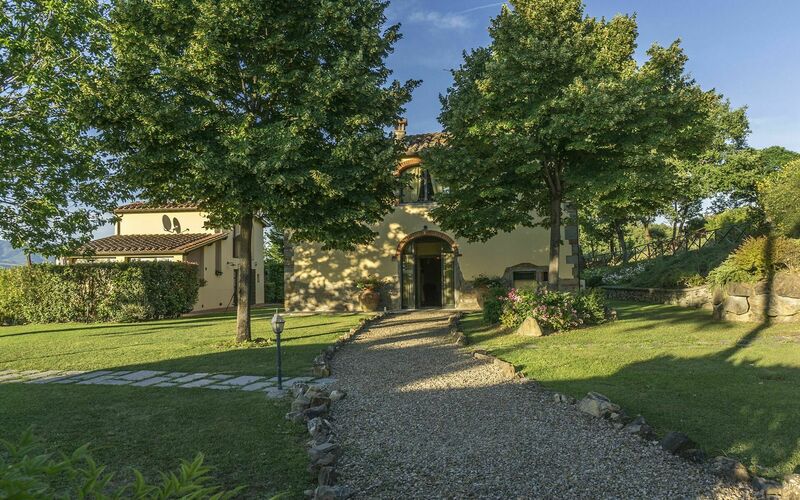 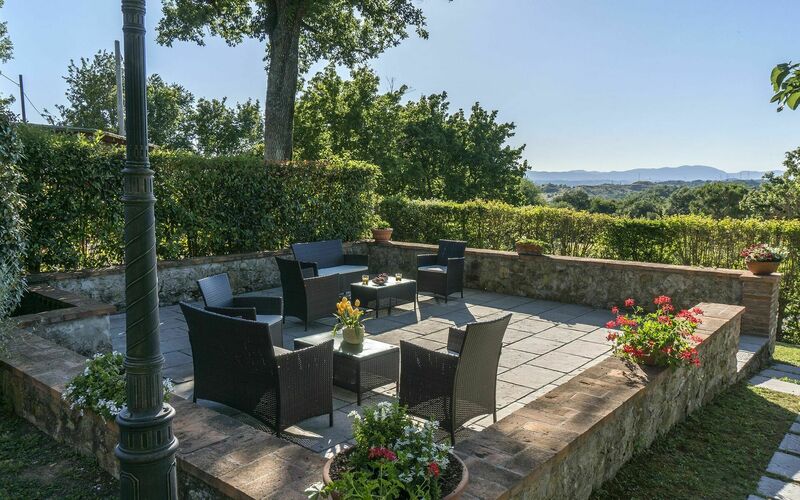 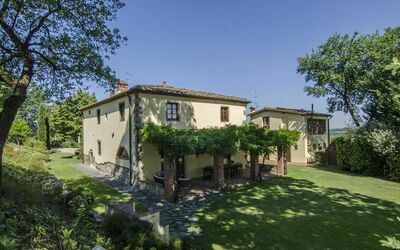 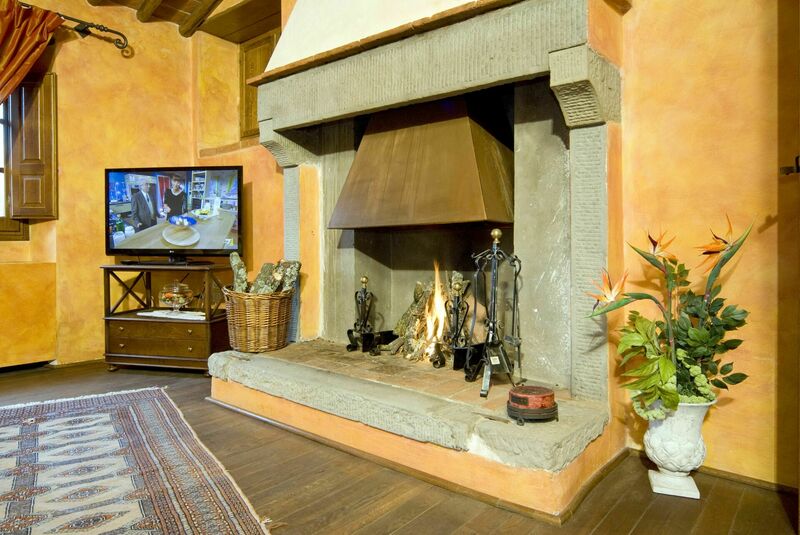 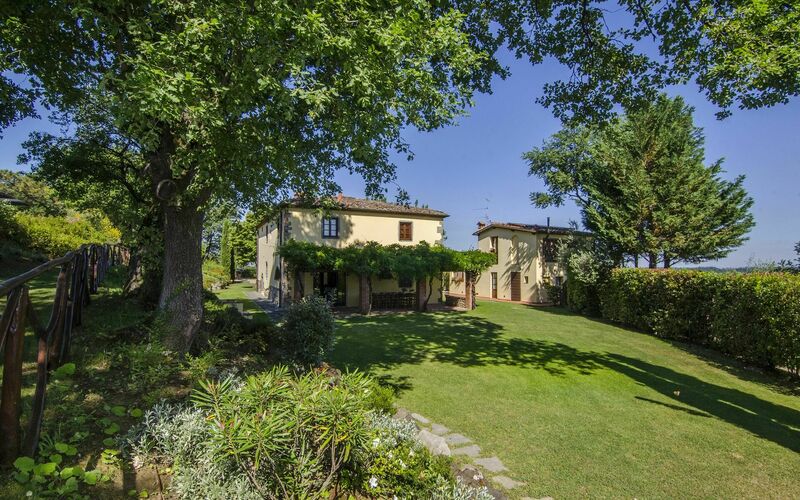 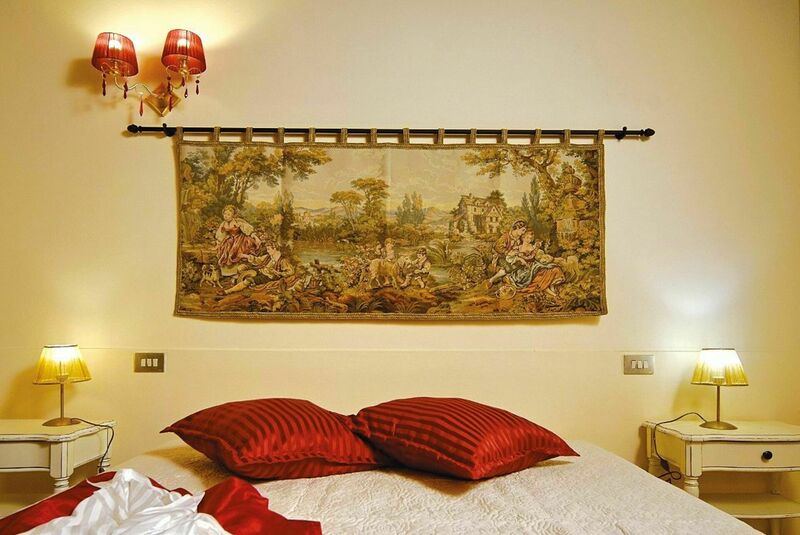 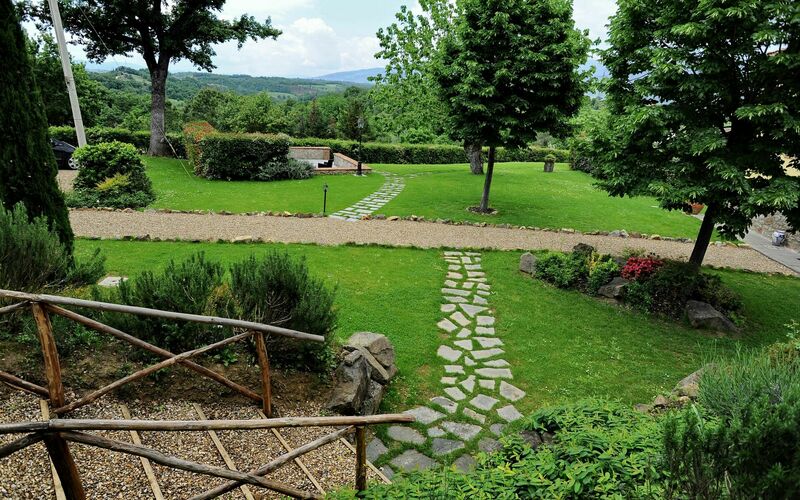 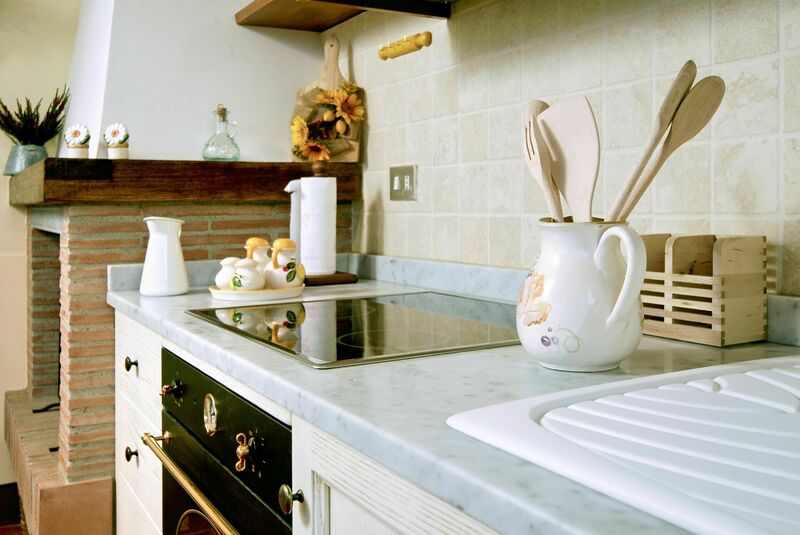 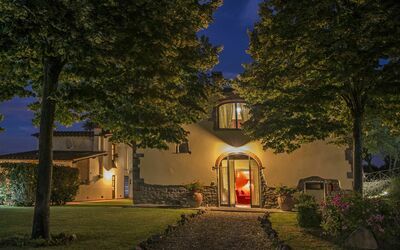 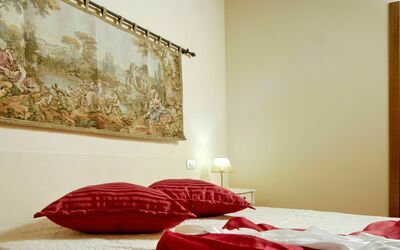 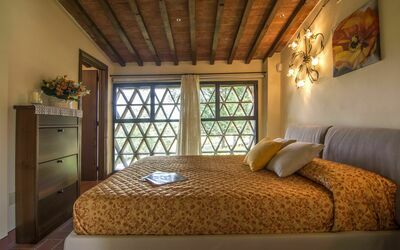 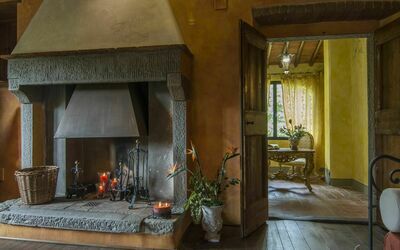 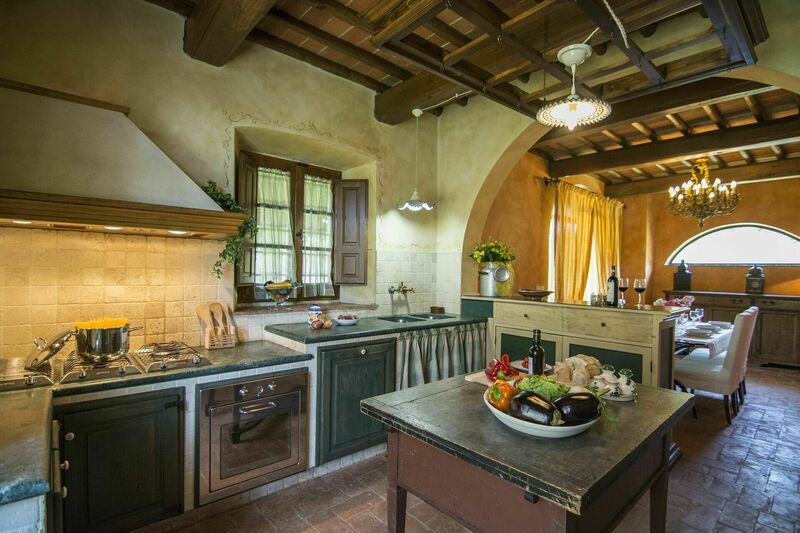 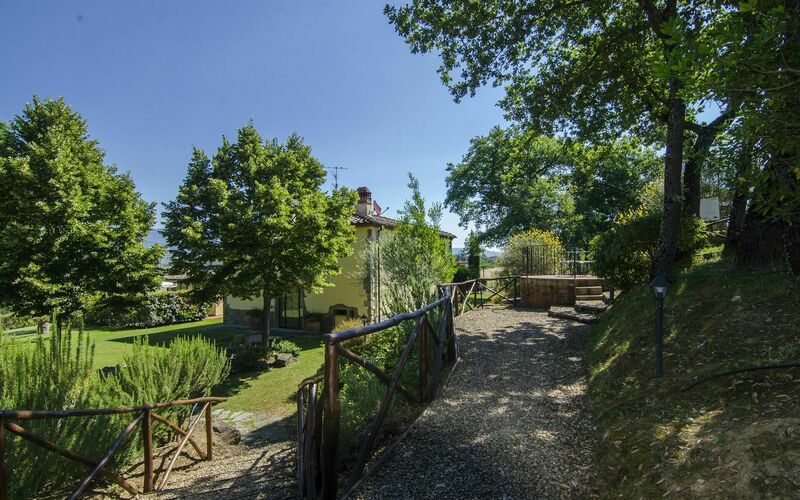 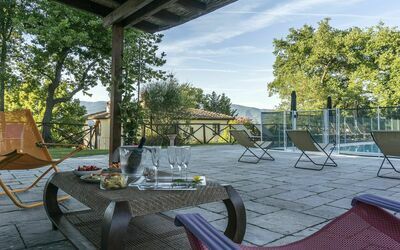 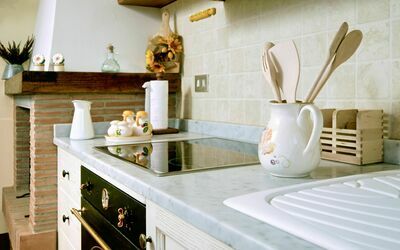 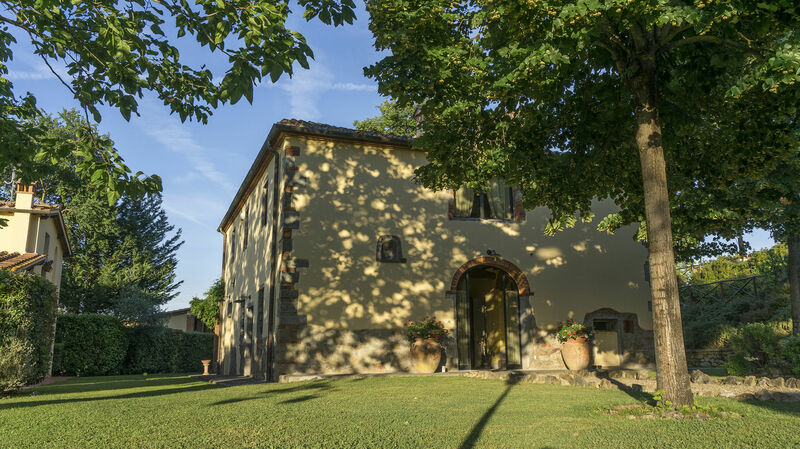 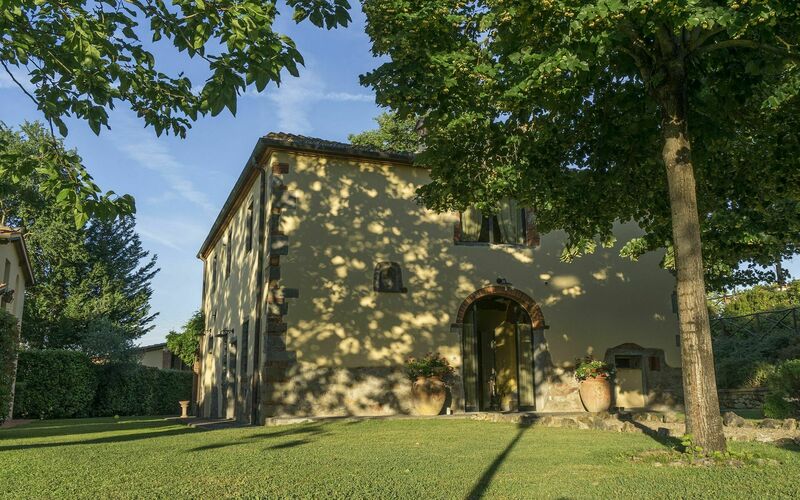 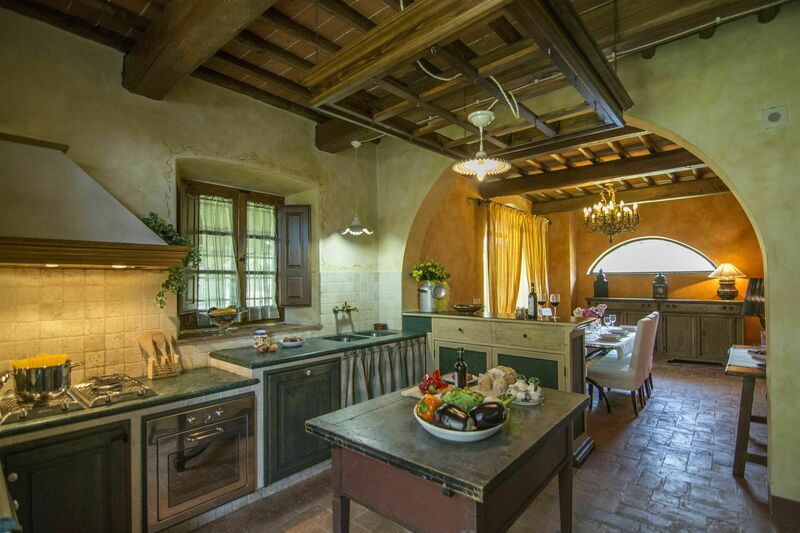 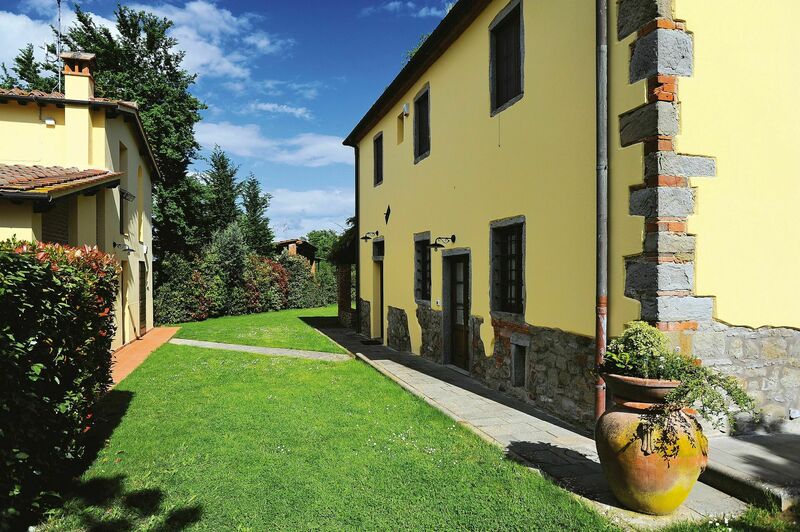 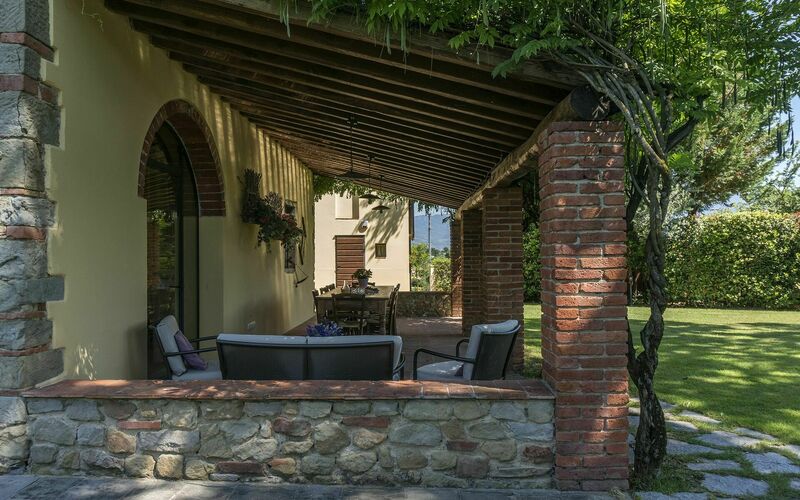 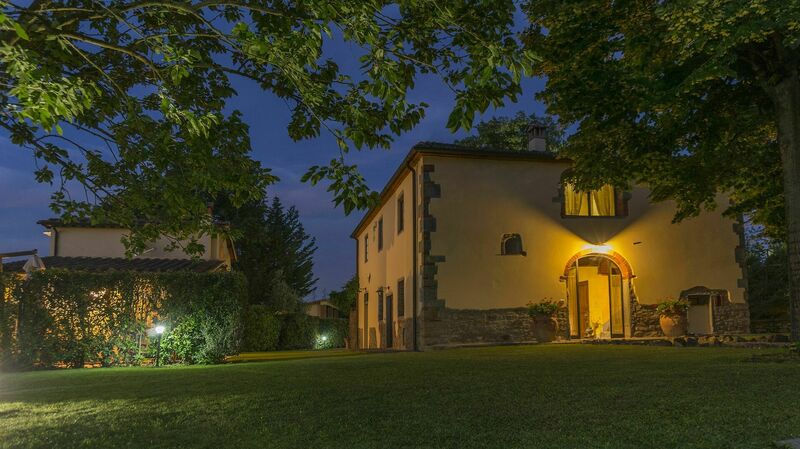 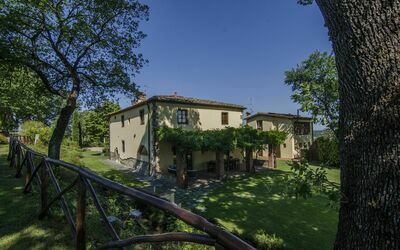 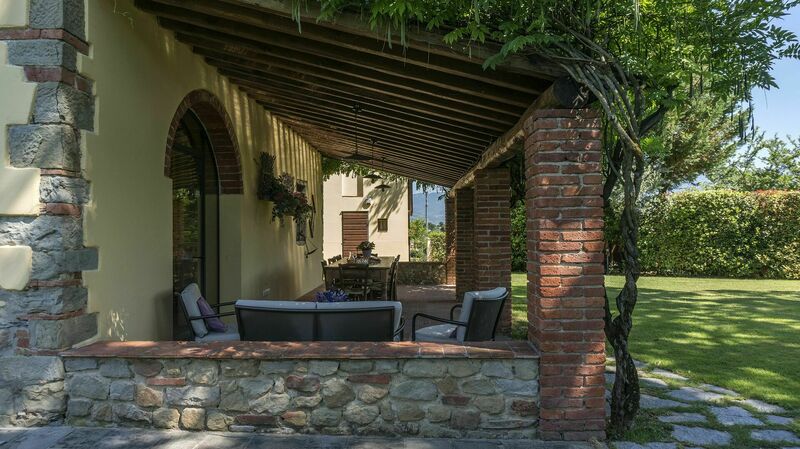 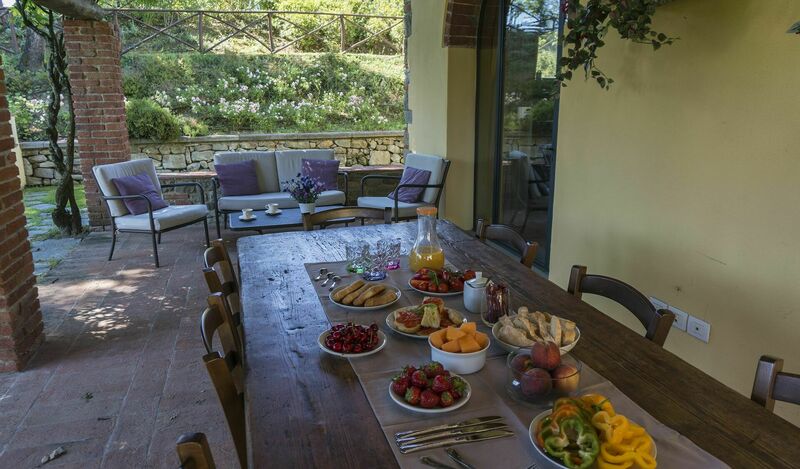 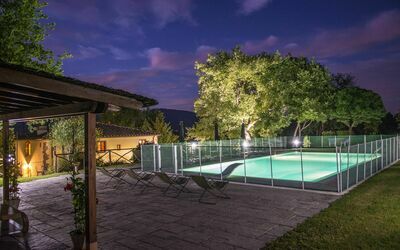 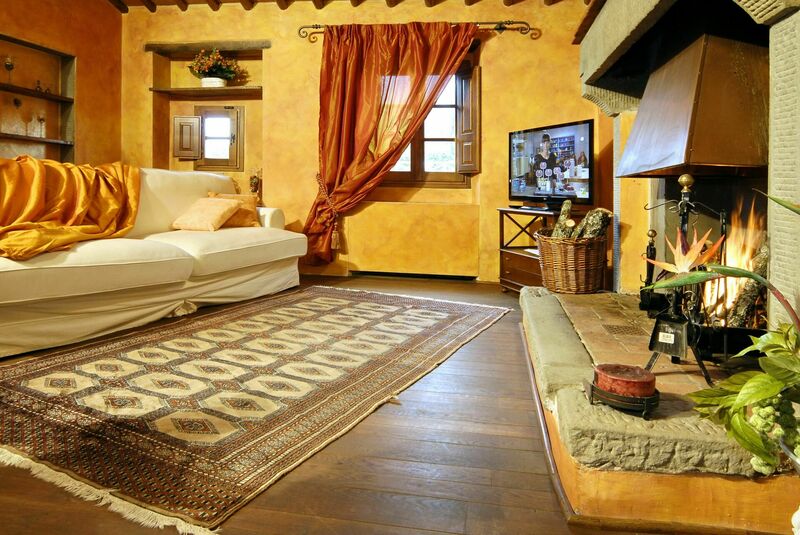 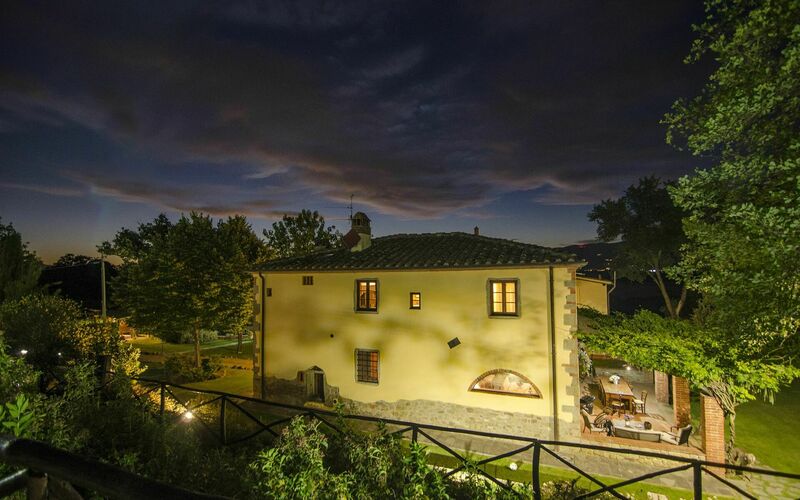 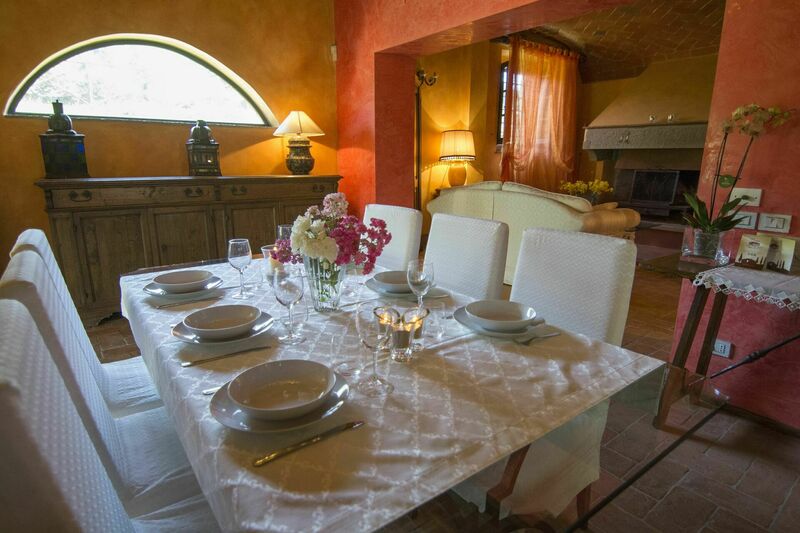 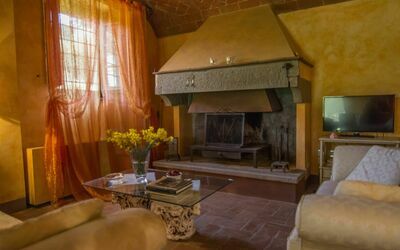 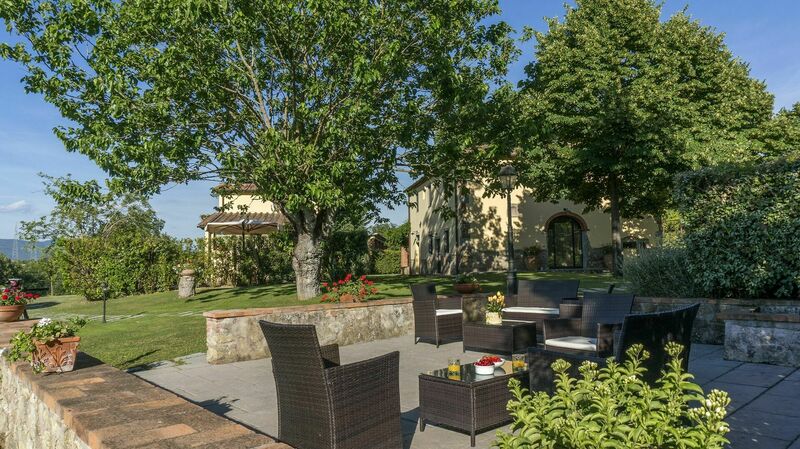 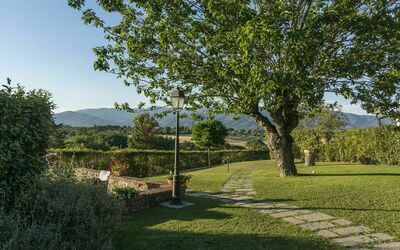 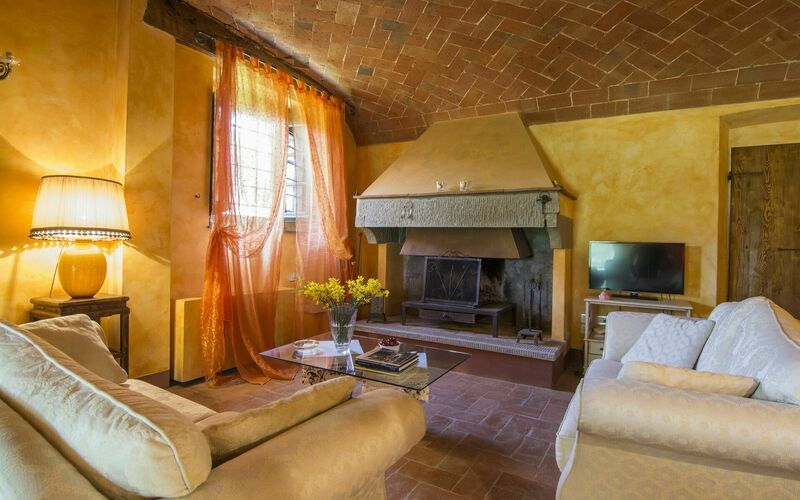 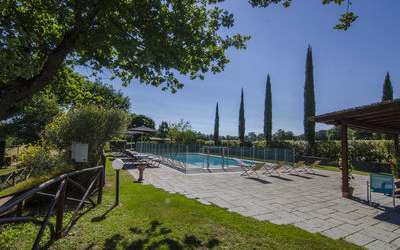 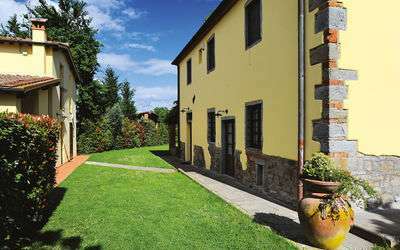 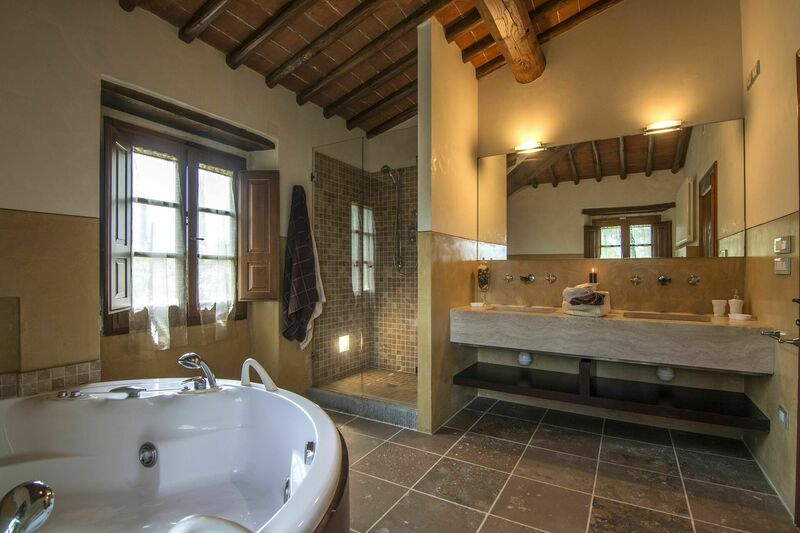 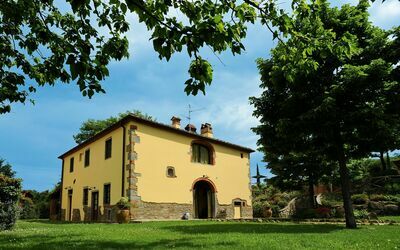 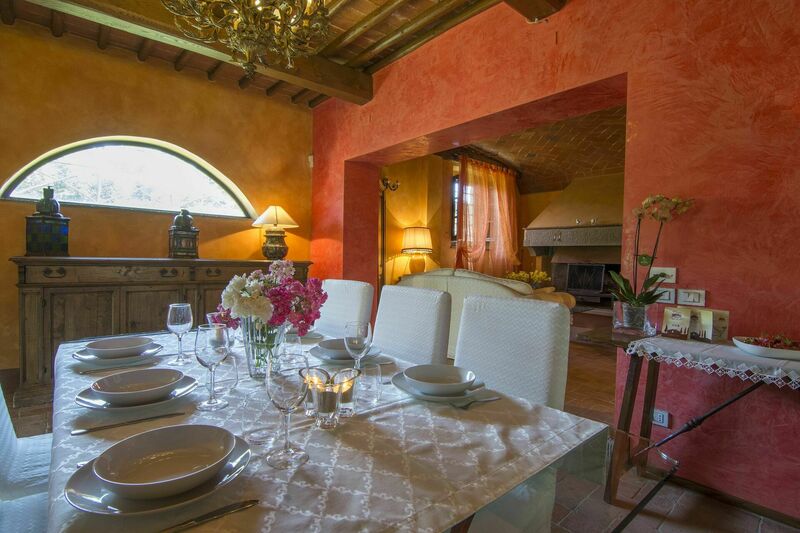 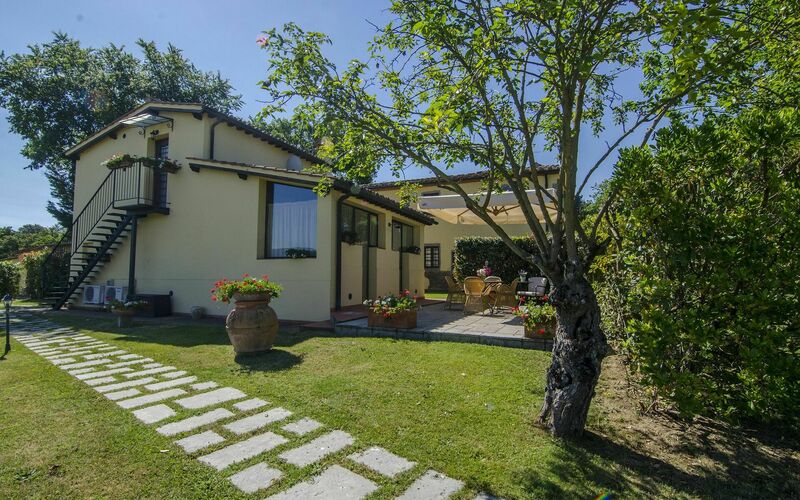 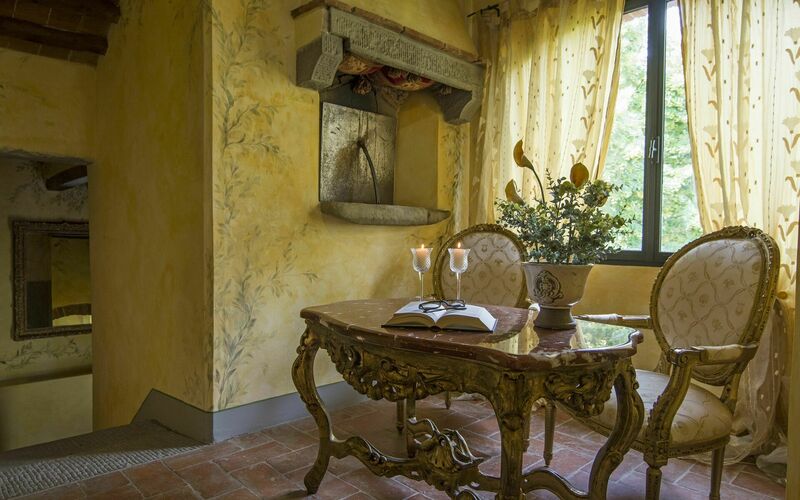 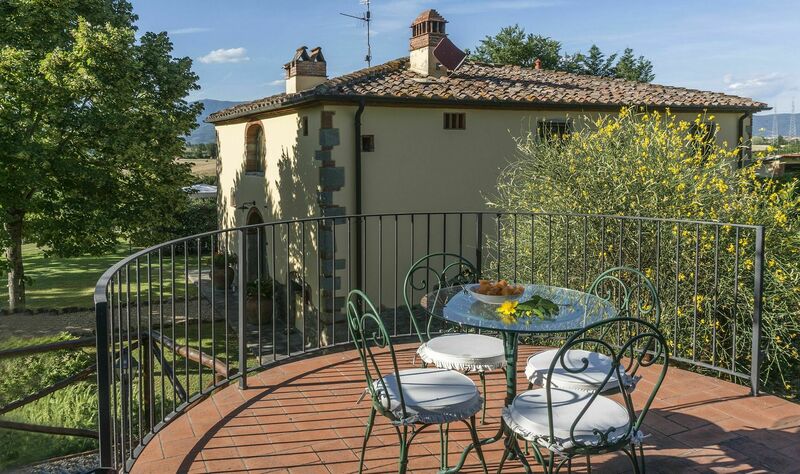 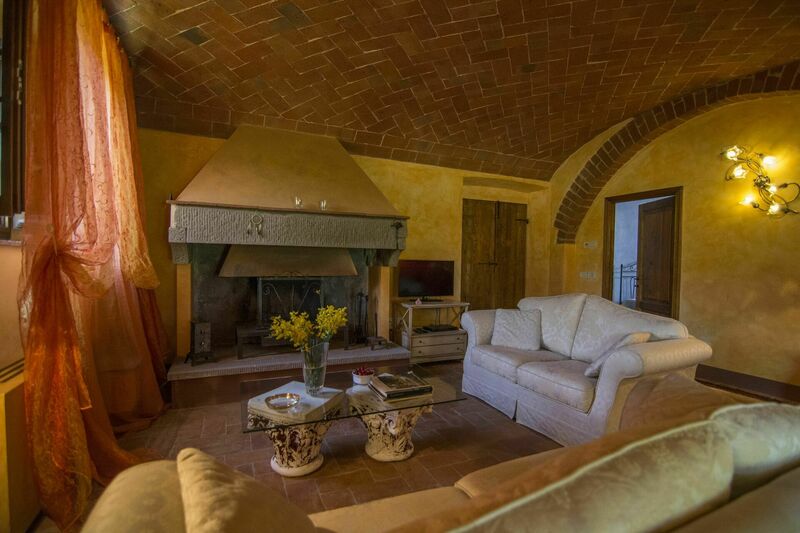 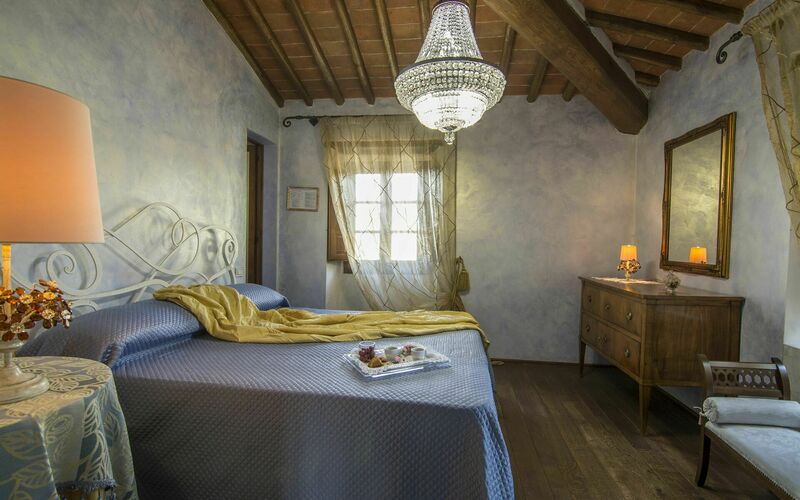 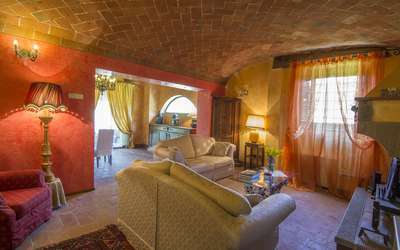 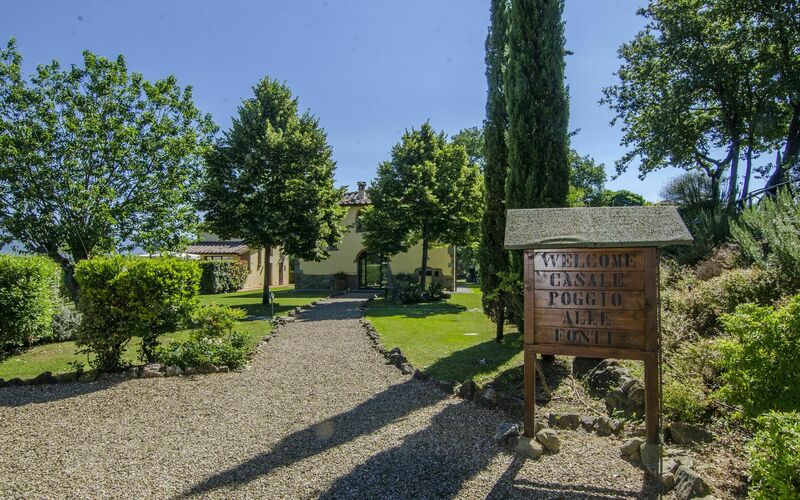 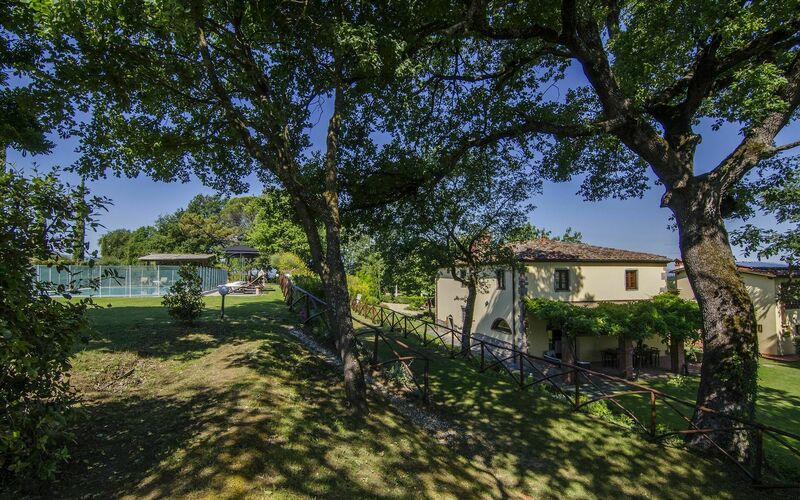 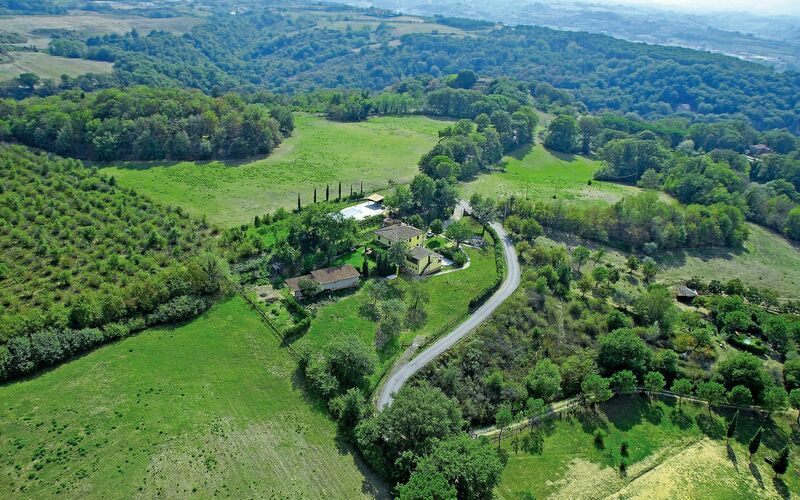 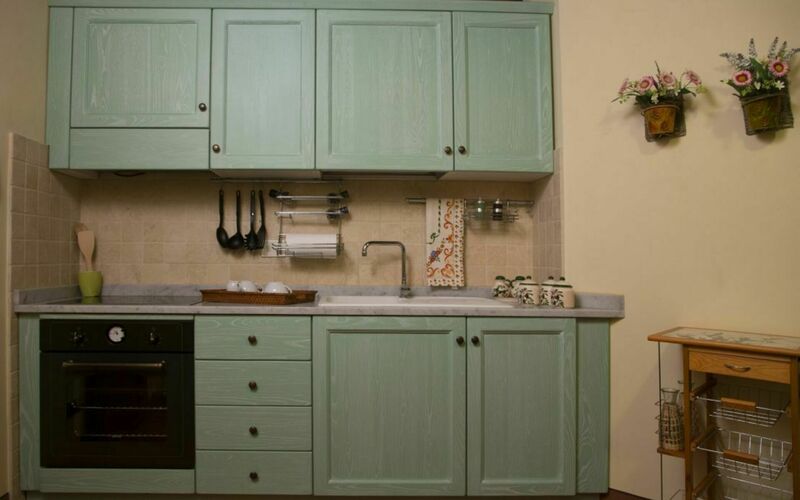 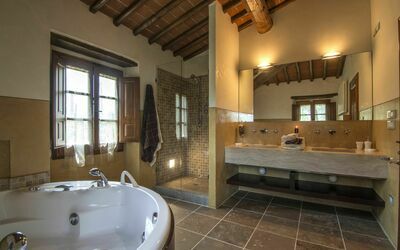 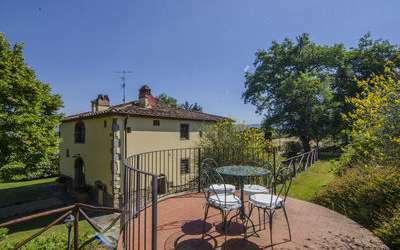 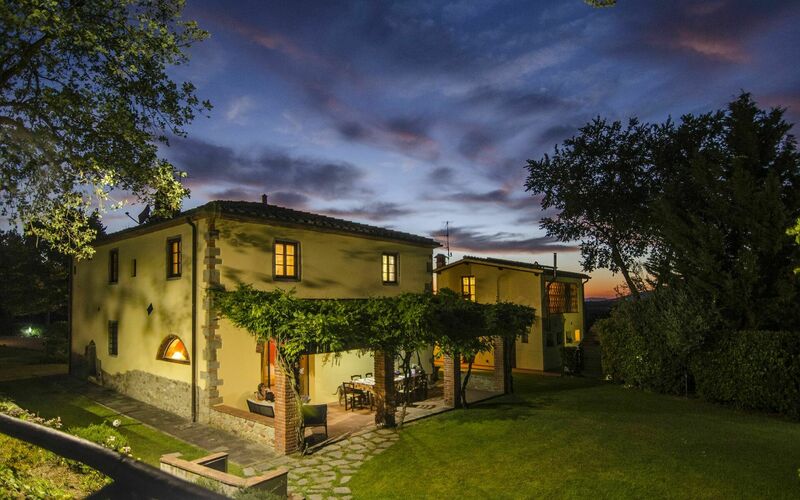 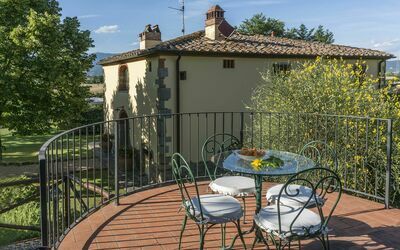 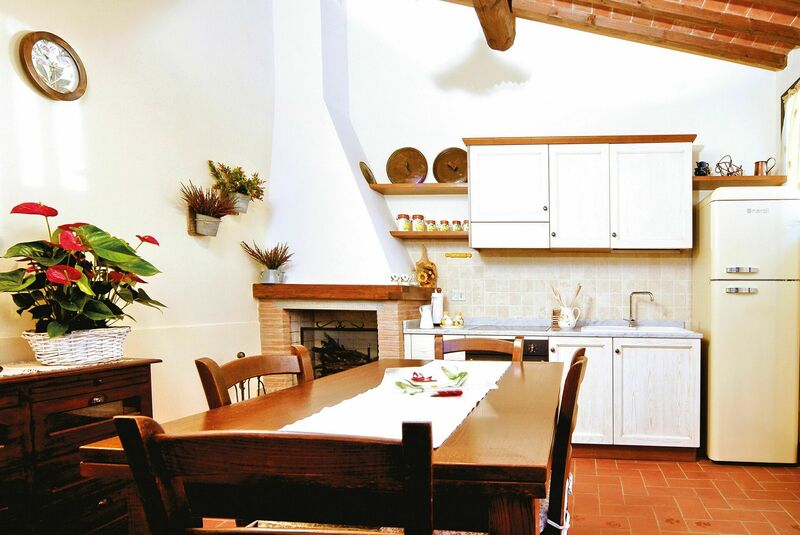 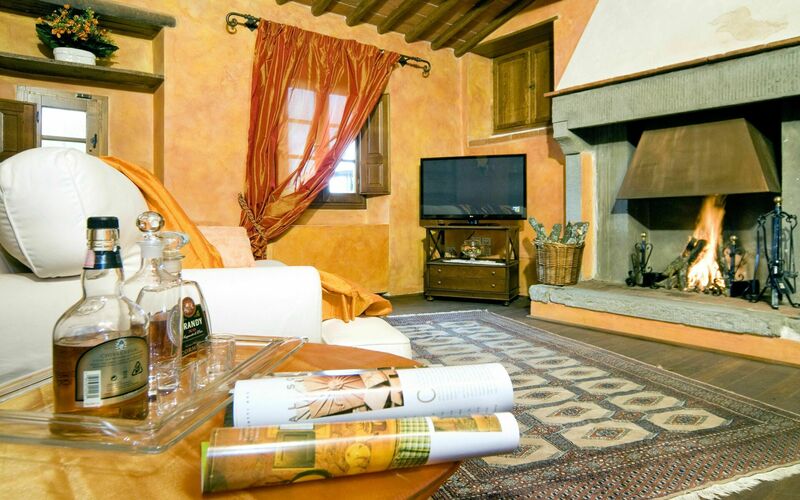 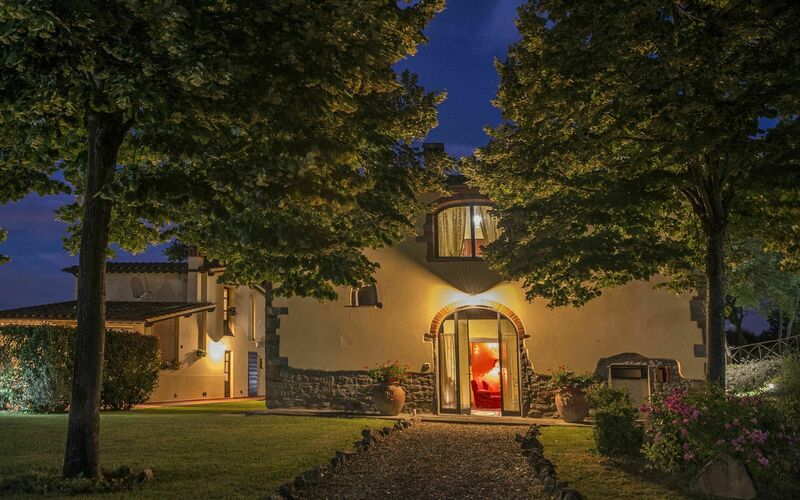 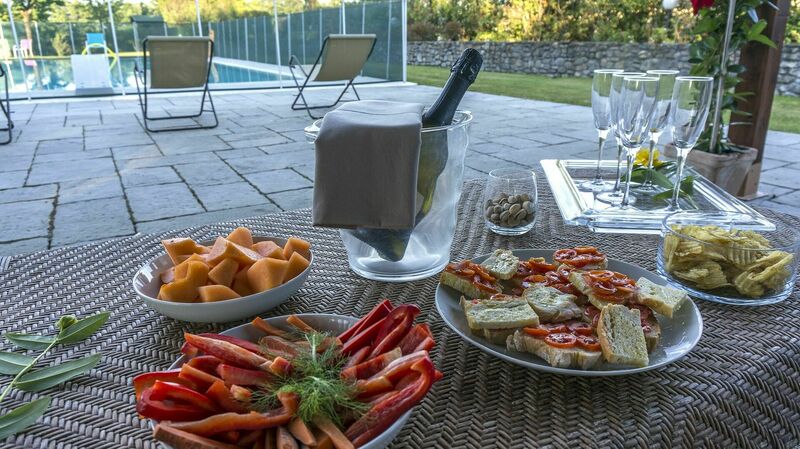 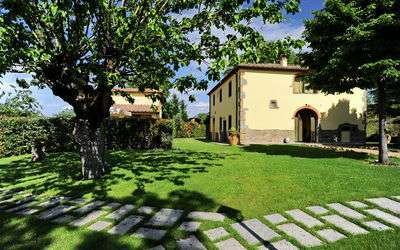 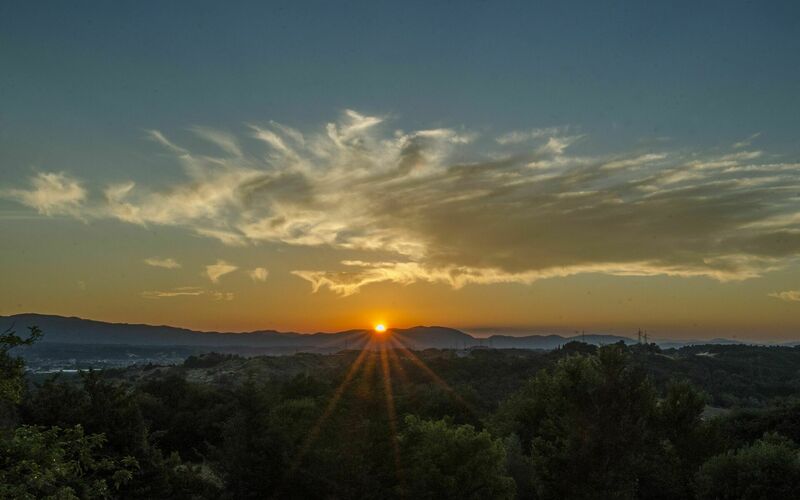 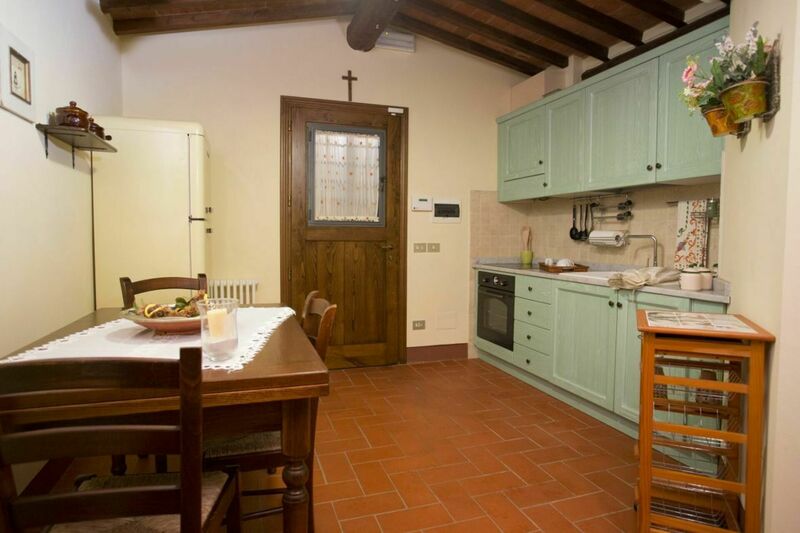 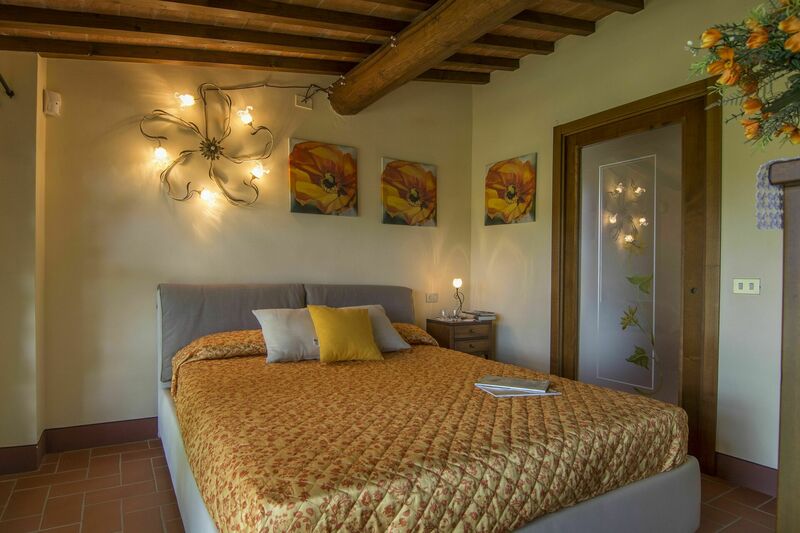 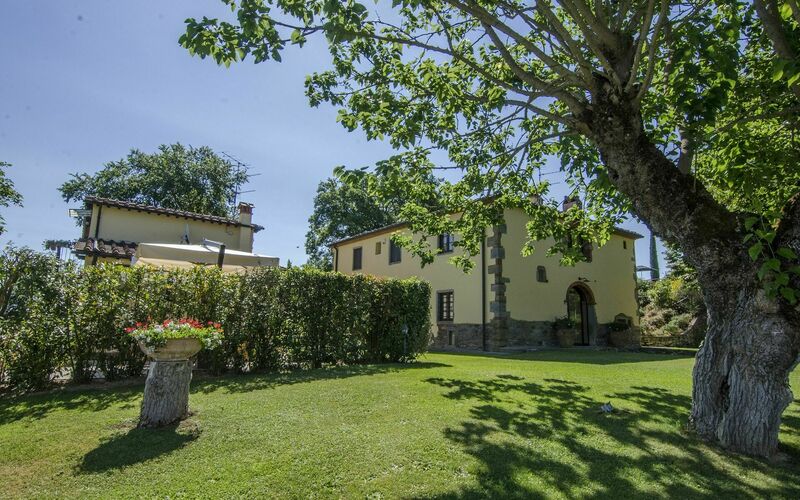 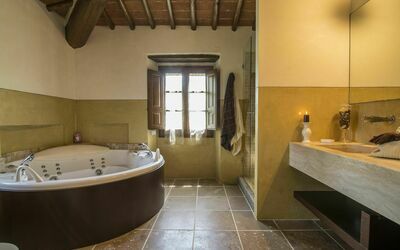 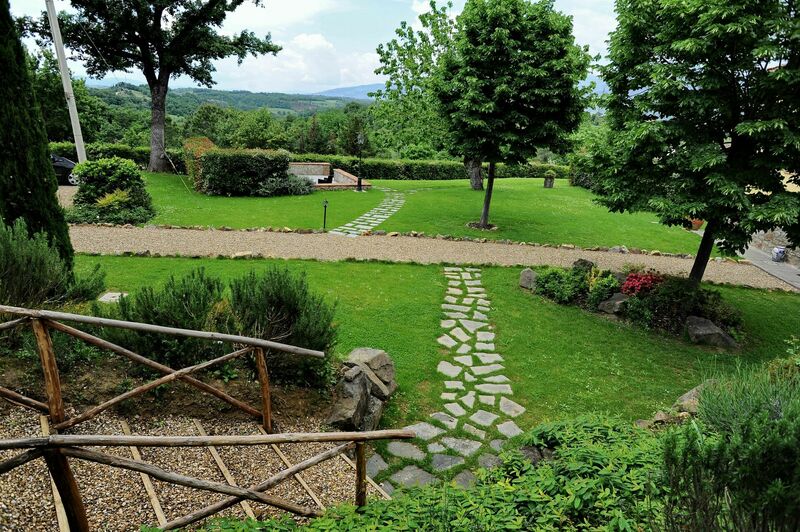 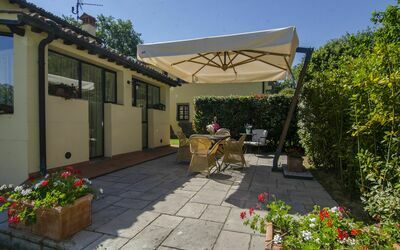 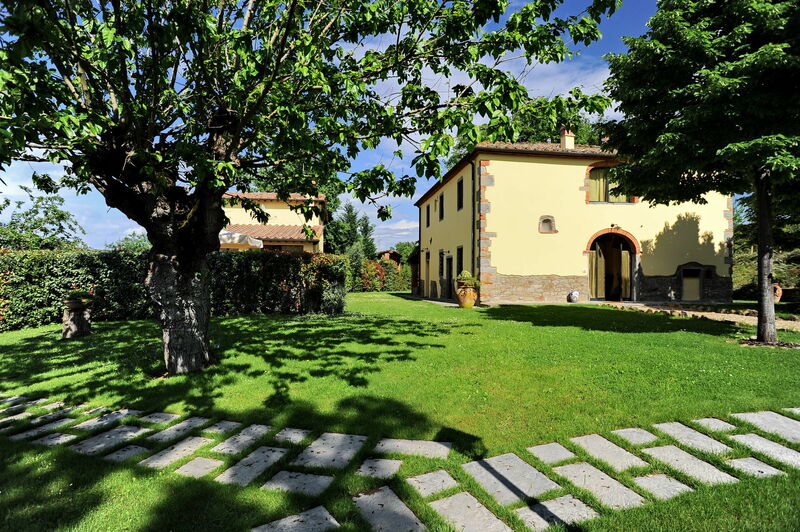 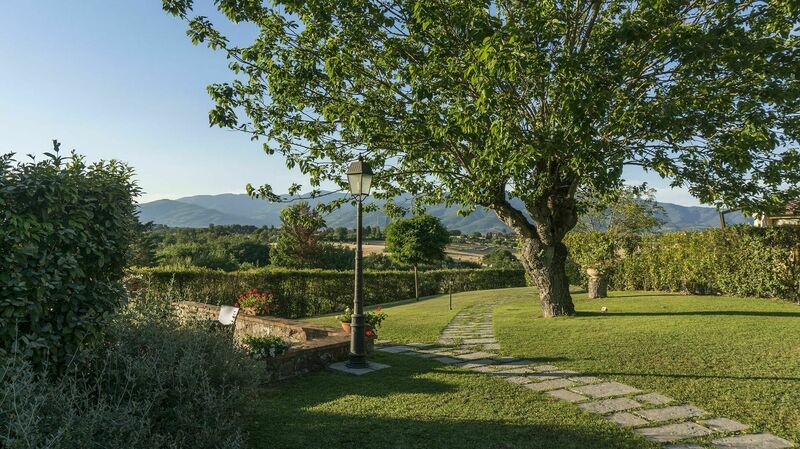 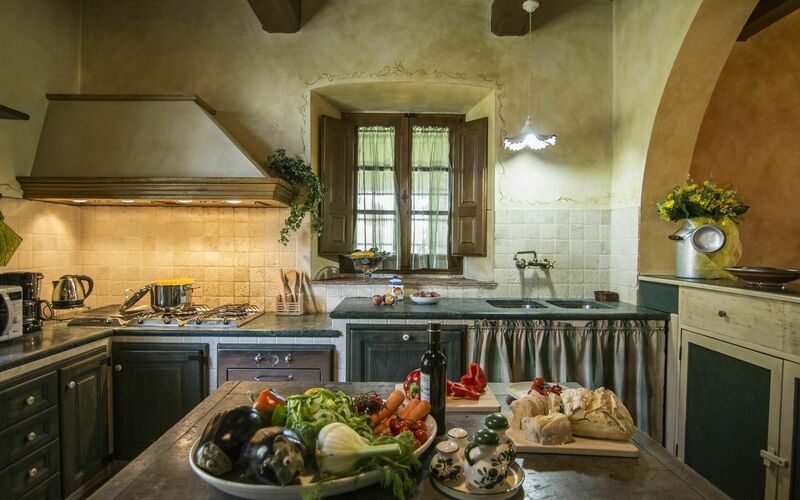 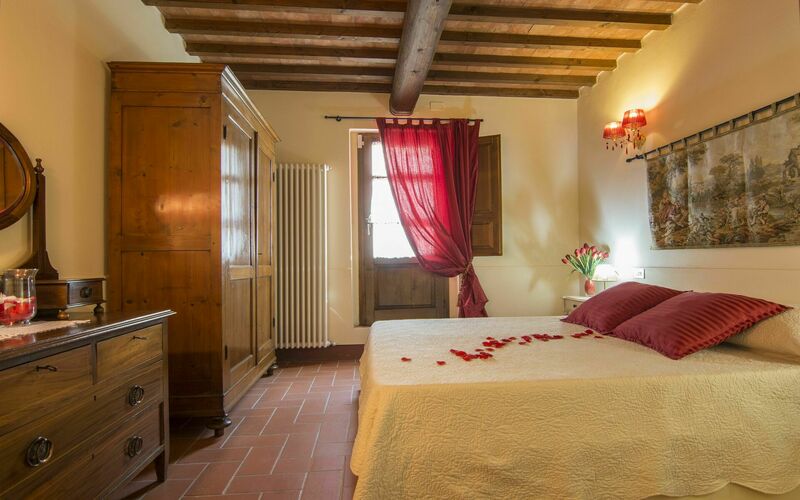 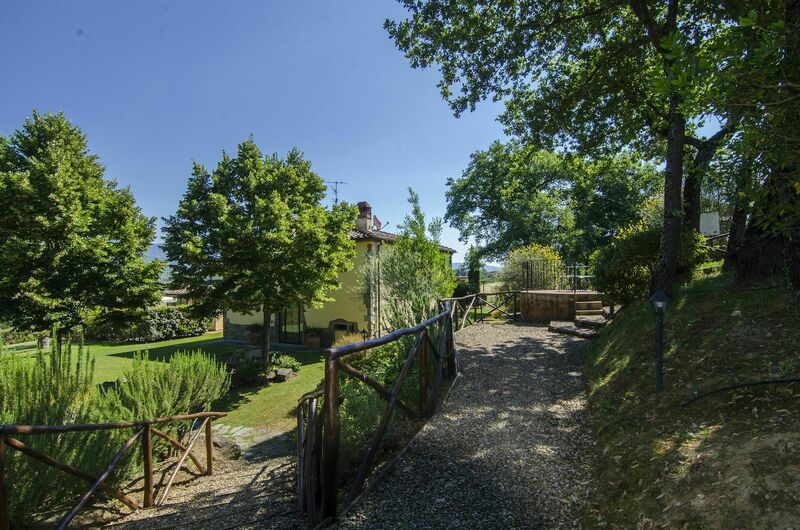 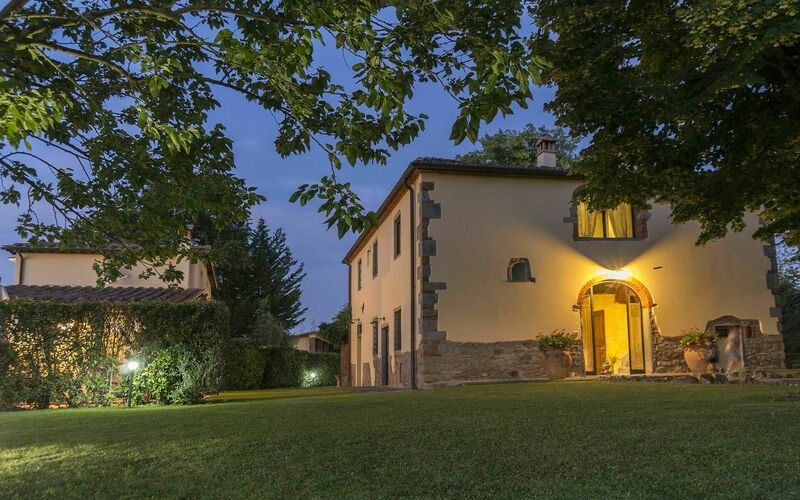 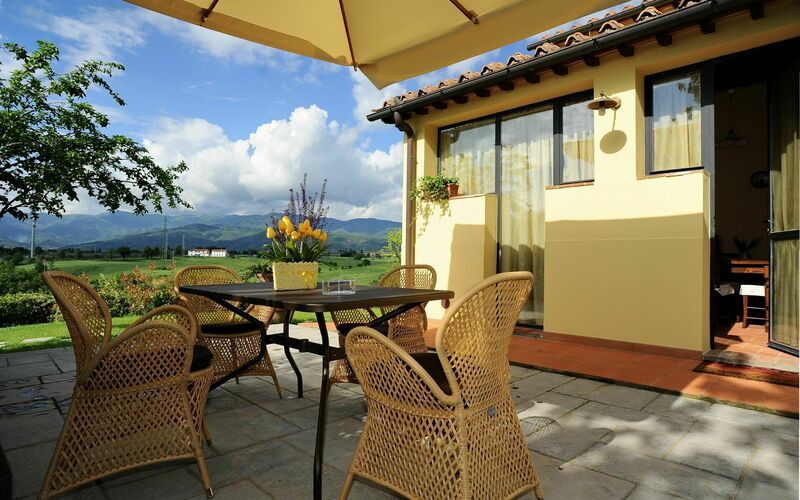 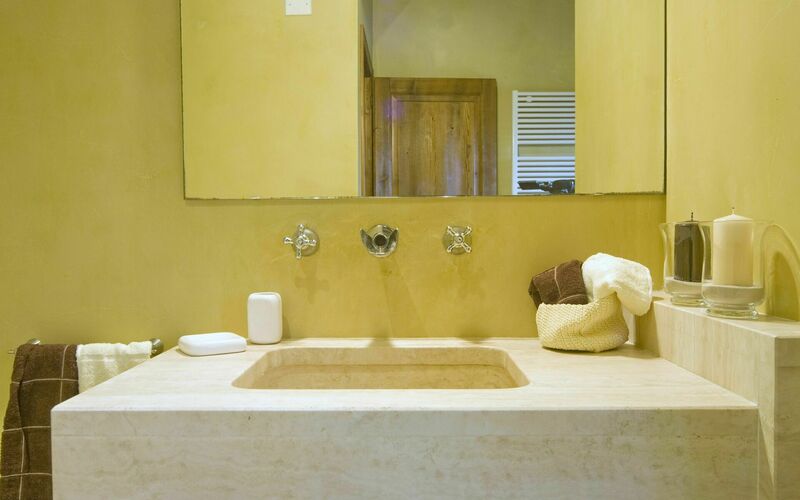 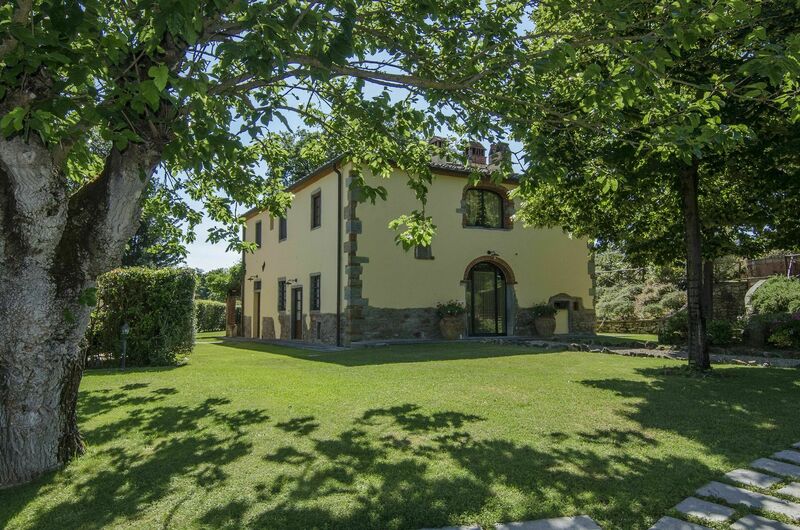 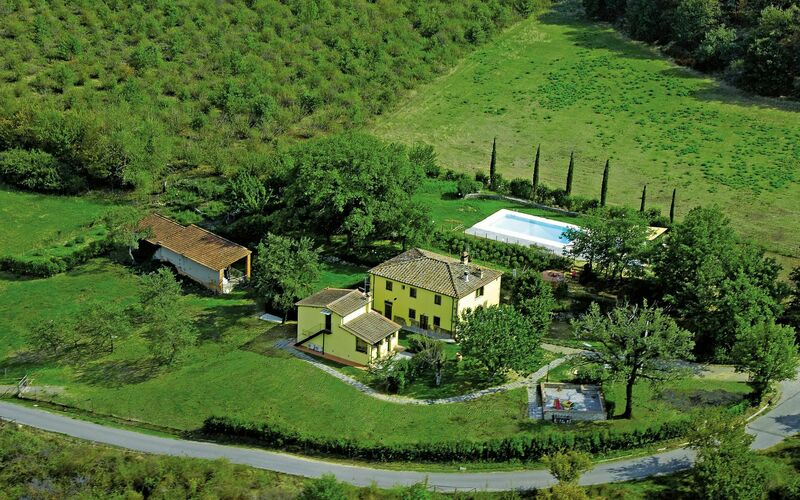 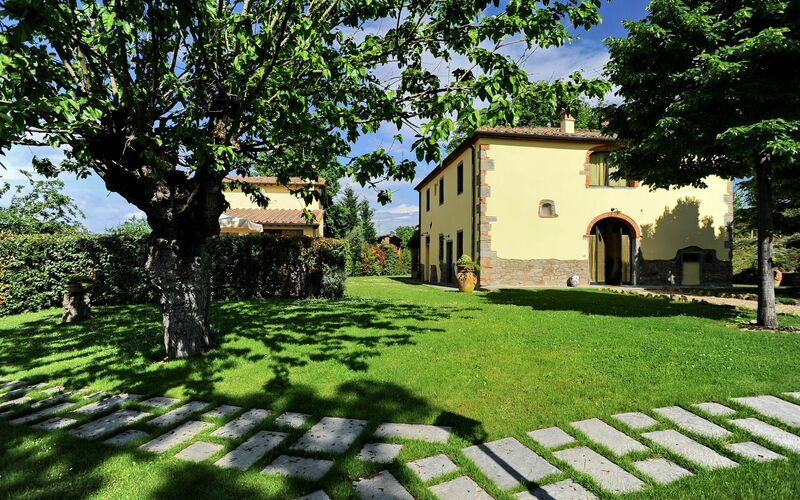 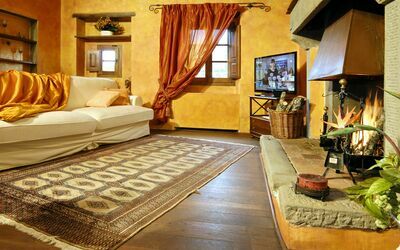 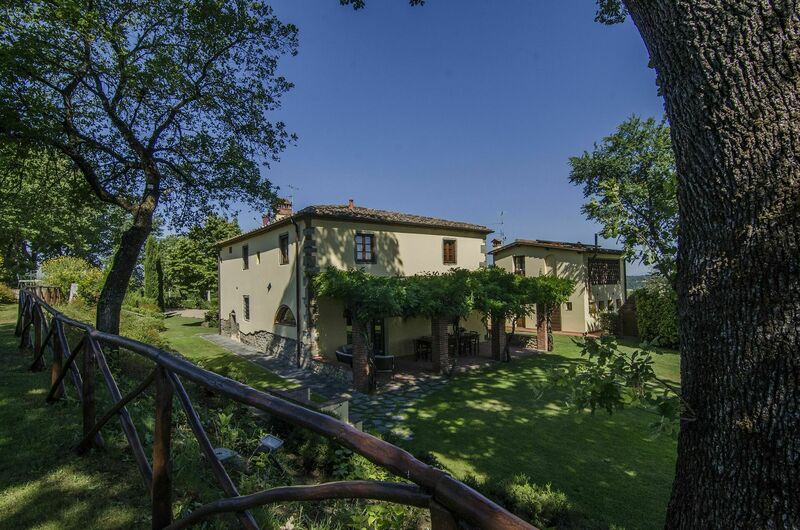 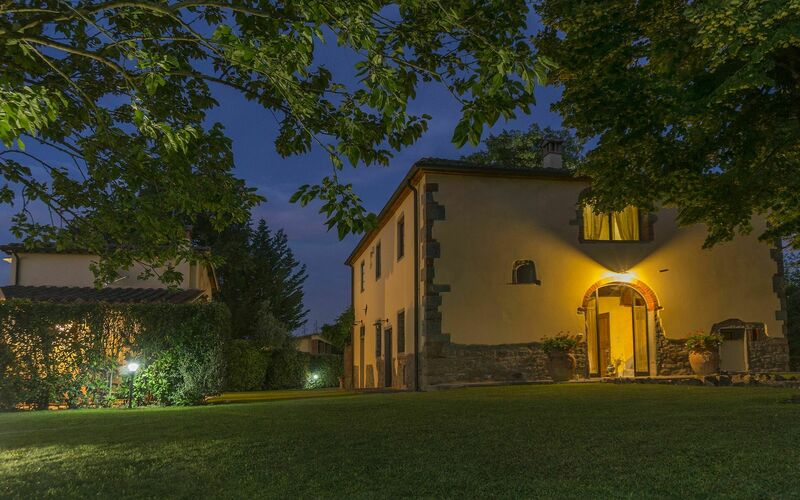 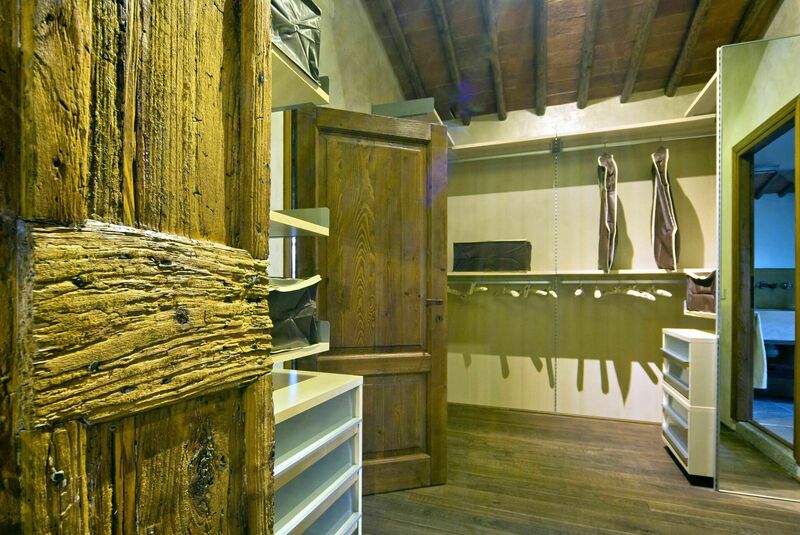 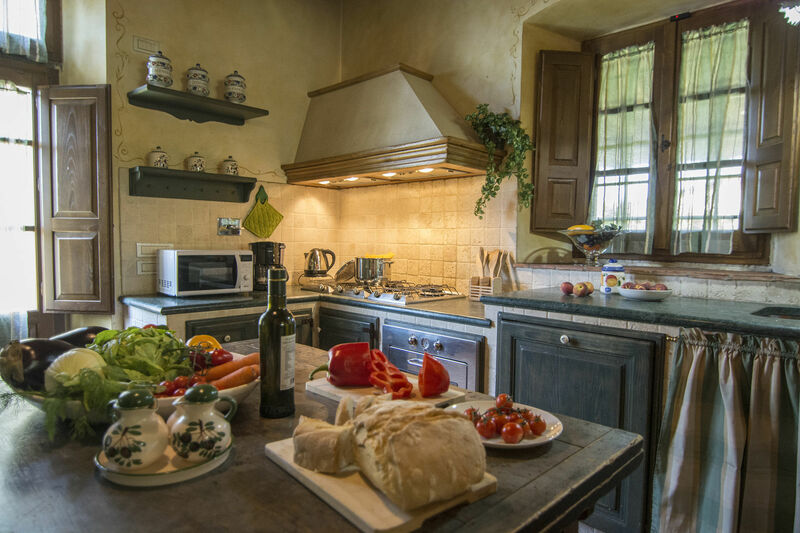 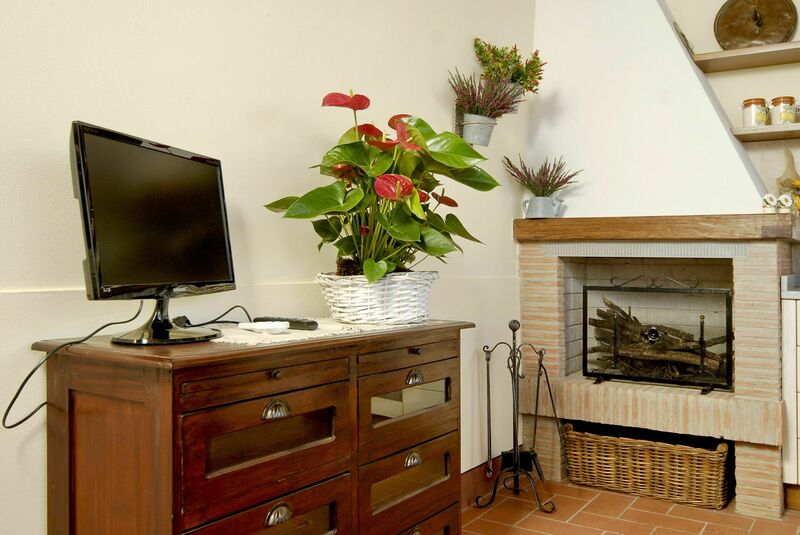 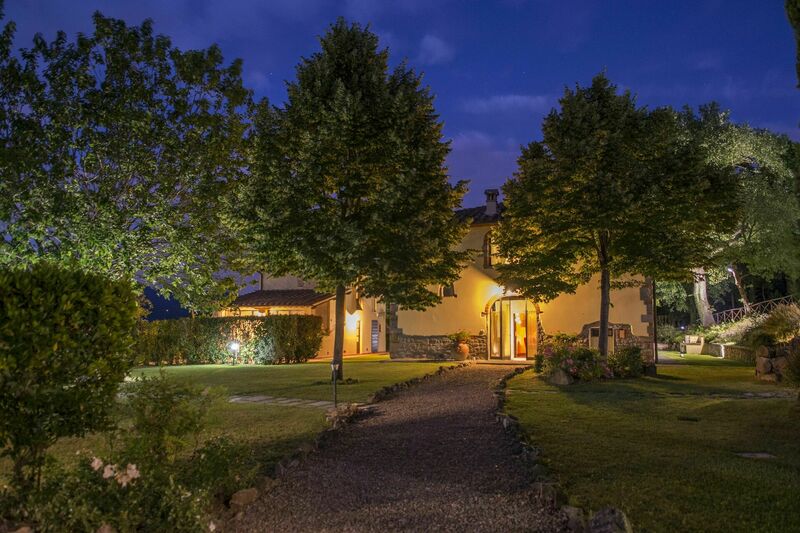 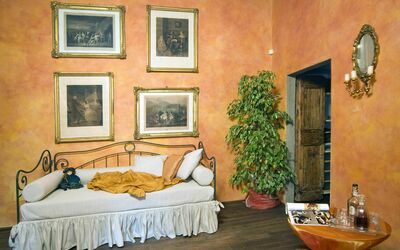 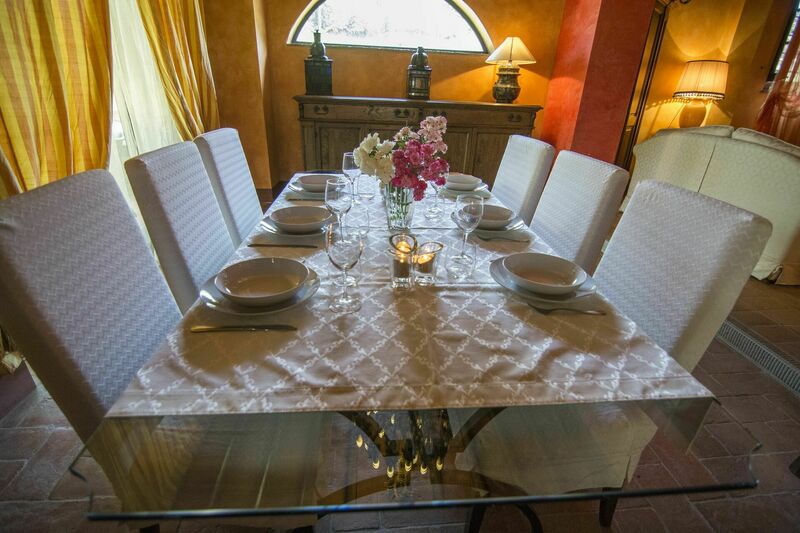 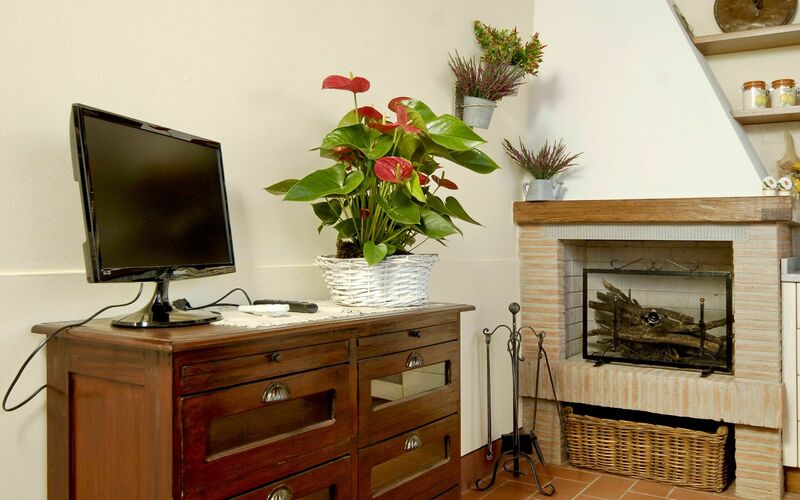 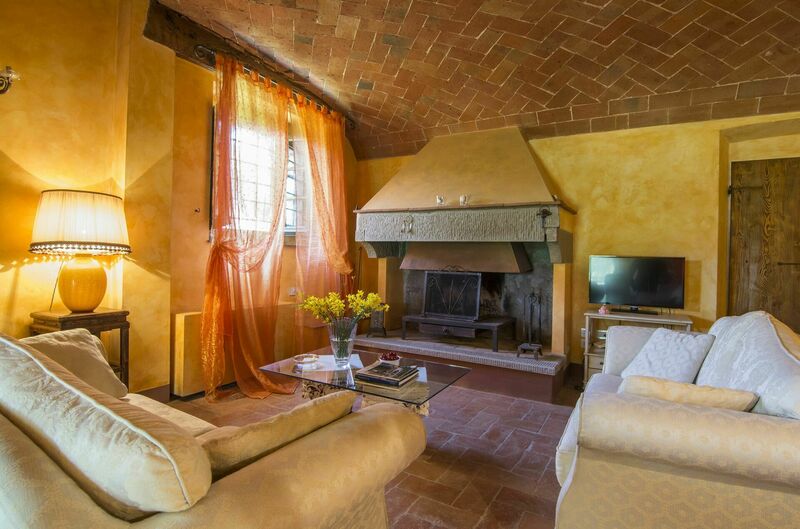 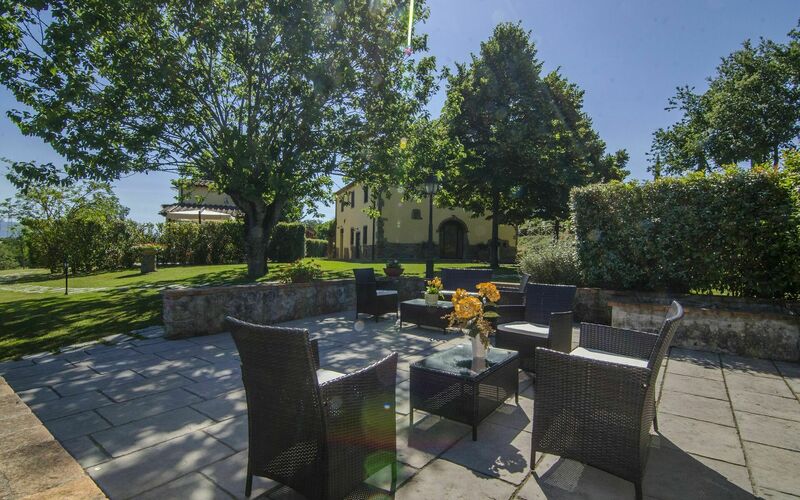 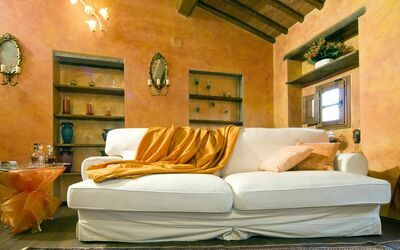 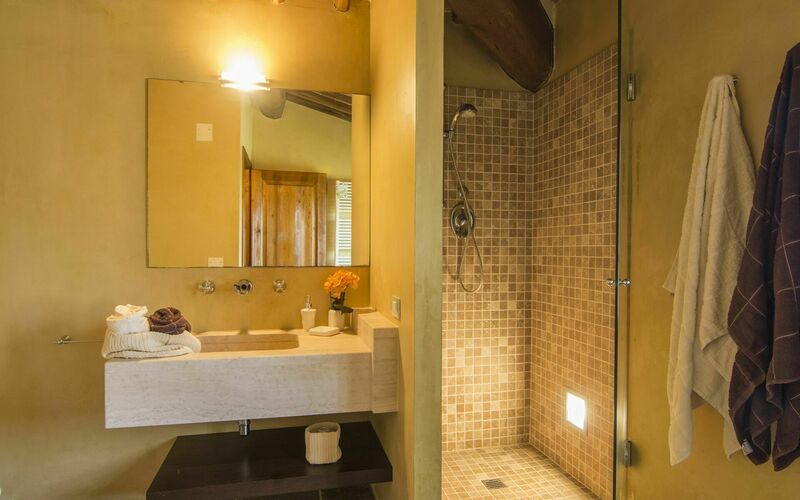 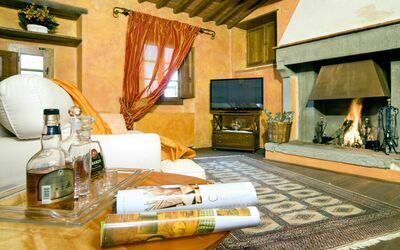 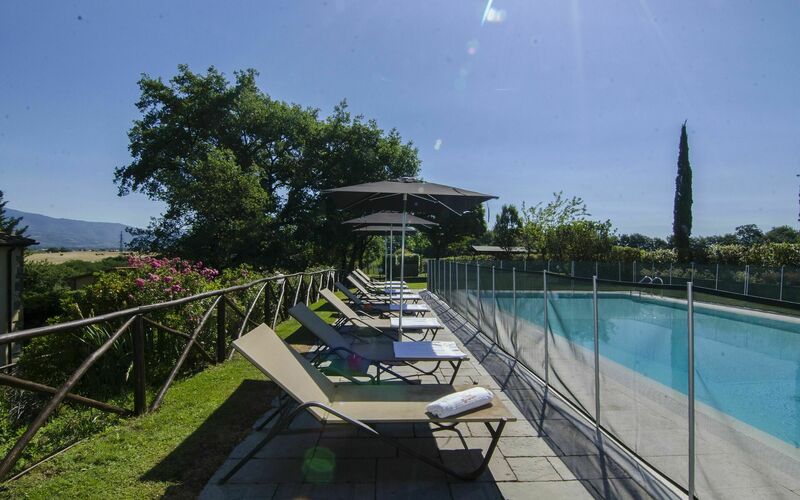 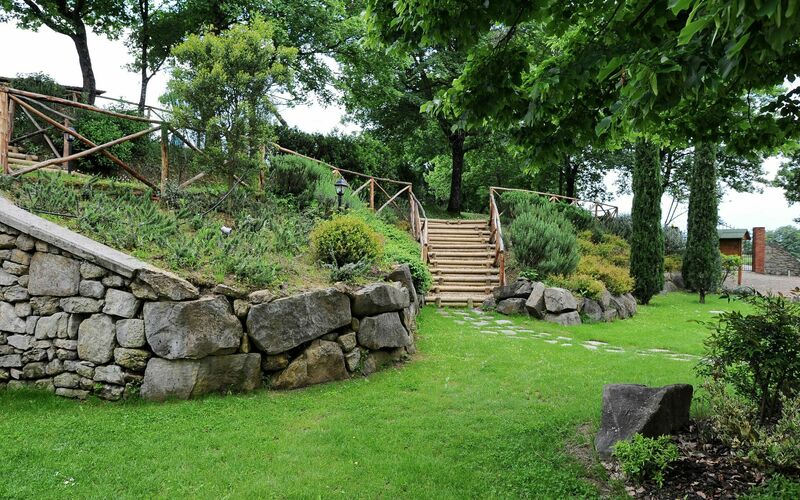 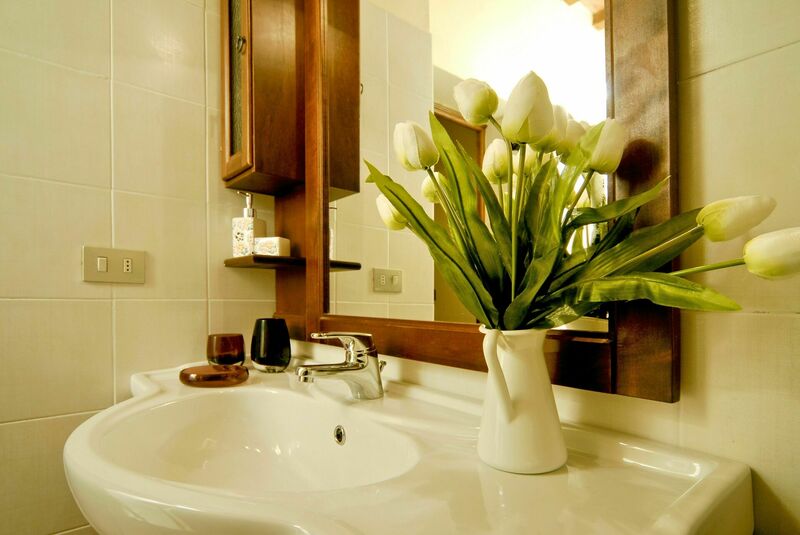 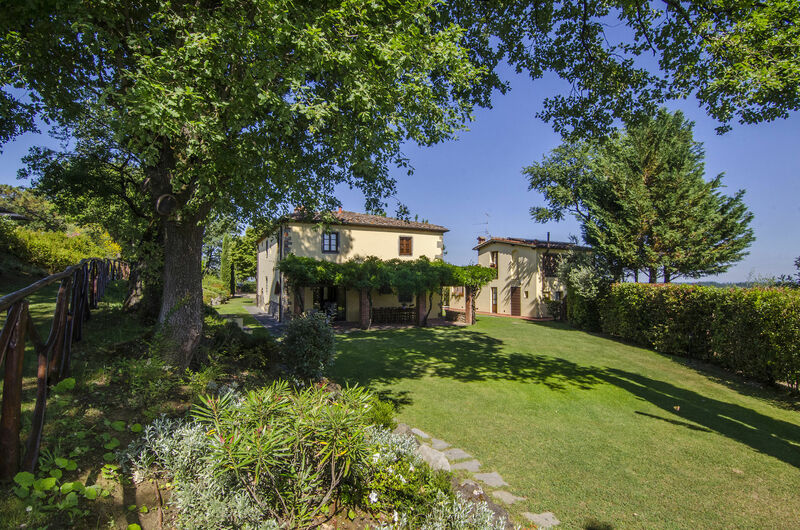 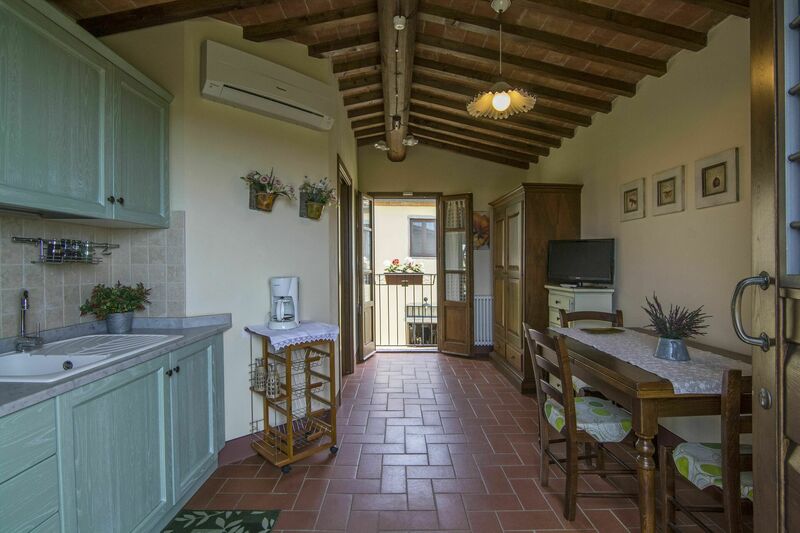 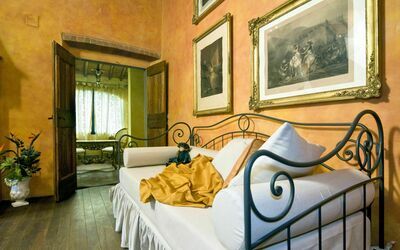 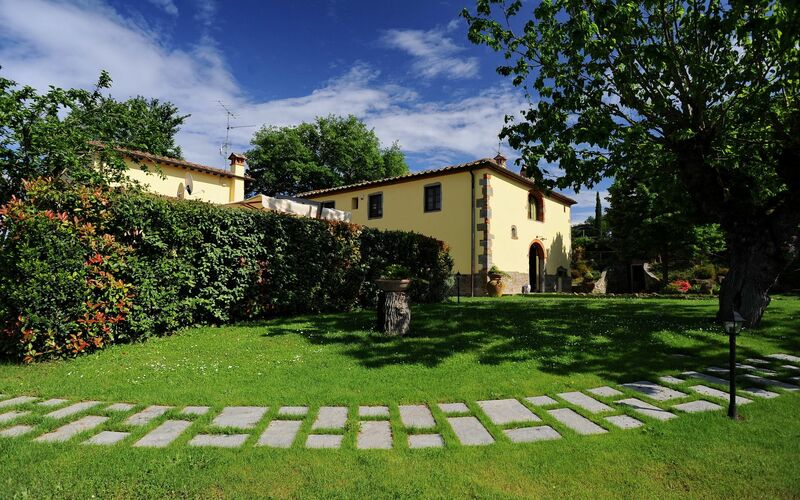 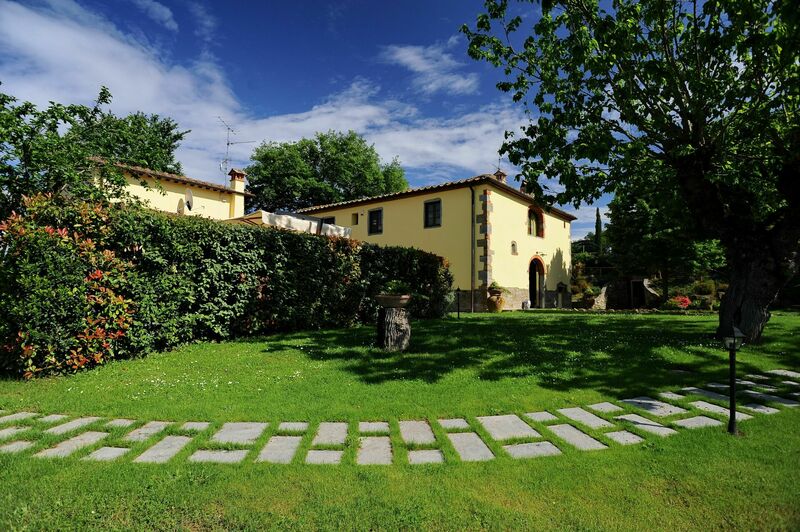 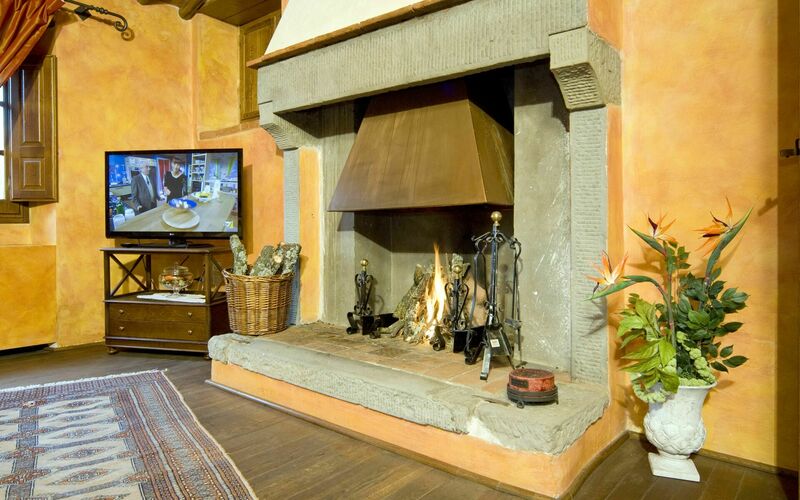 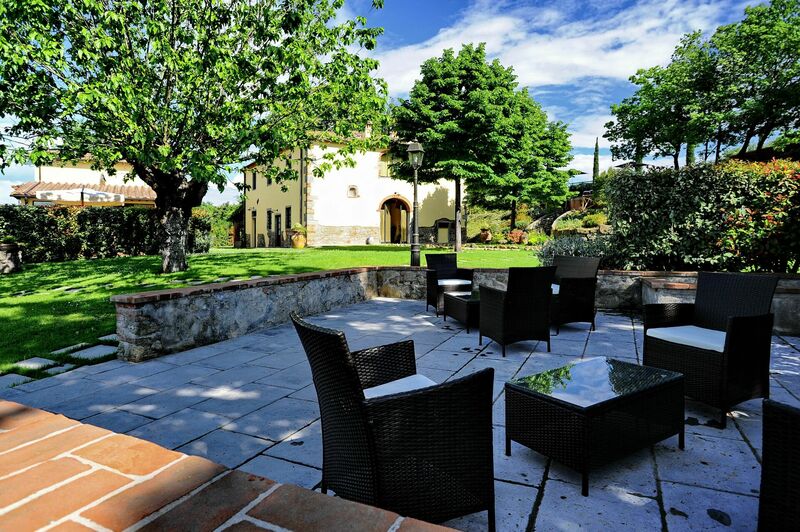 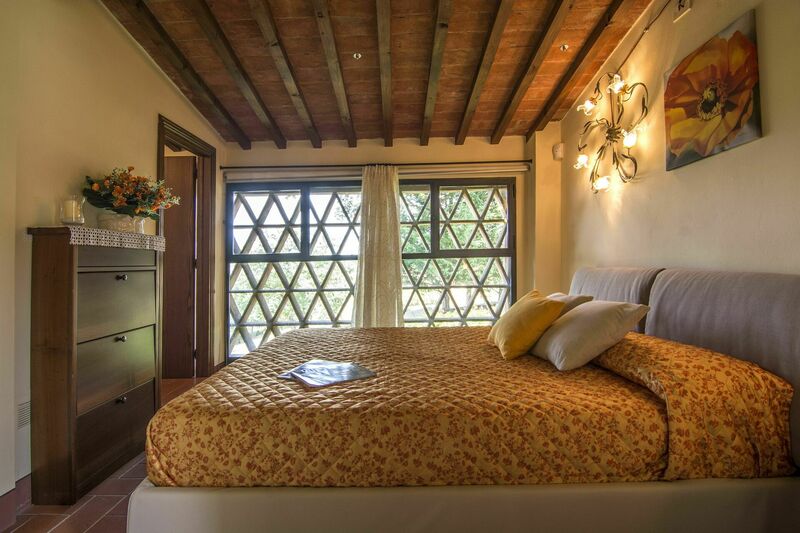 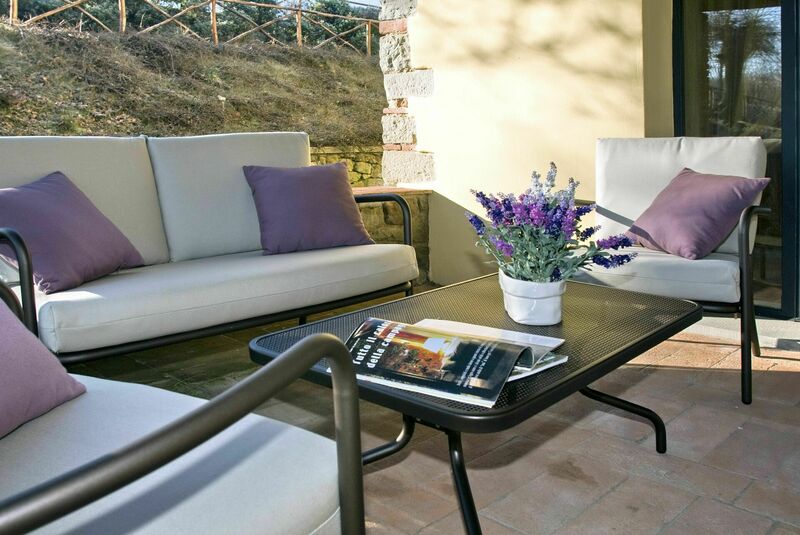 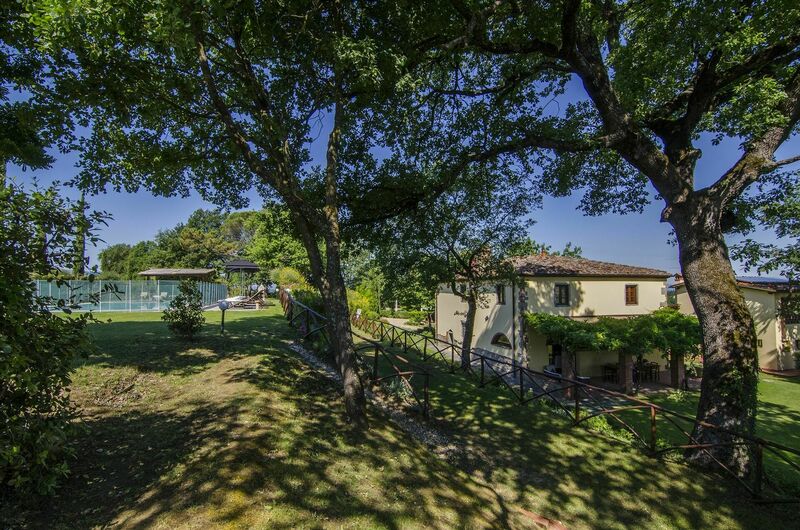 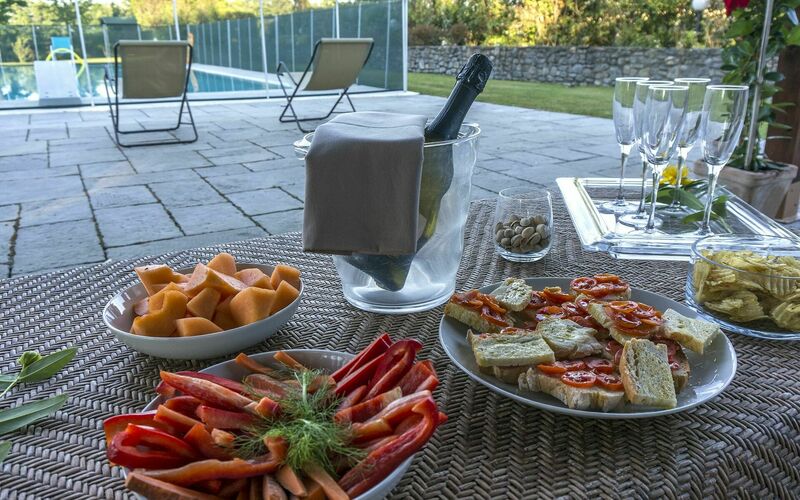 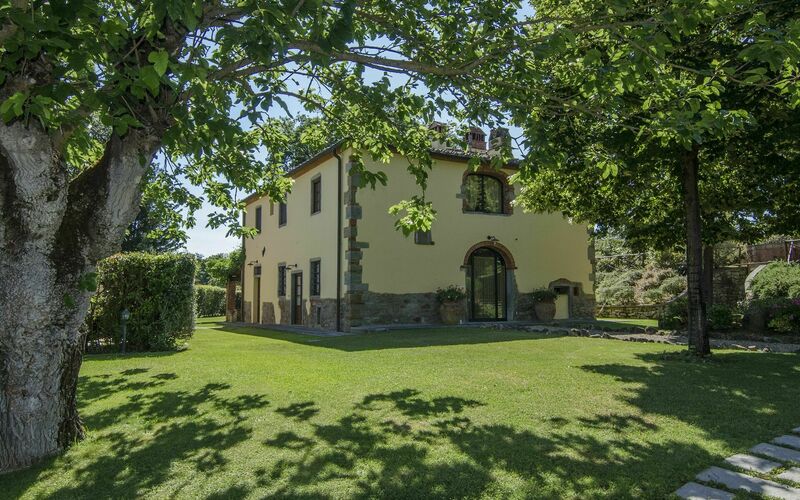 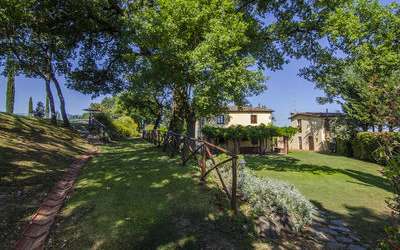 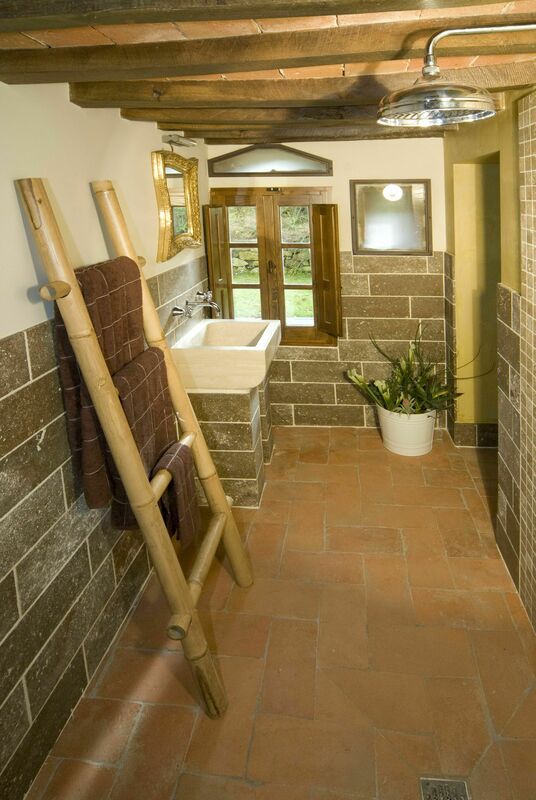 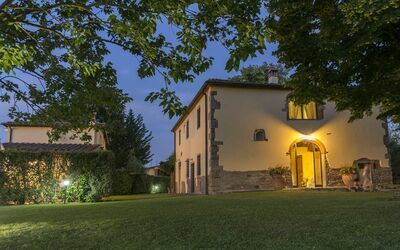 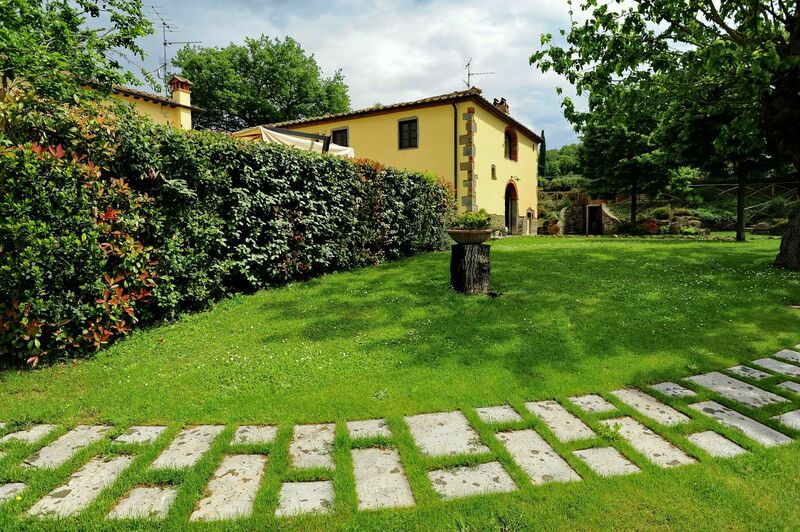 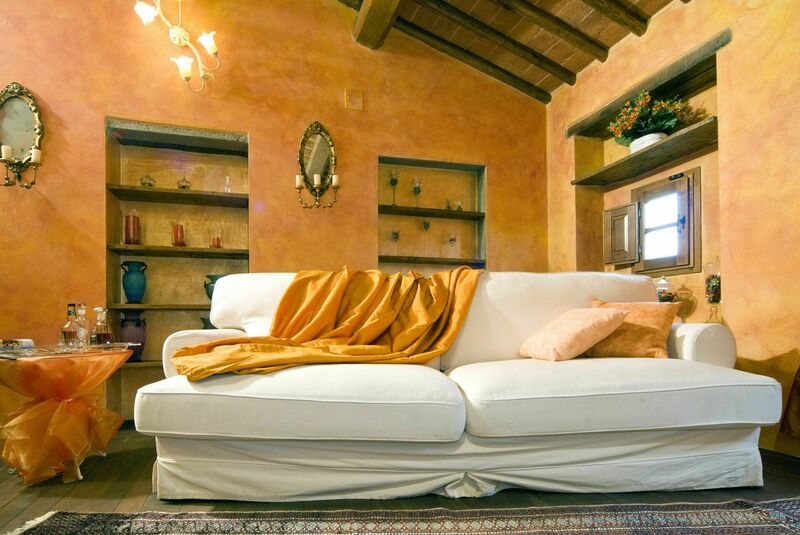 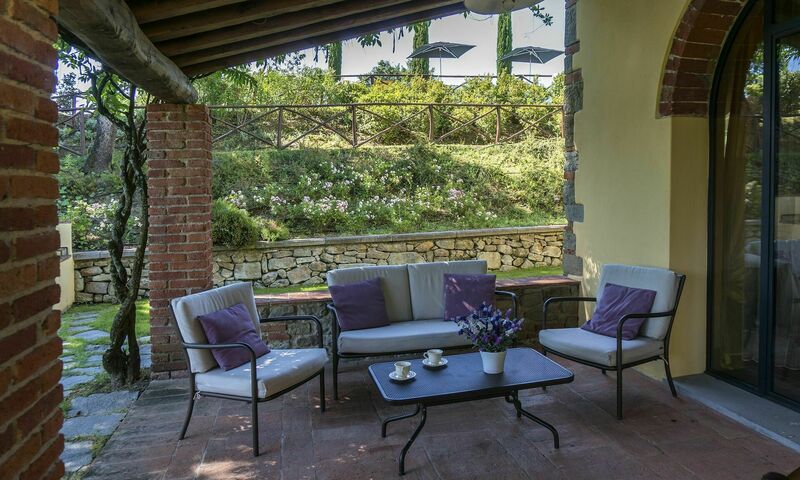 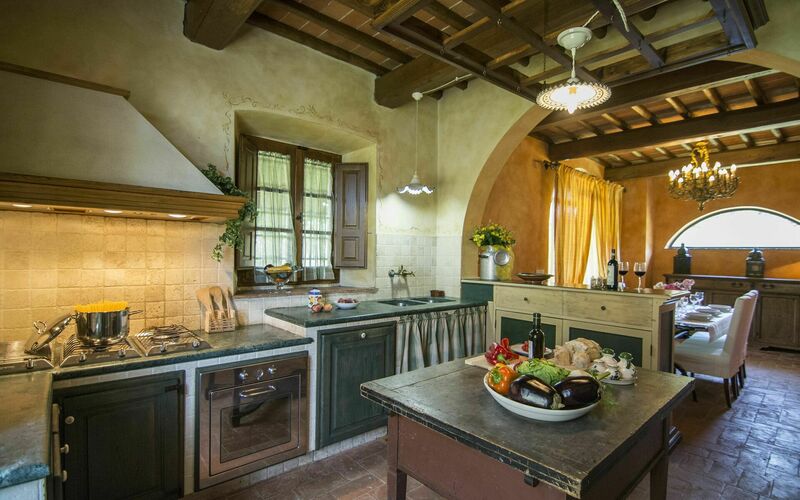 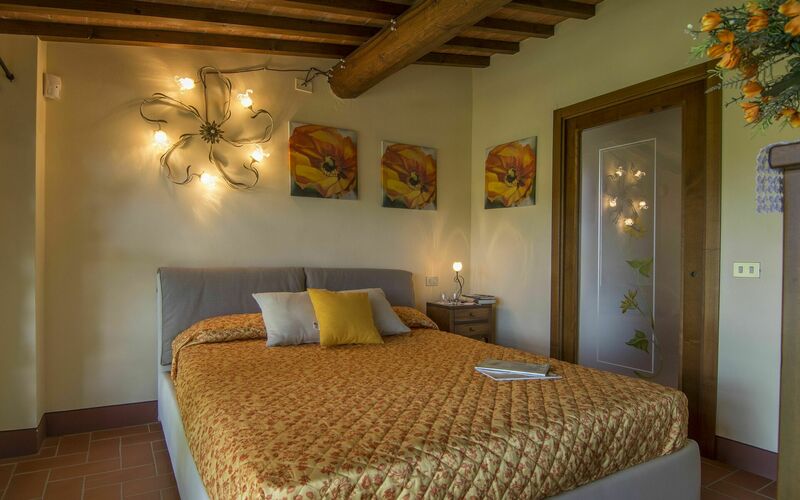 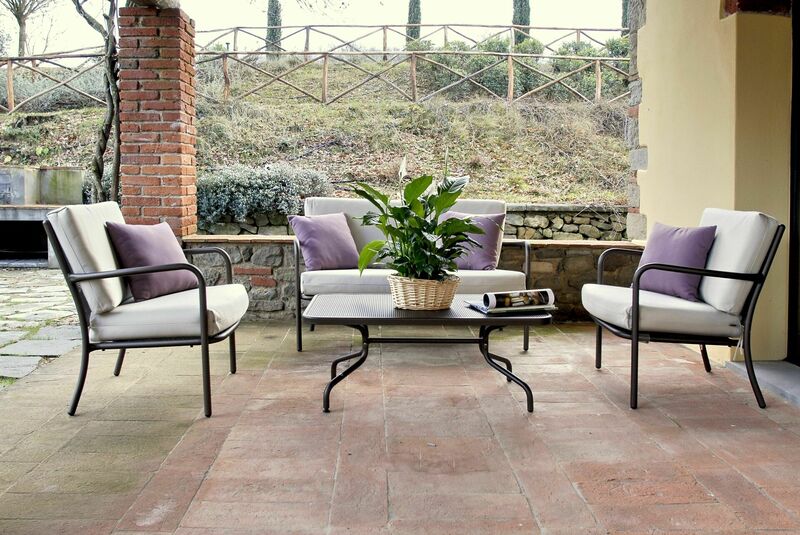 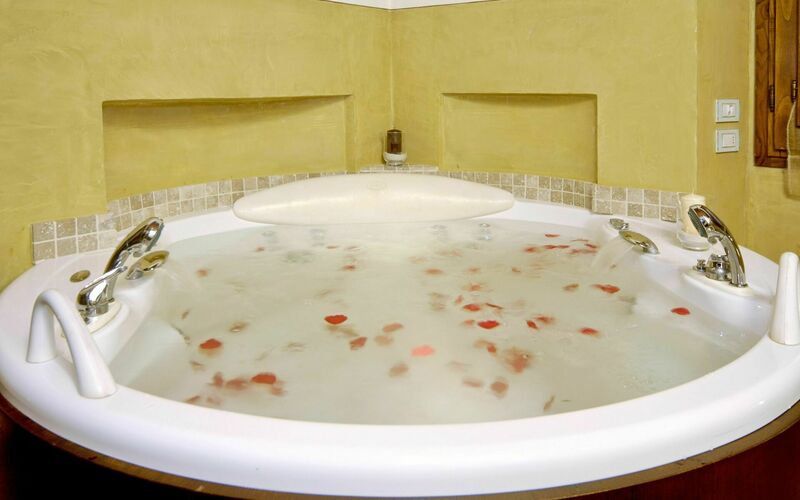 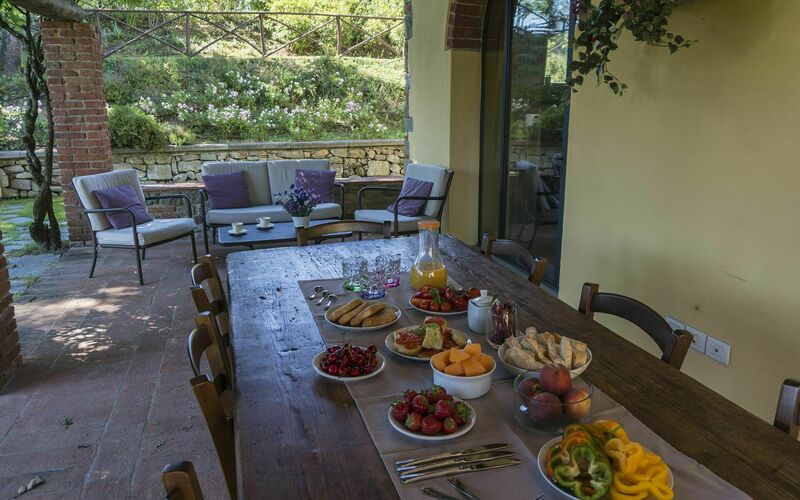 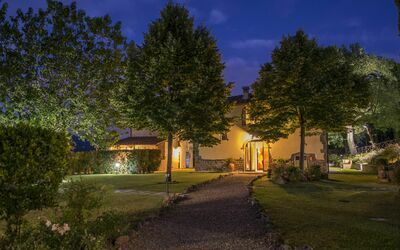 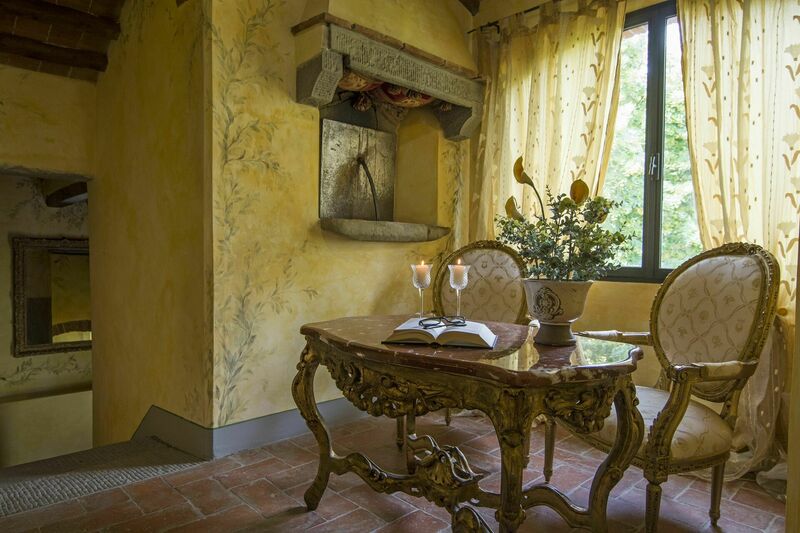 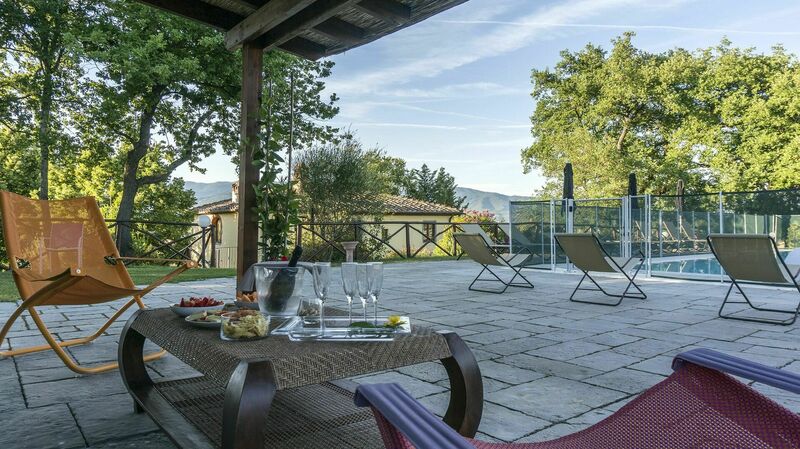 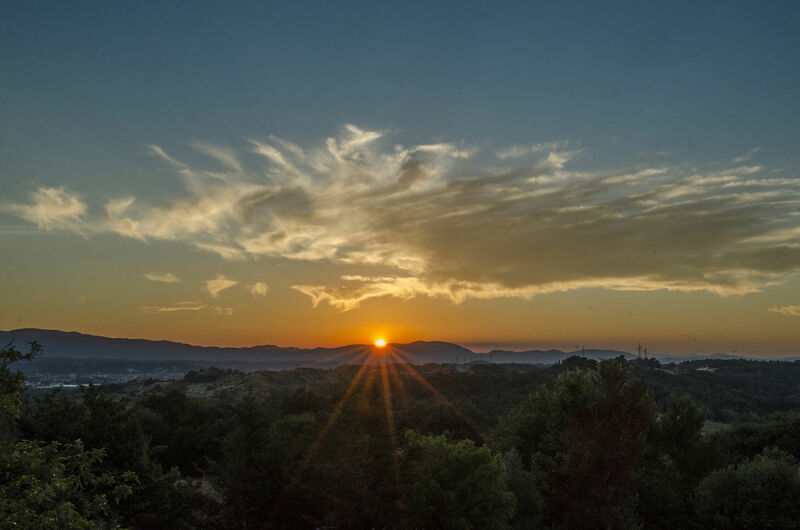 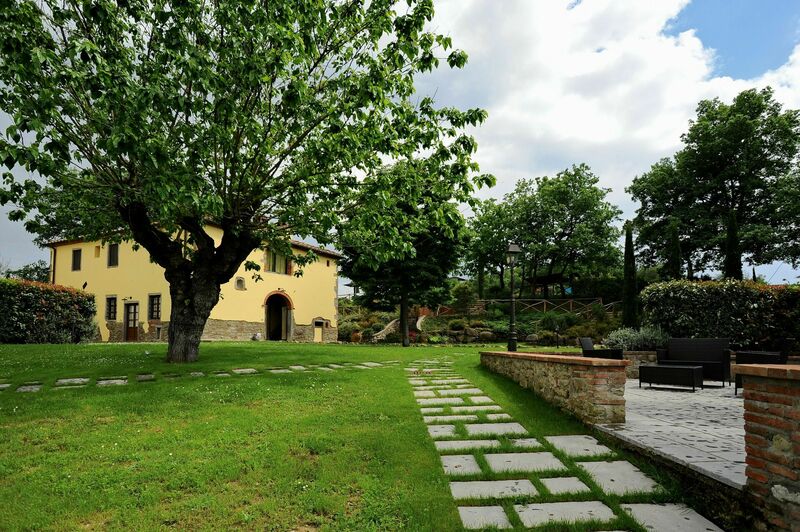 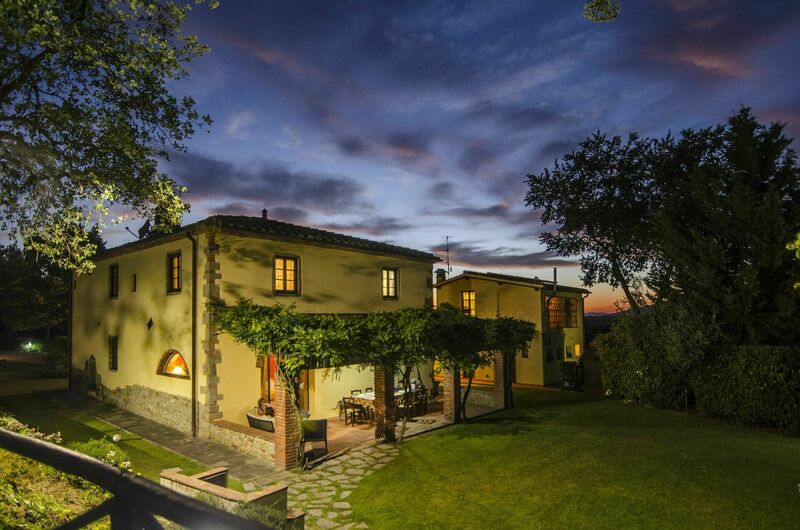 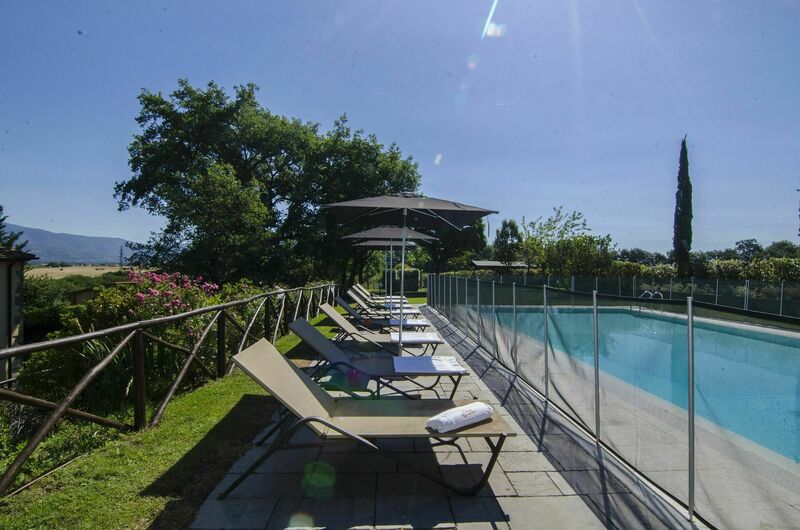 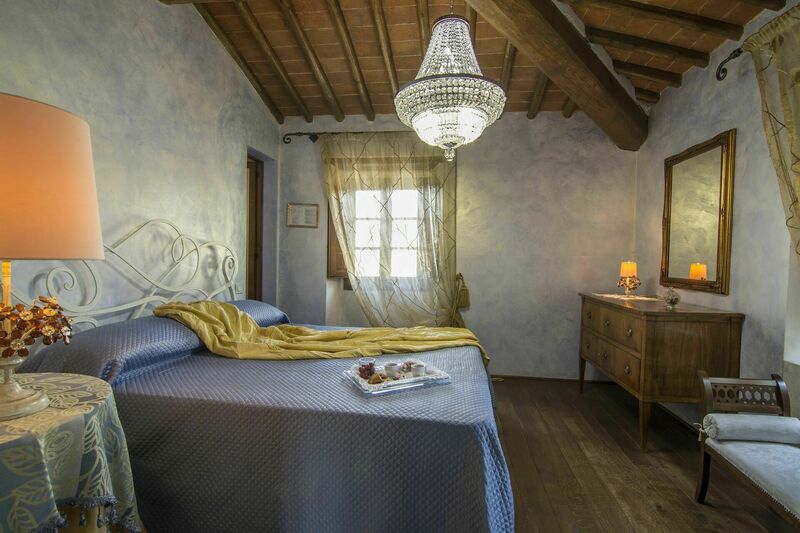 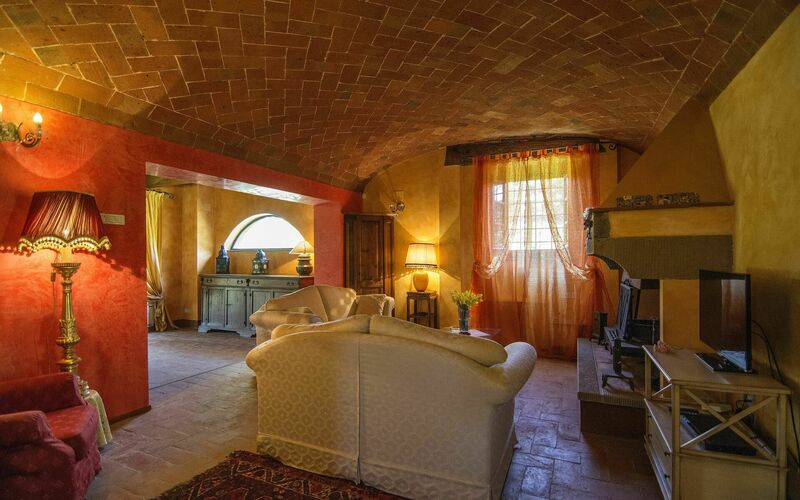 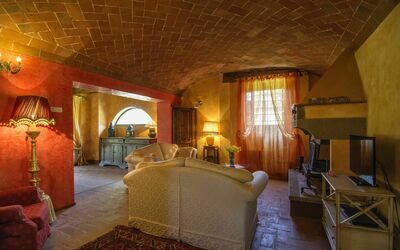 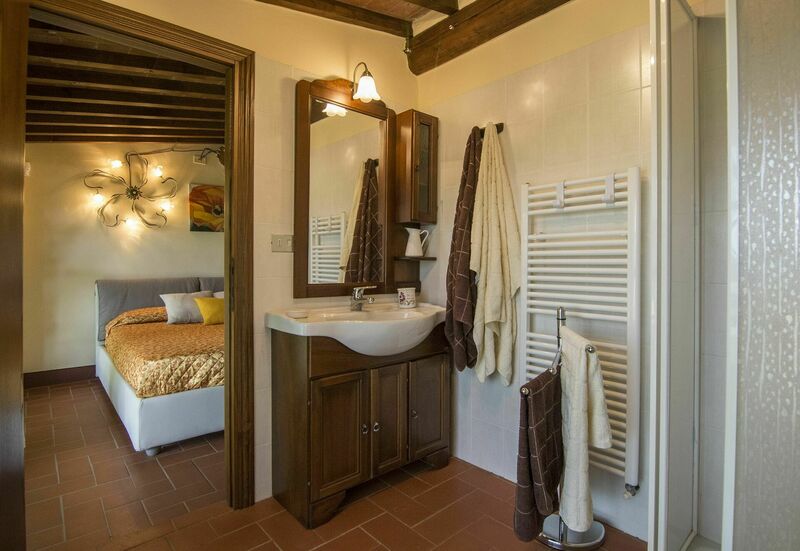 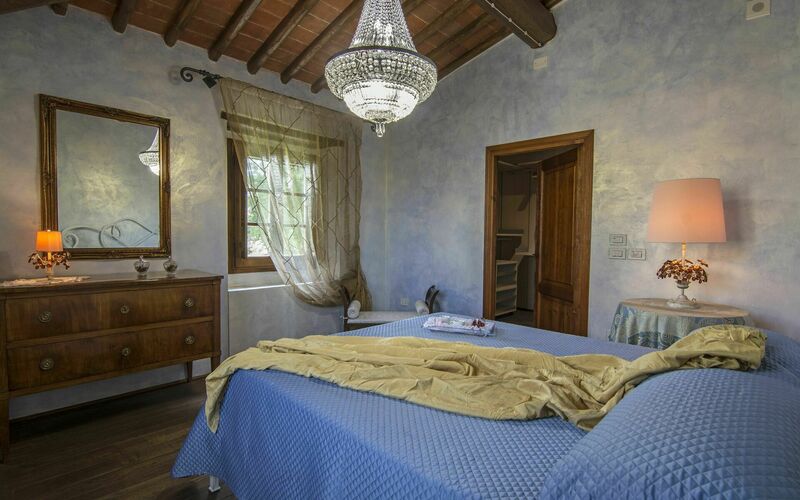 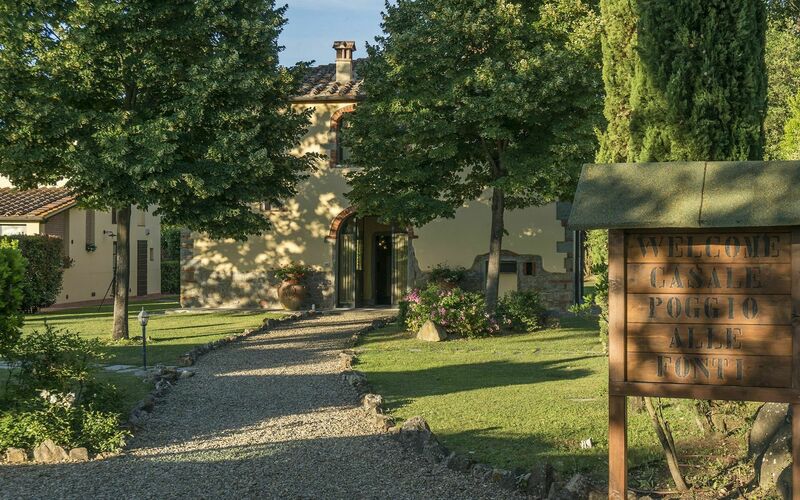 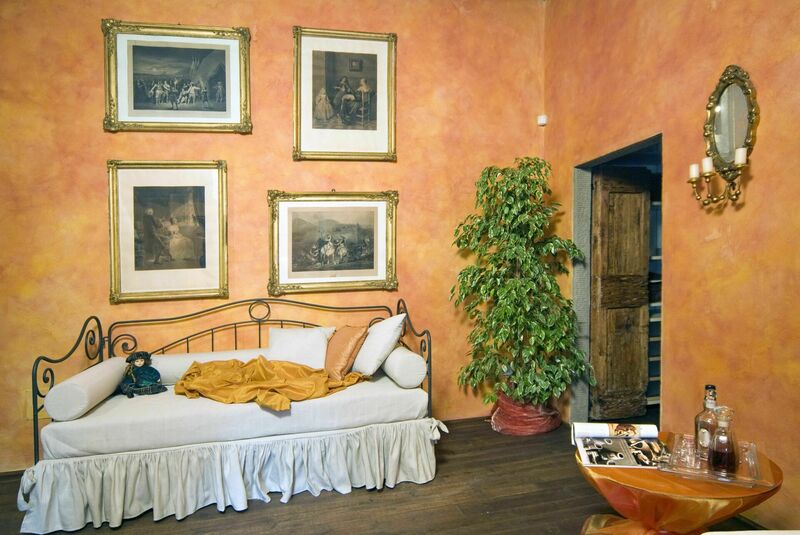 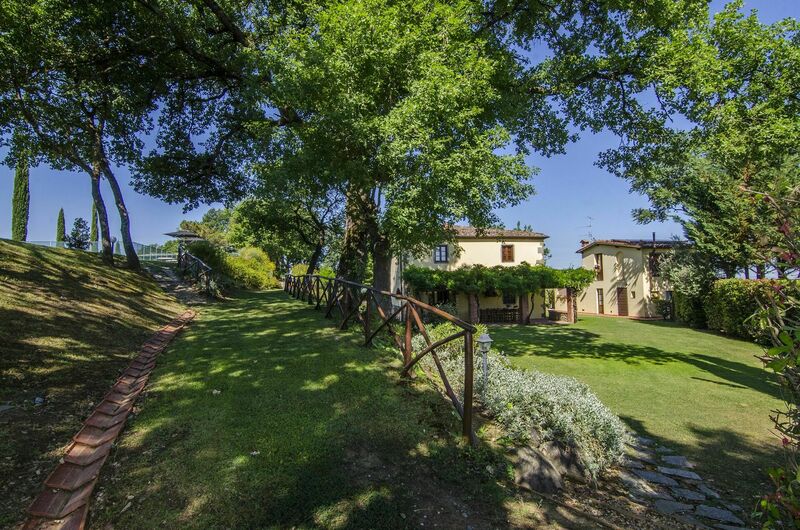 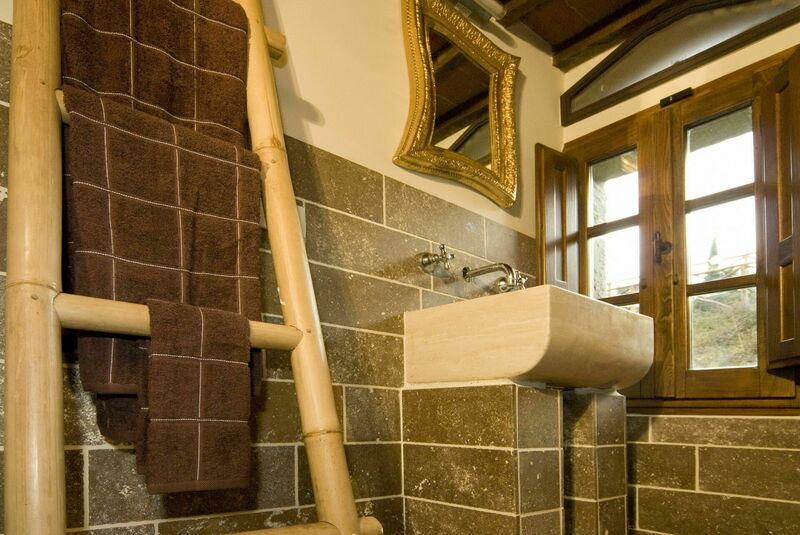 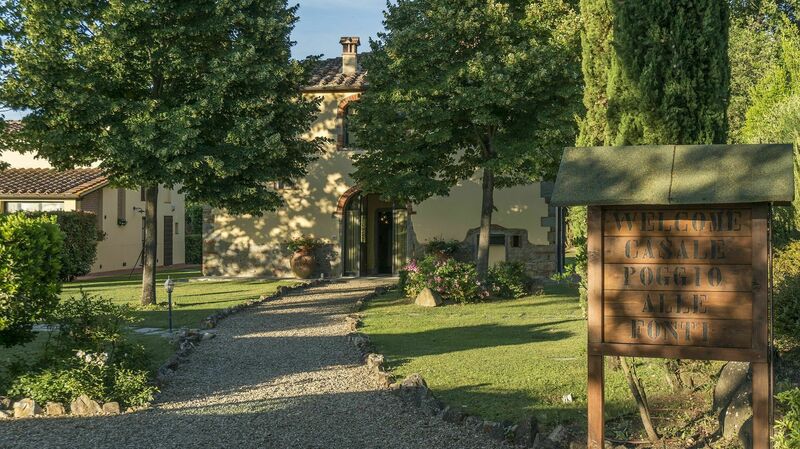 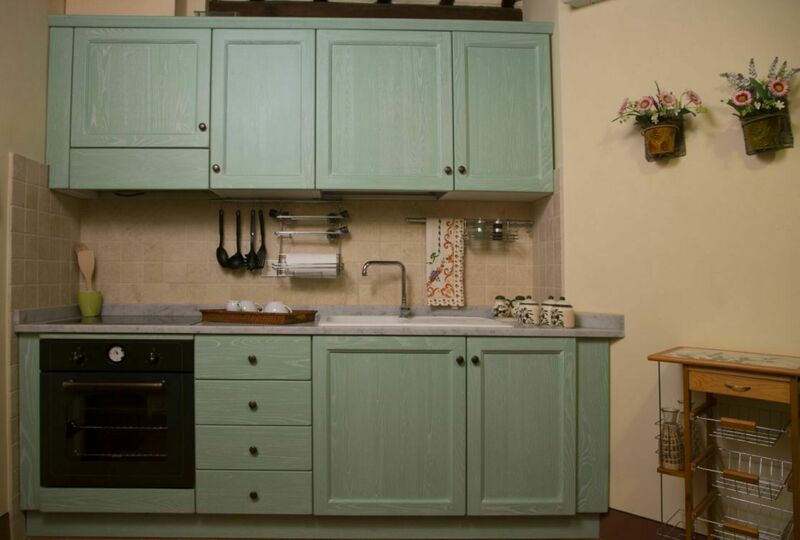 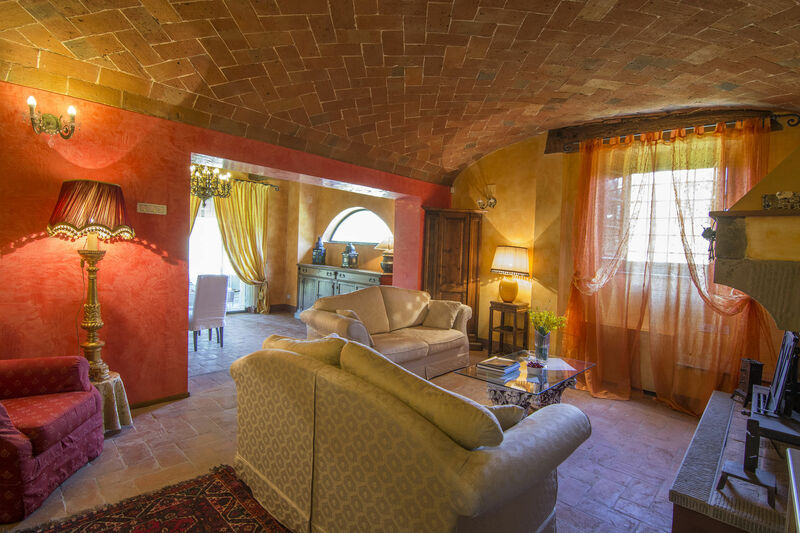 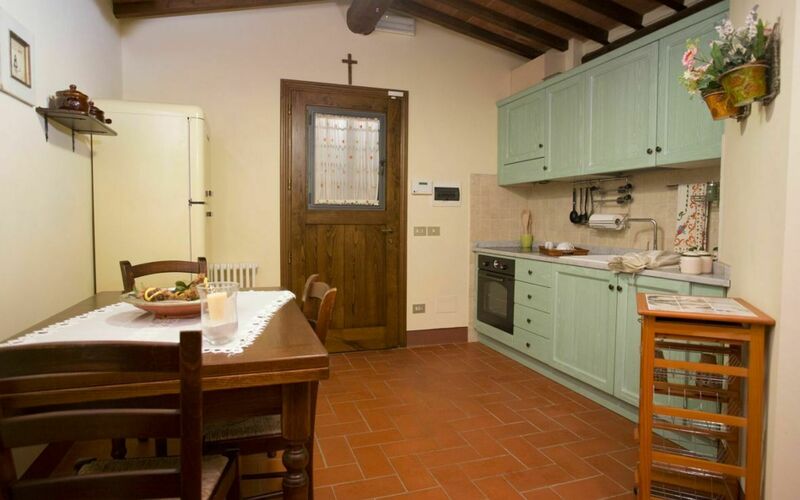 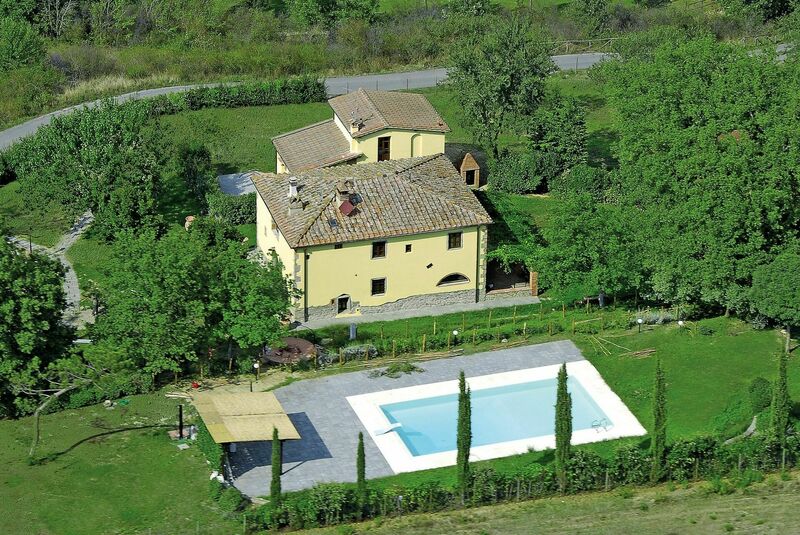 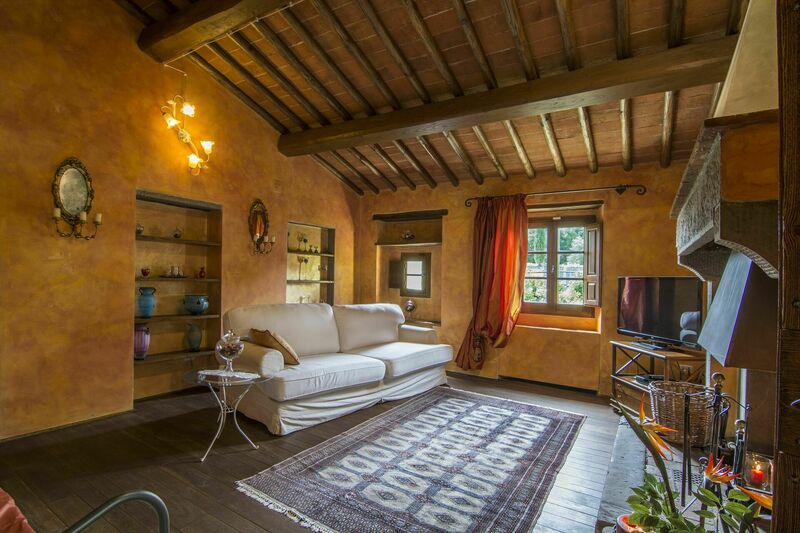 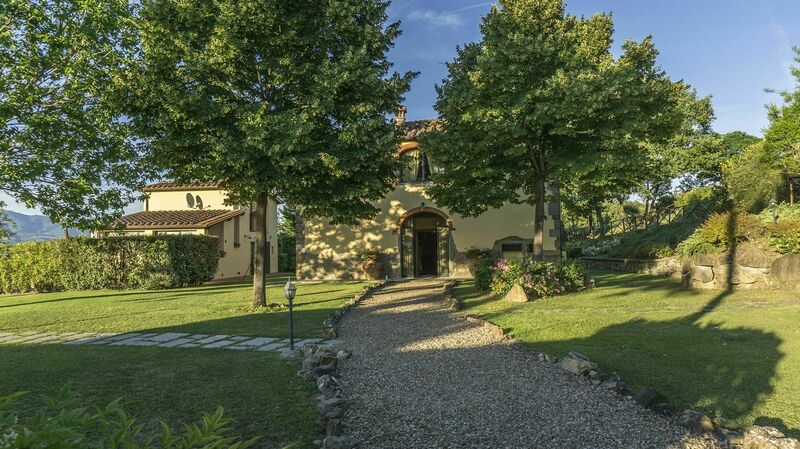 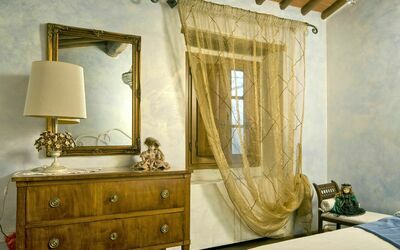 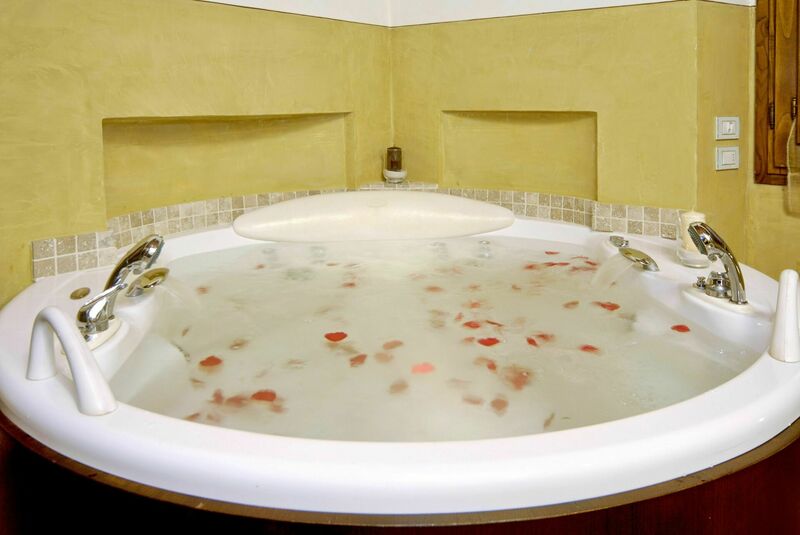 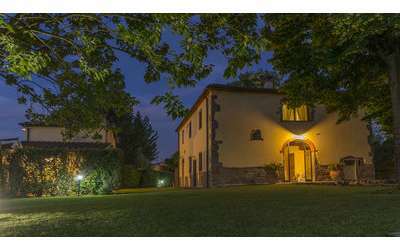 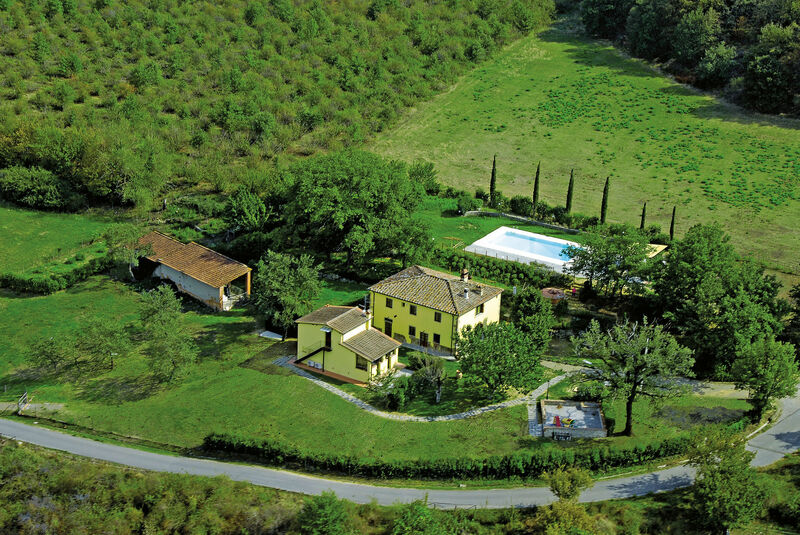 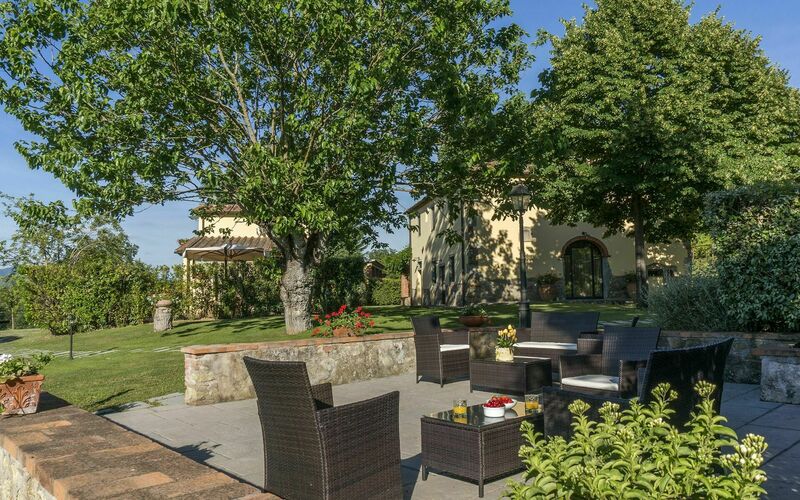 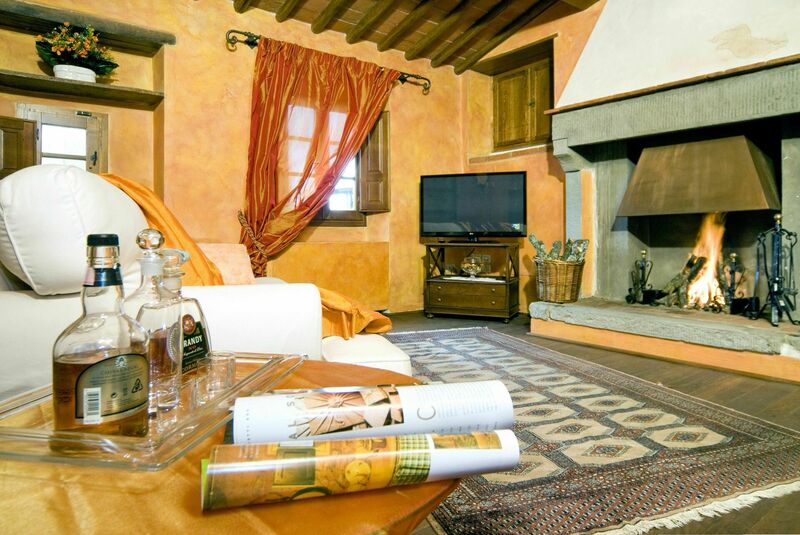 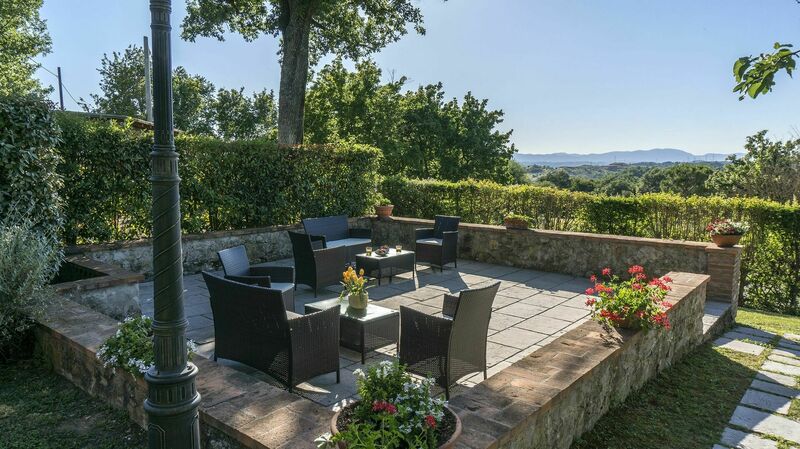 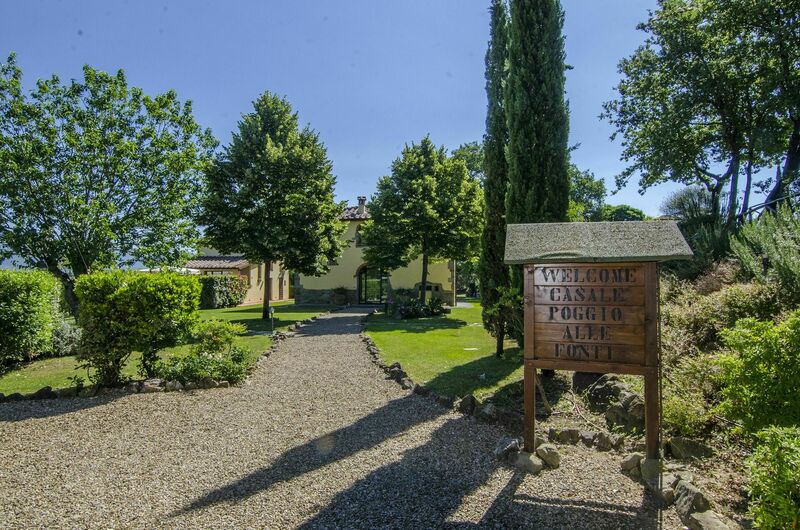 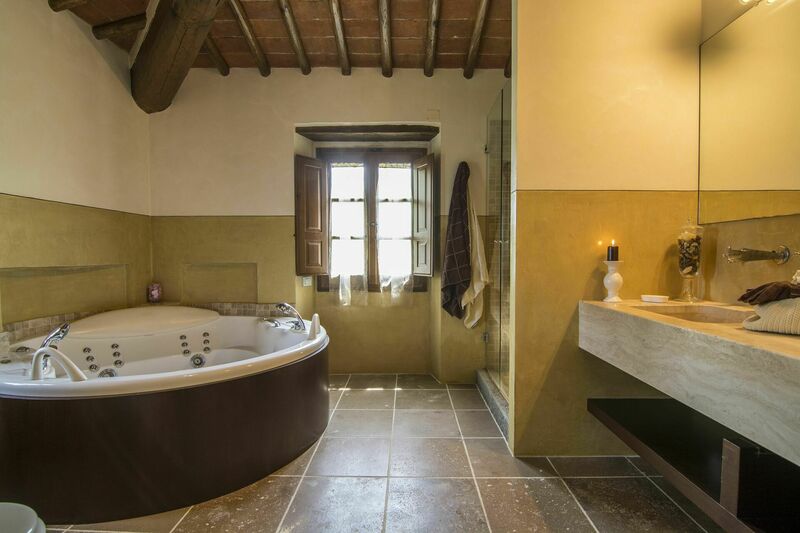 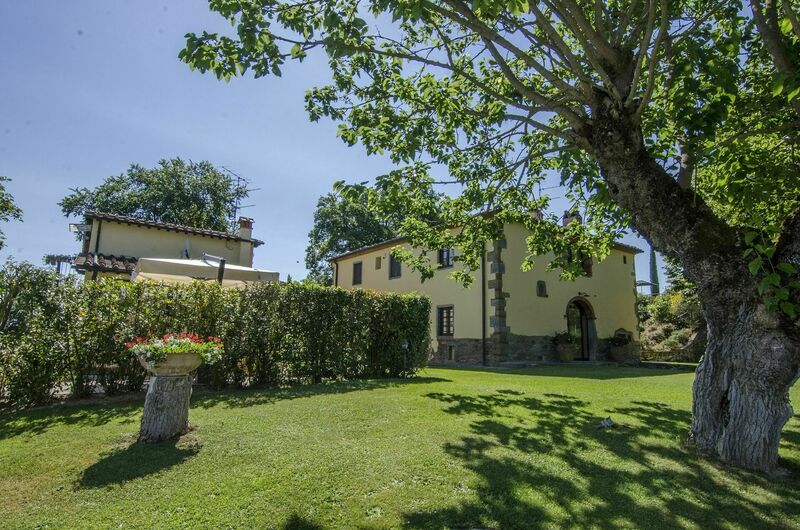 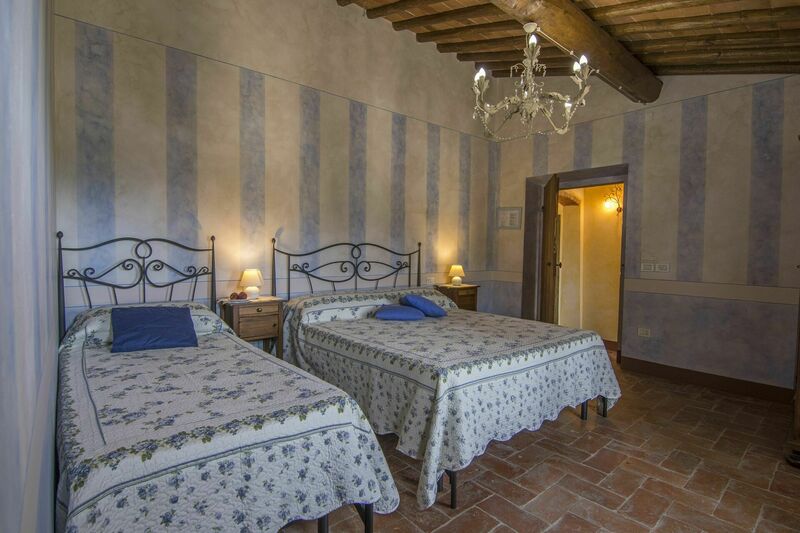 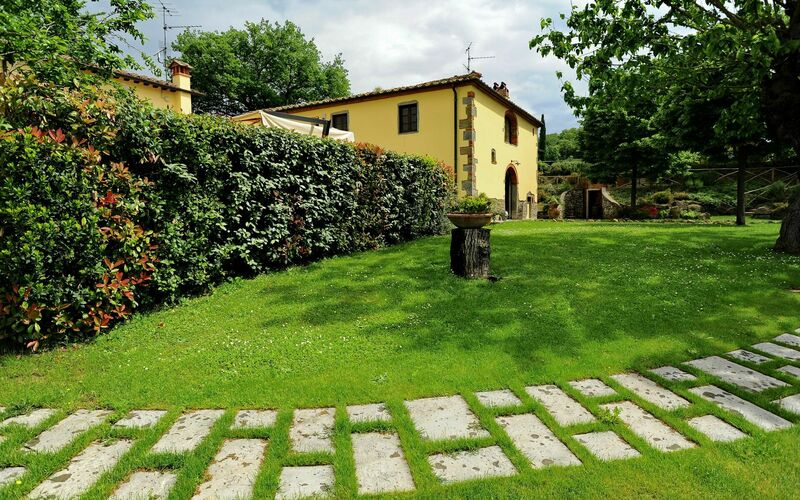 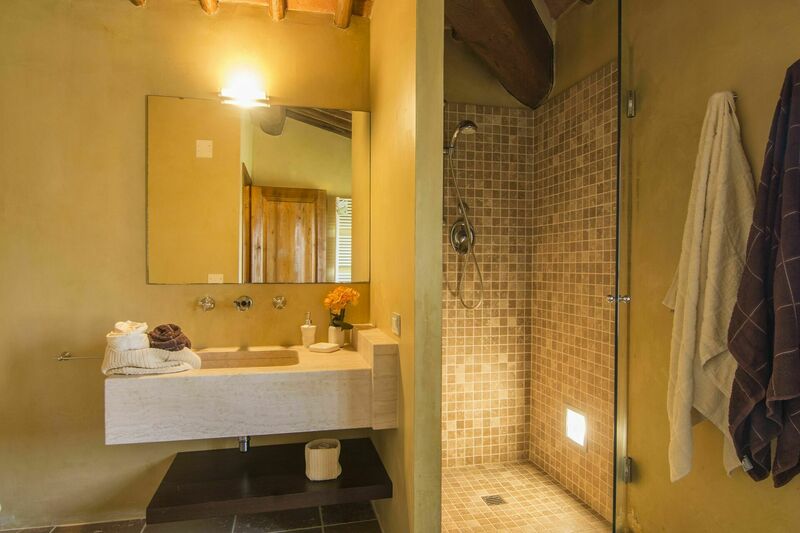 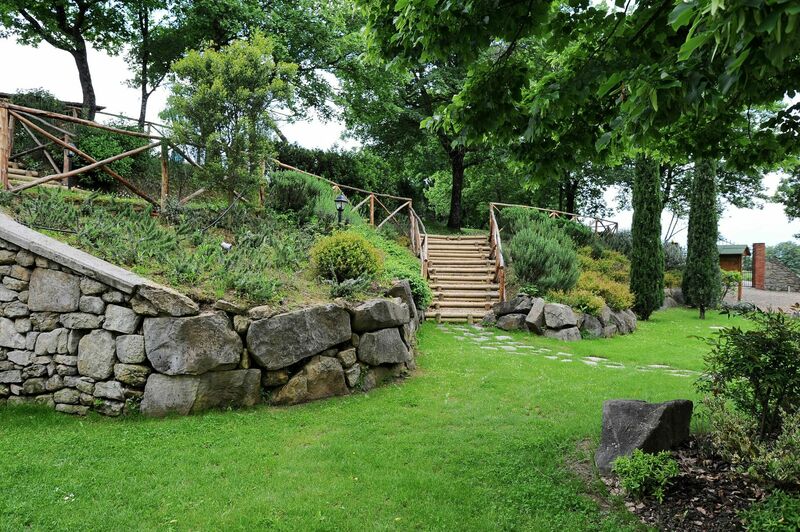 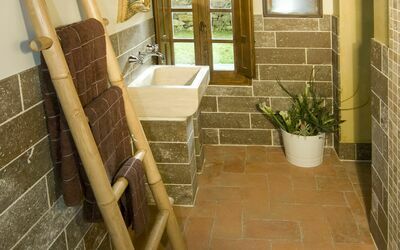 Ancient farmhouse with dependance located in the heart of the "Bandella Natural Reserve", on the border with Chianti, in a position to easily reach the other major centers of the region such as Siena, Florence and Arezzo. 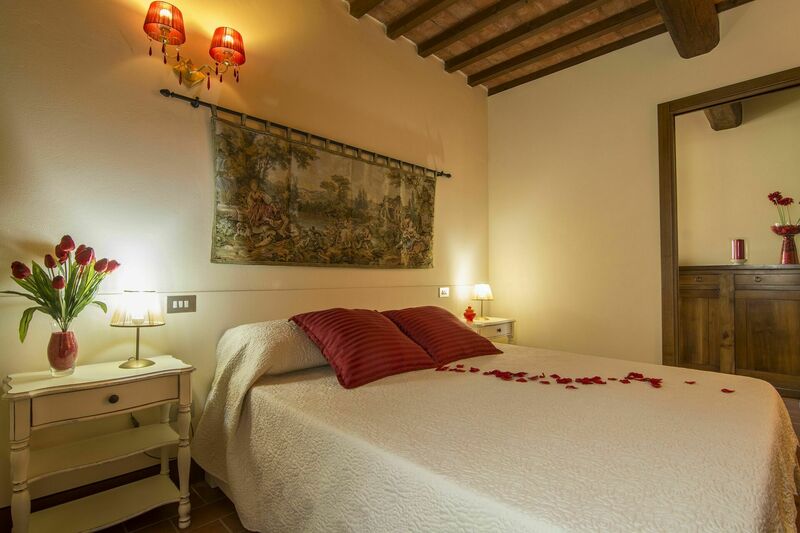 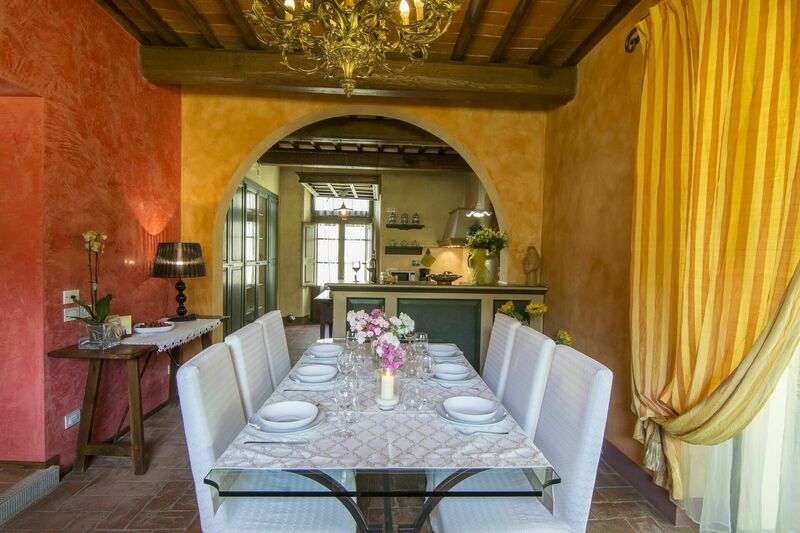 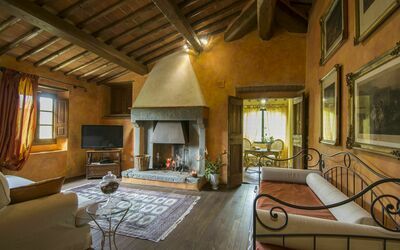 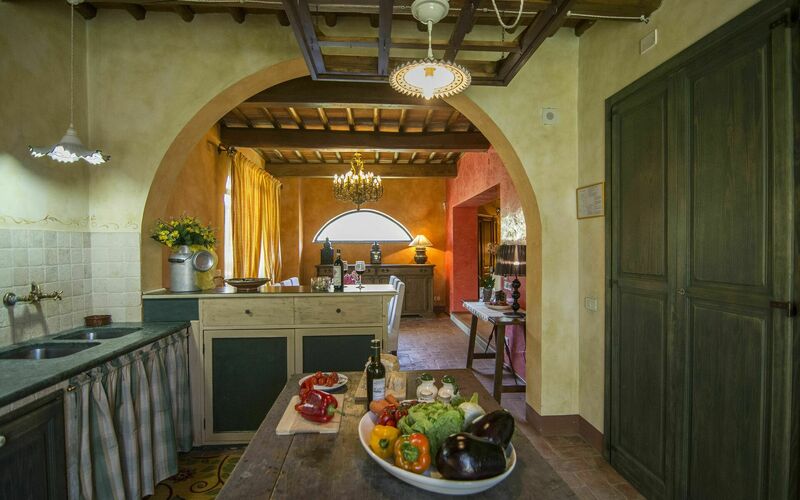 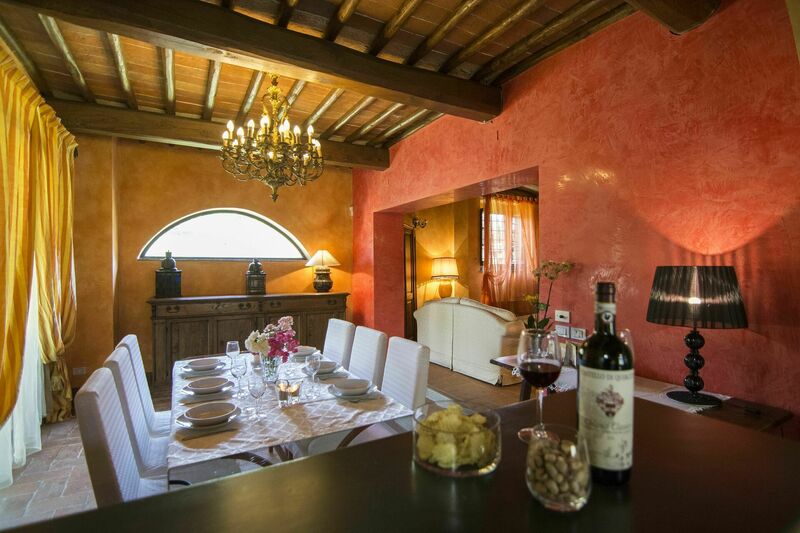 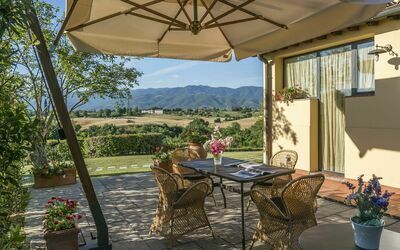 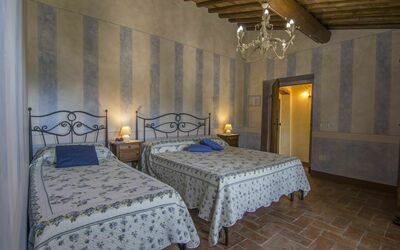 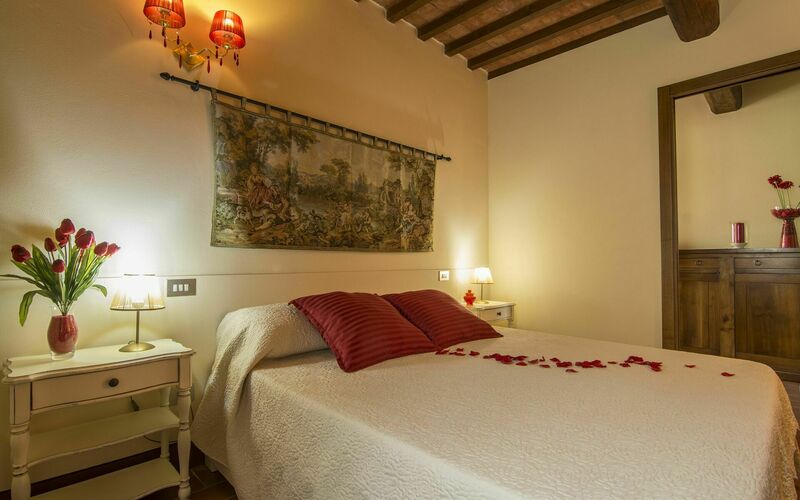 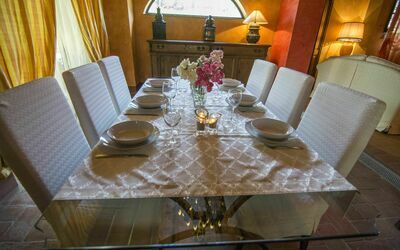 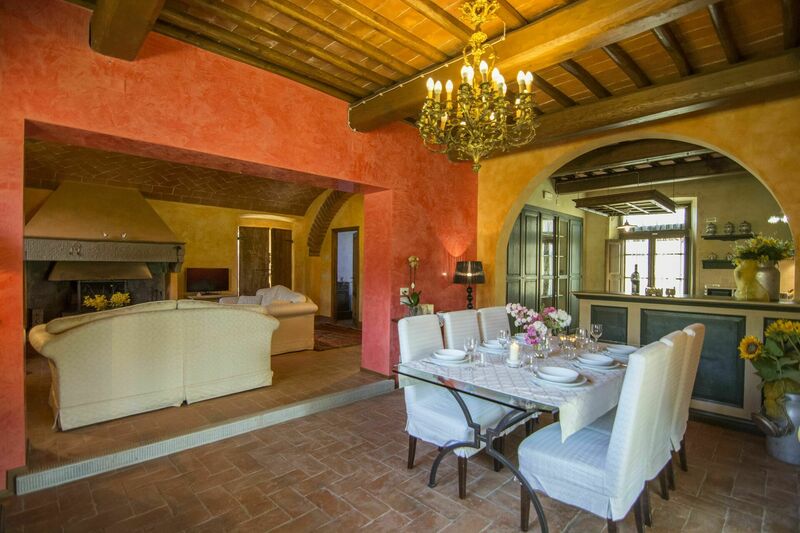 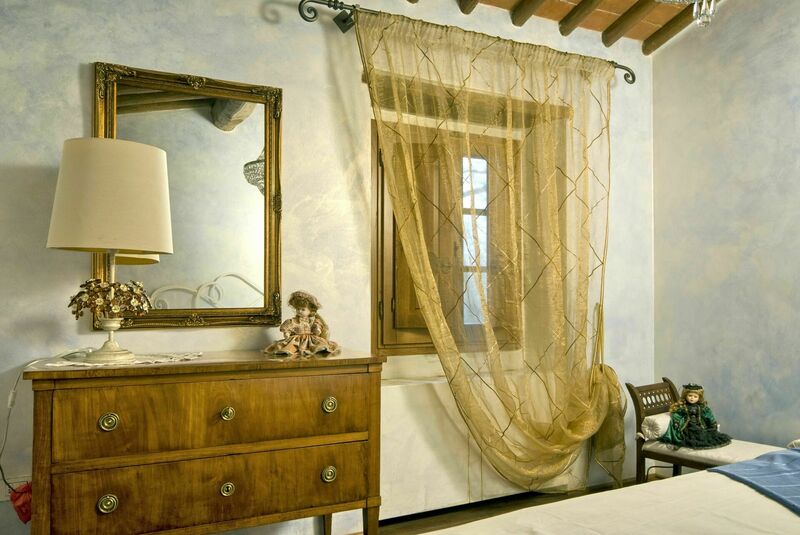 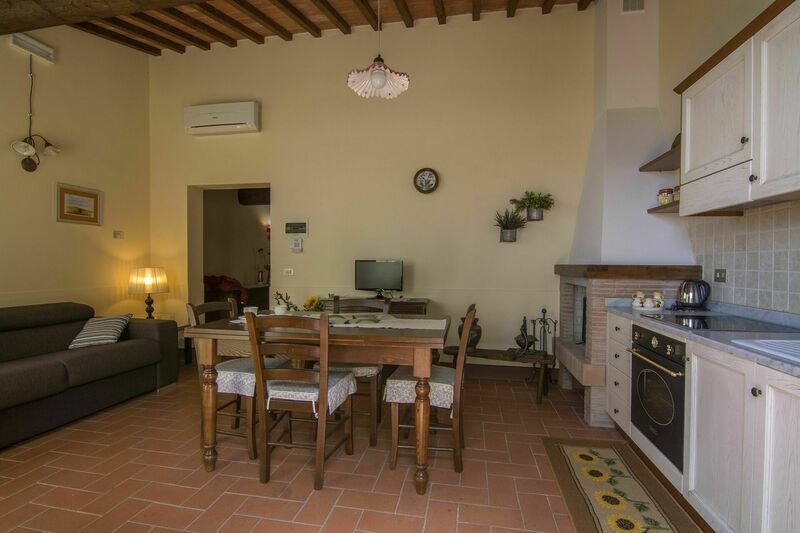 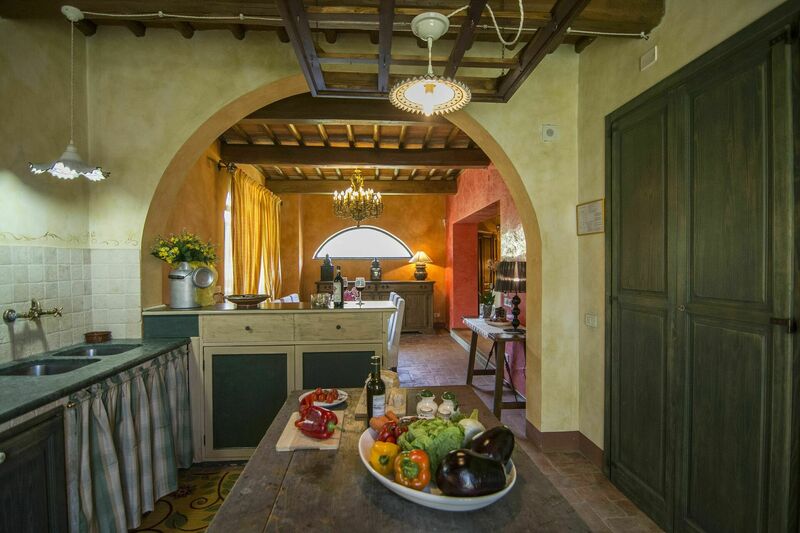 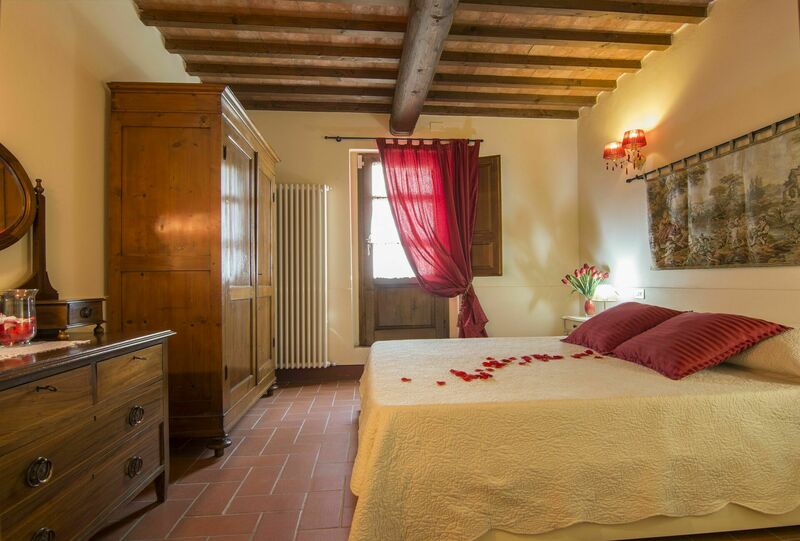 The Villa has been restored with care and taste maintaining the old characteristics with exposed beams and large wooden fireplaces. 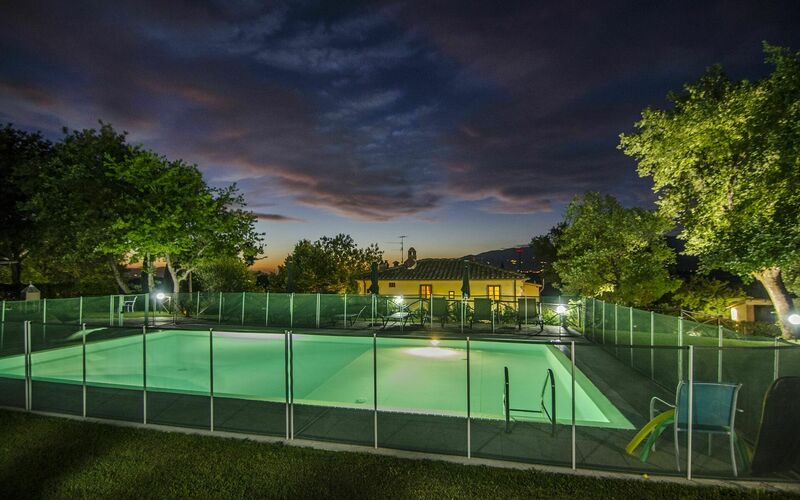 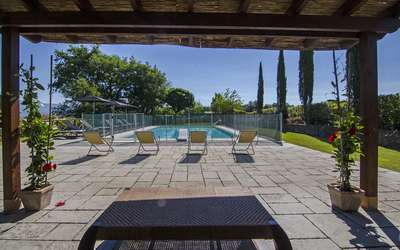 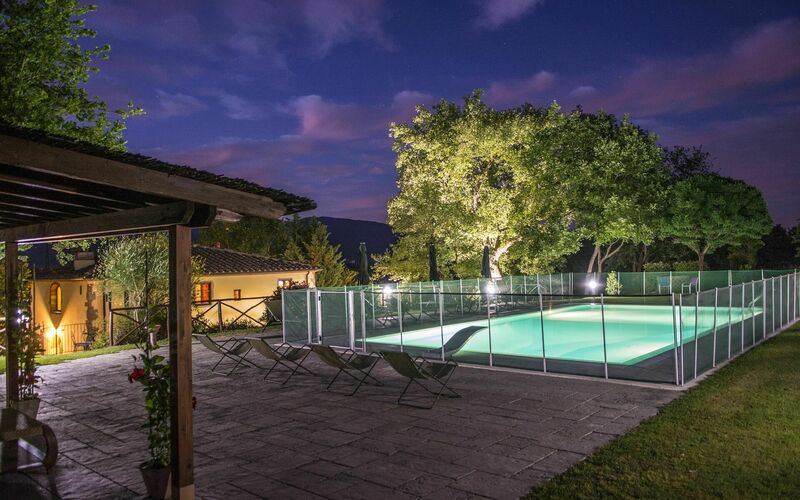 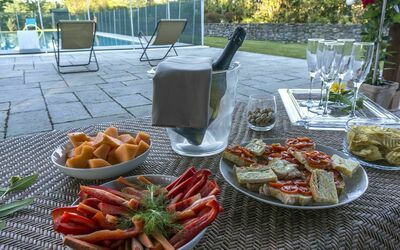 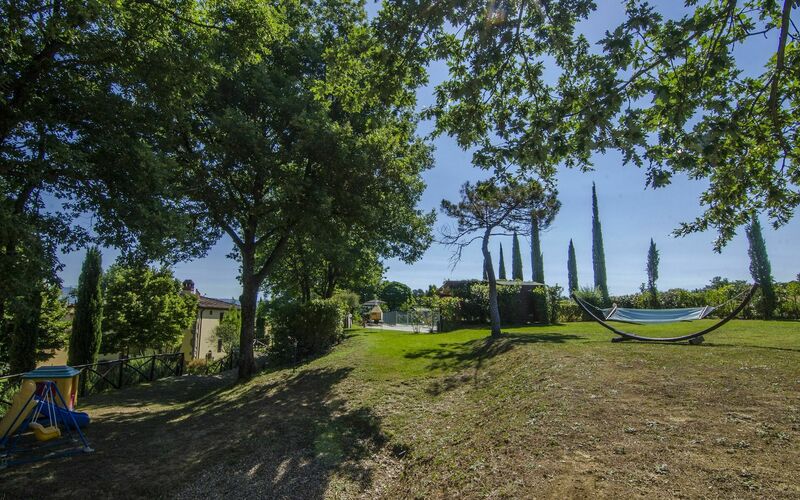 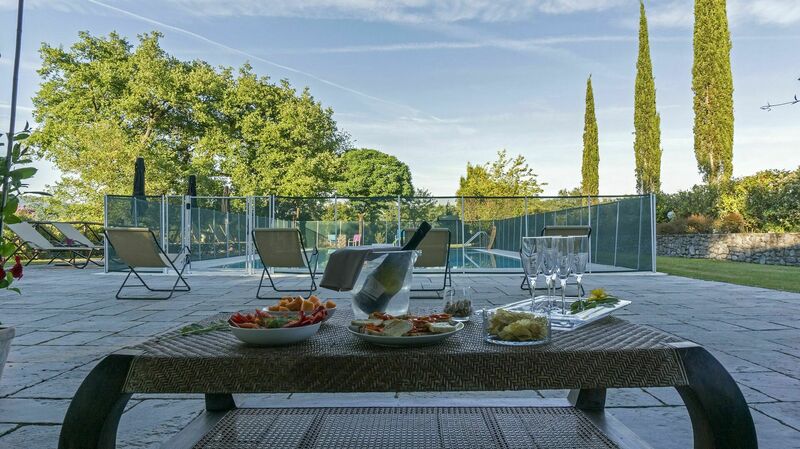 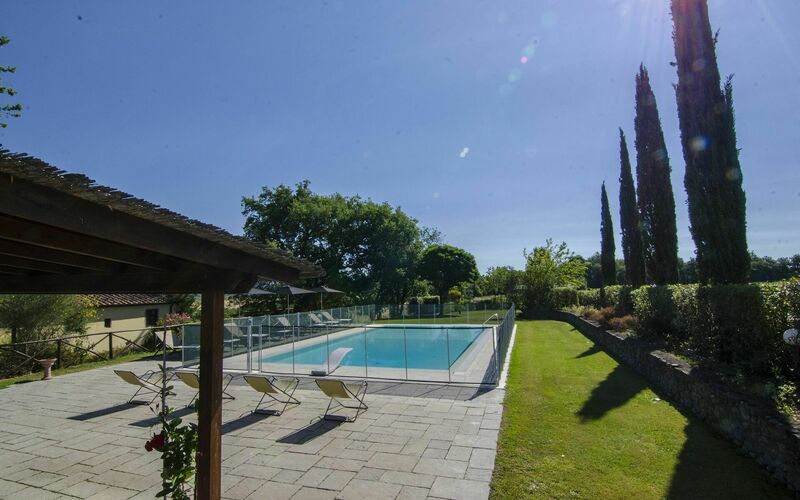 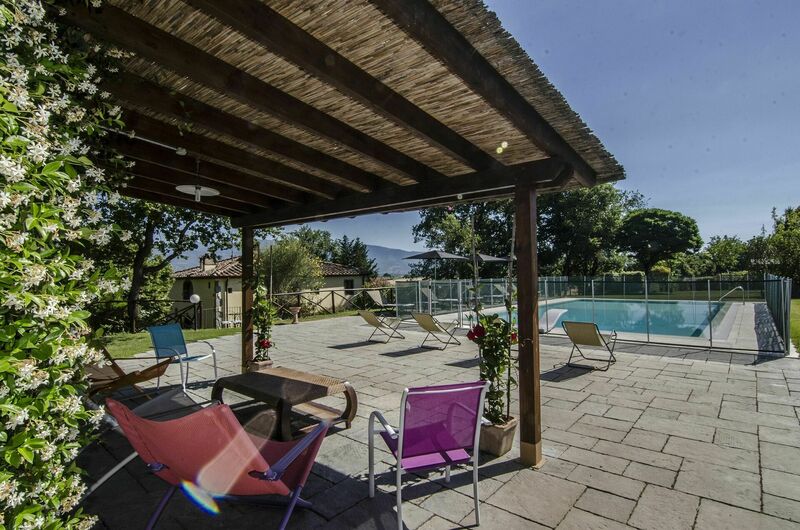 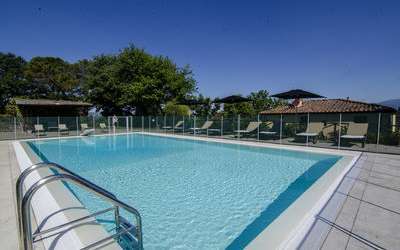 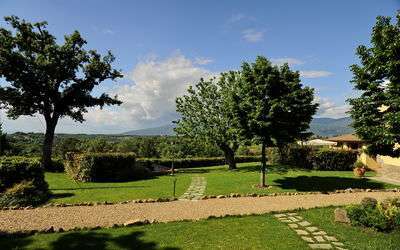 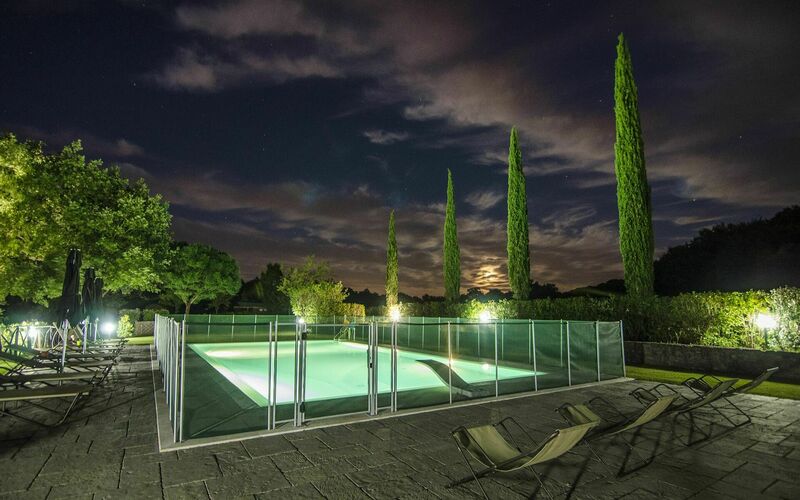 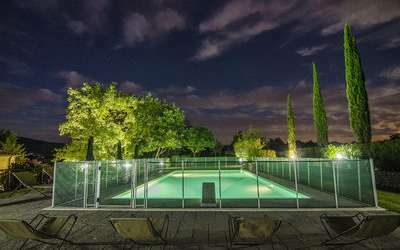 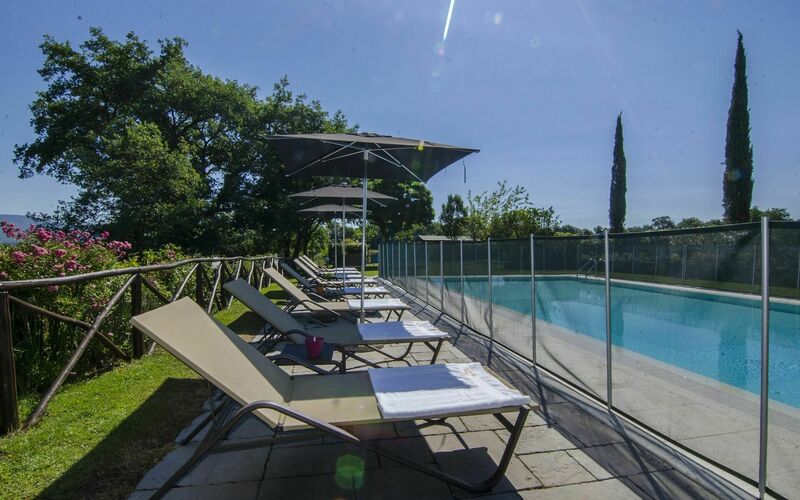 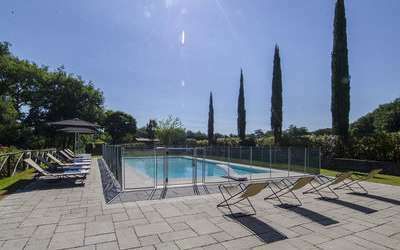 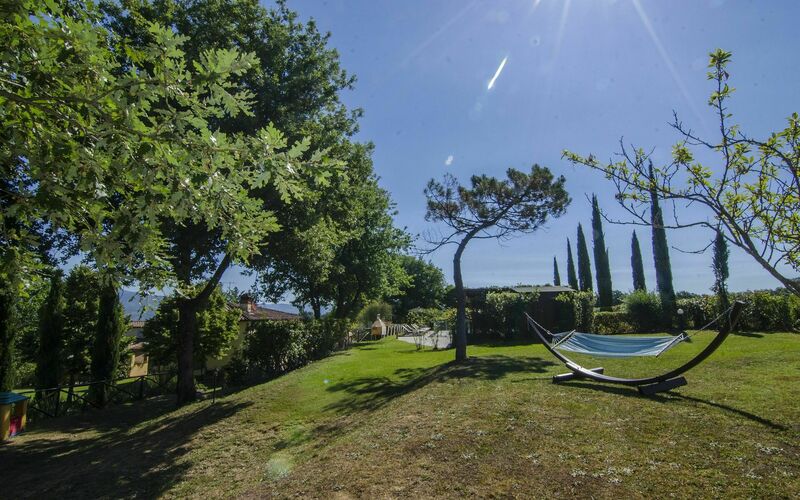 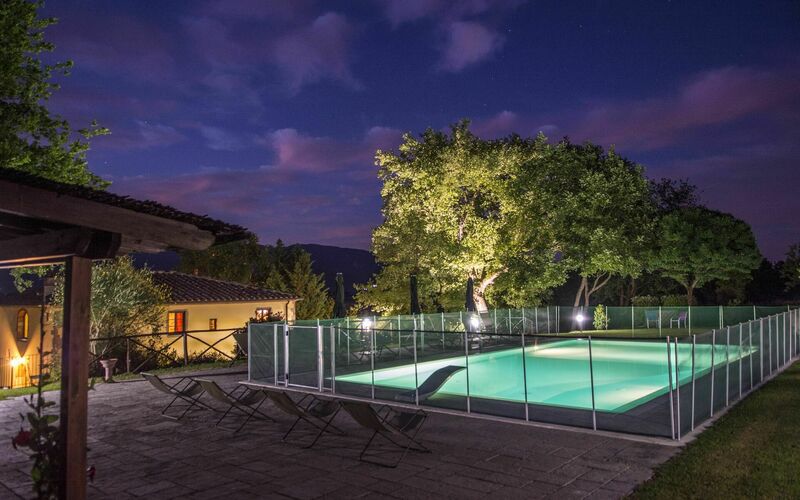 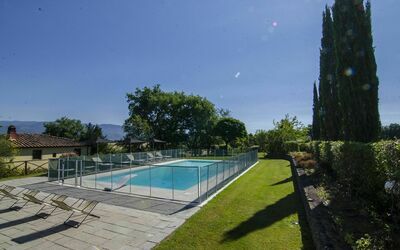 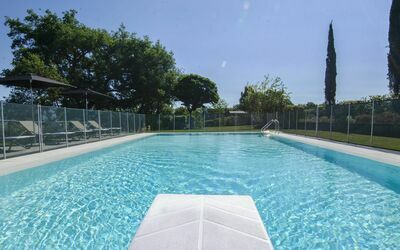 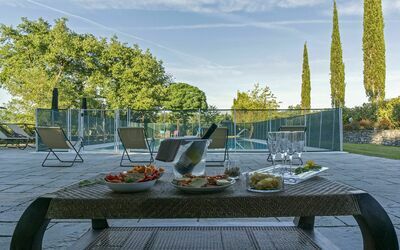 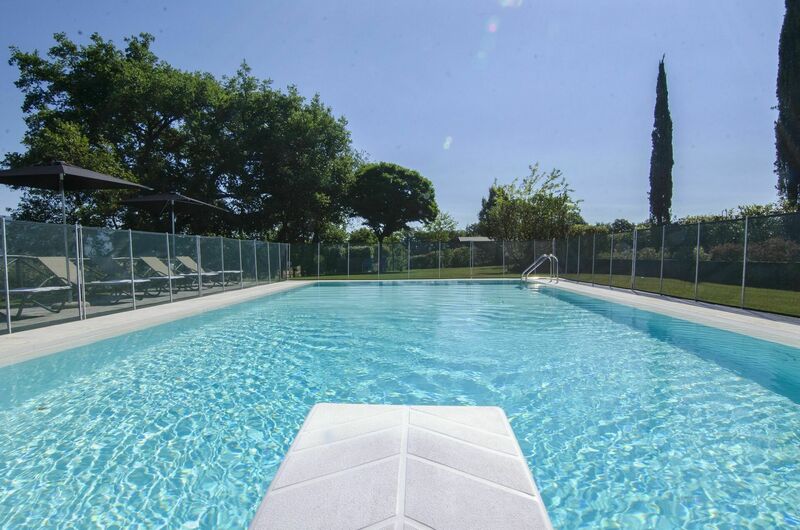 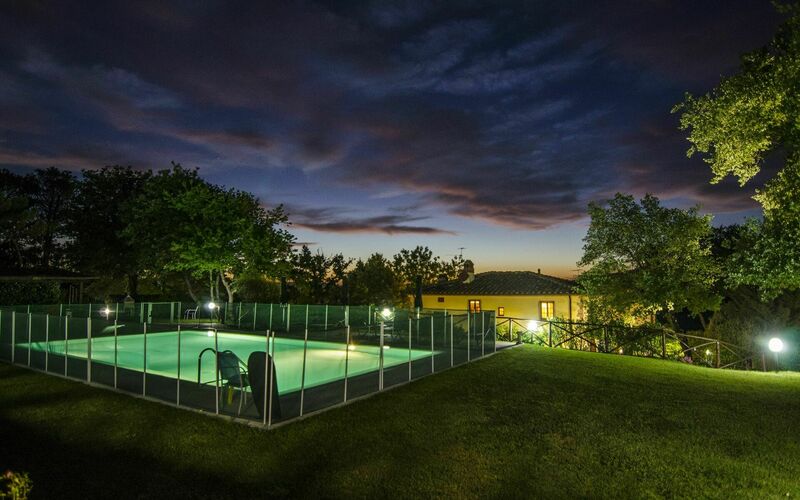 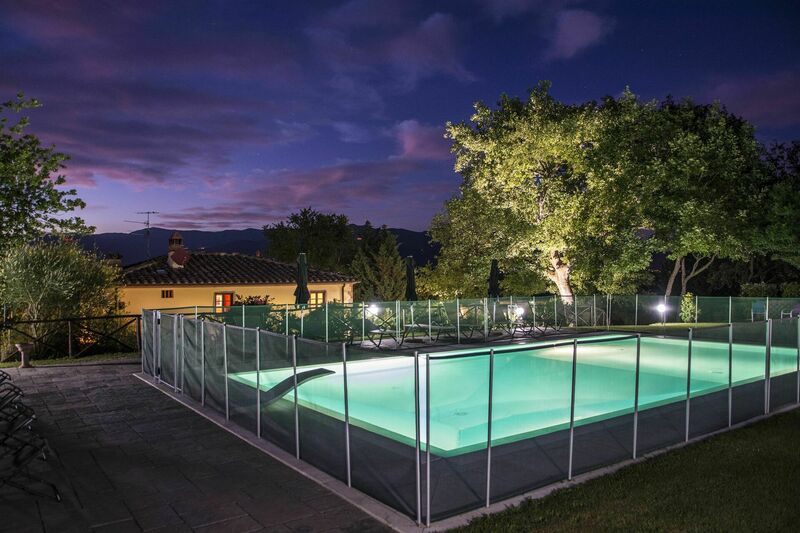 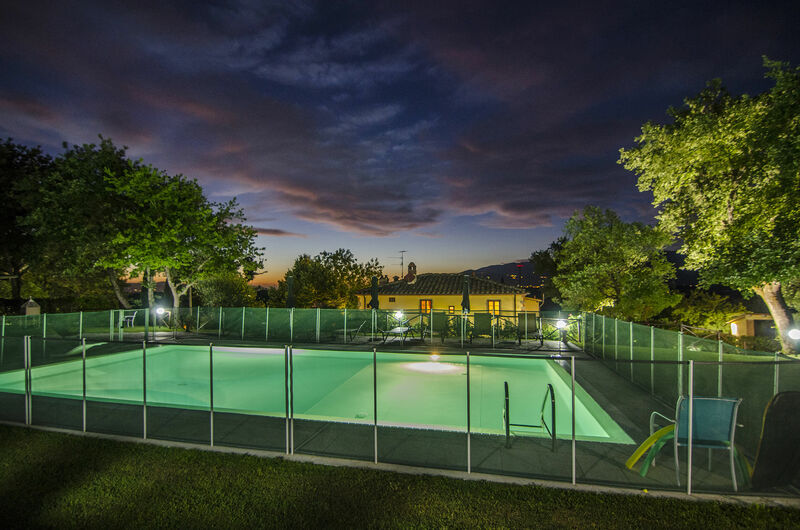 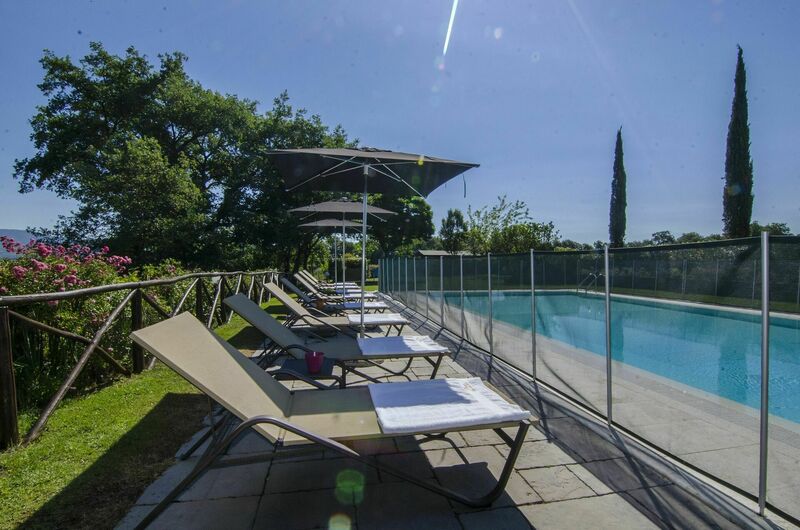 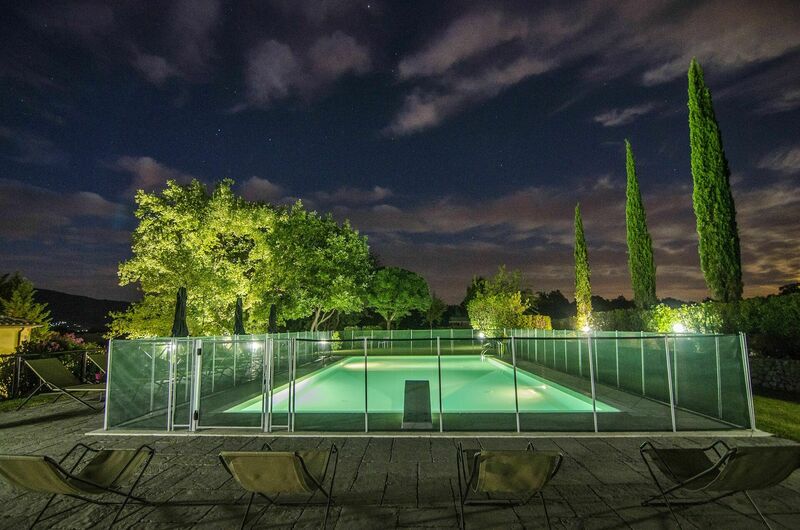 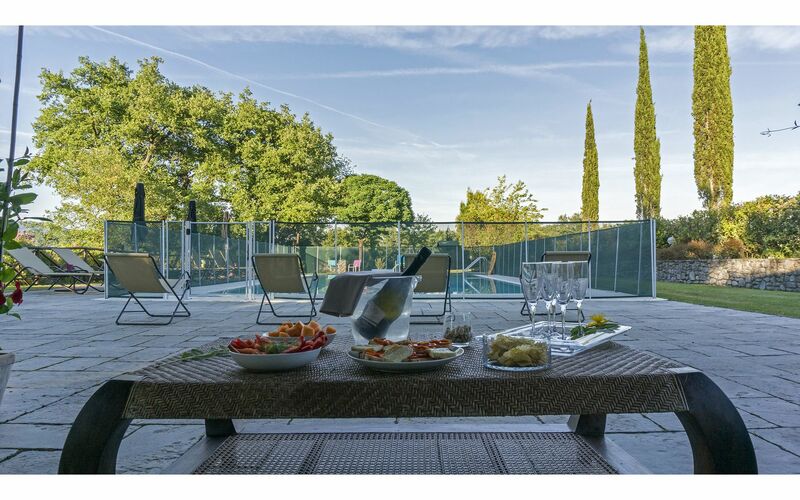 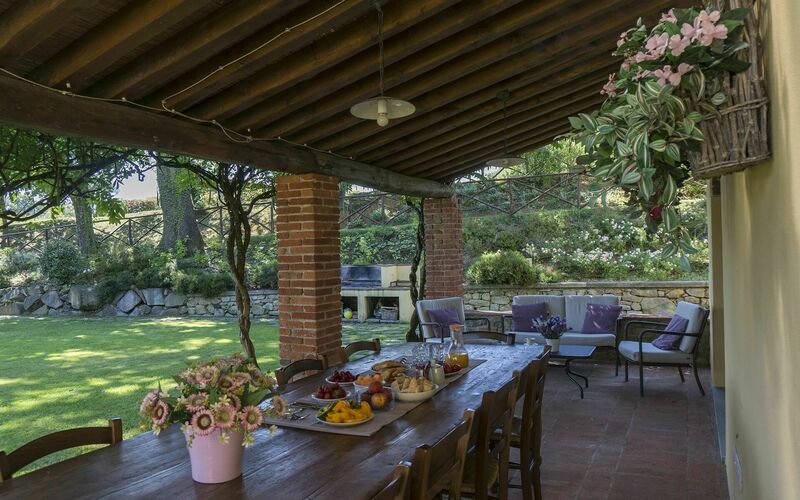 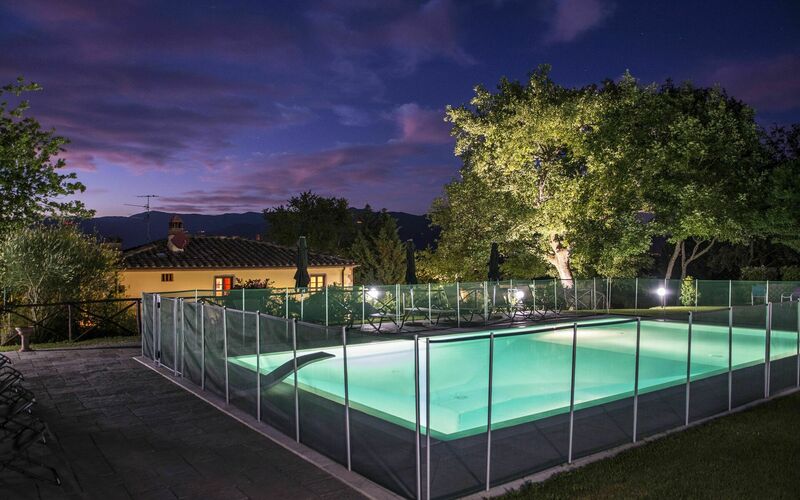 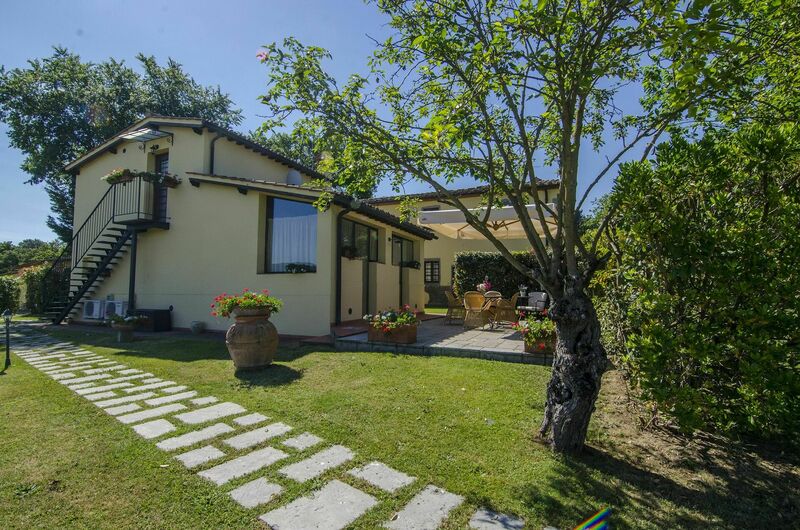 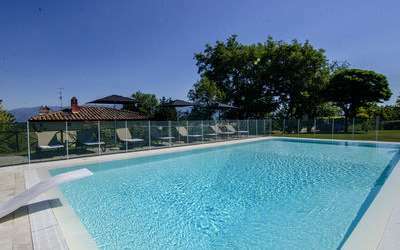 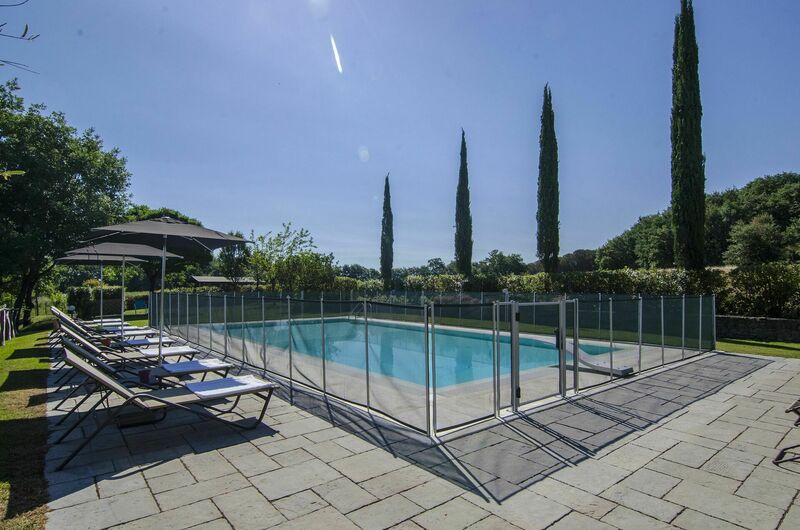 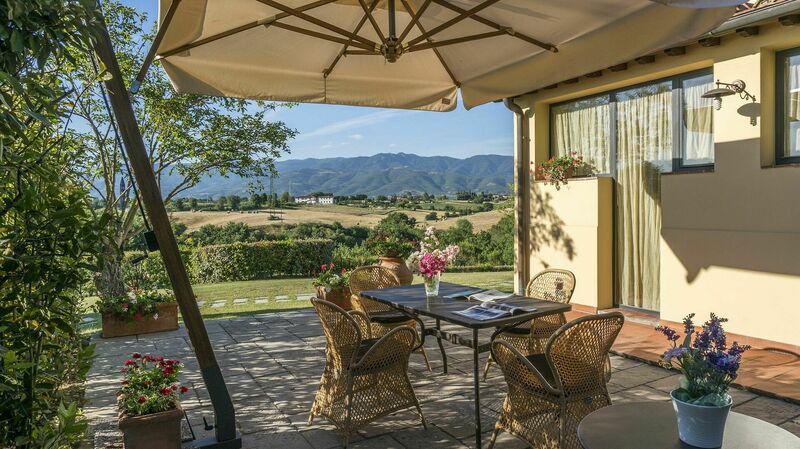 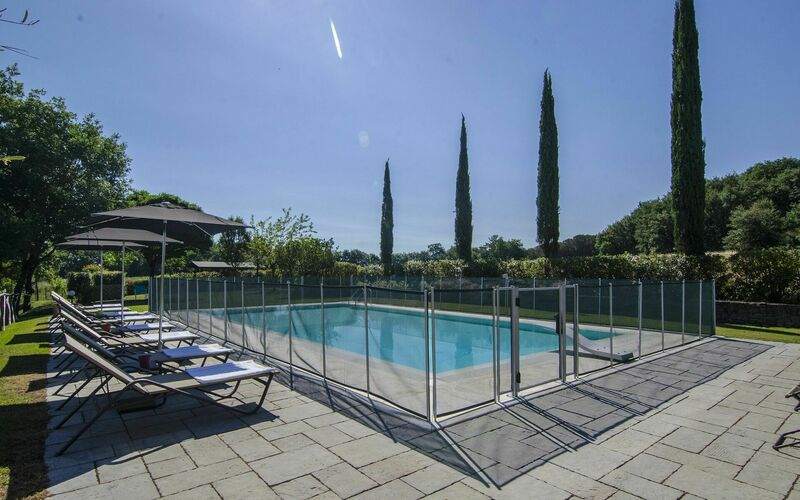 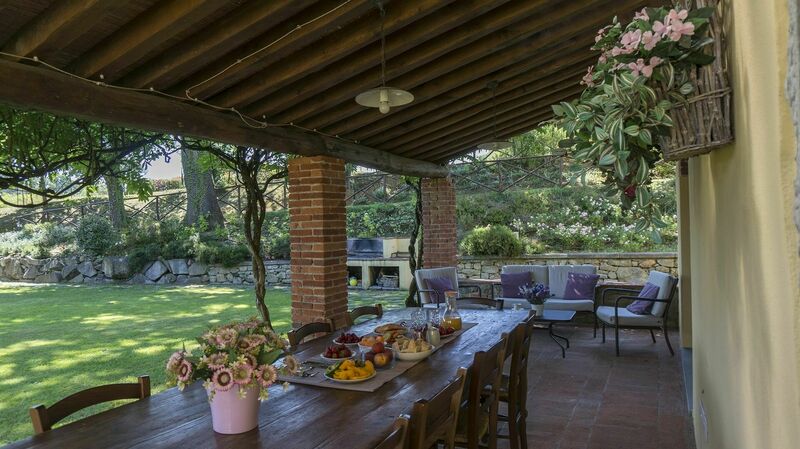 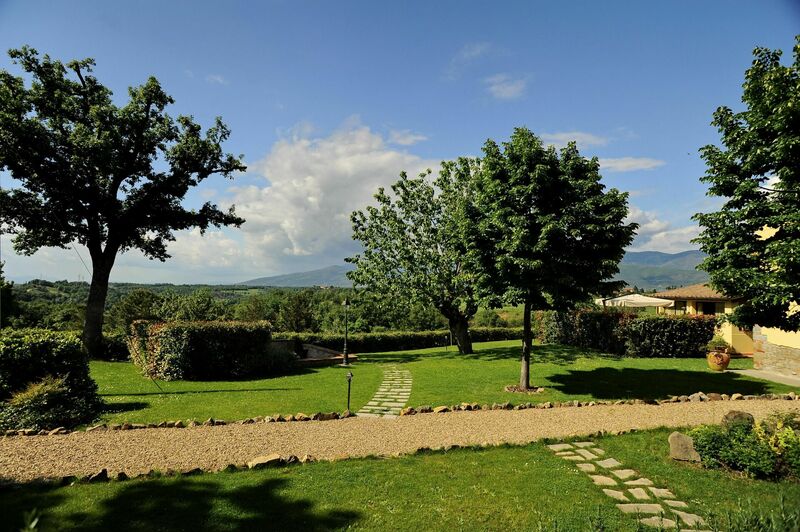 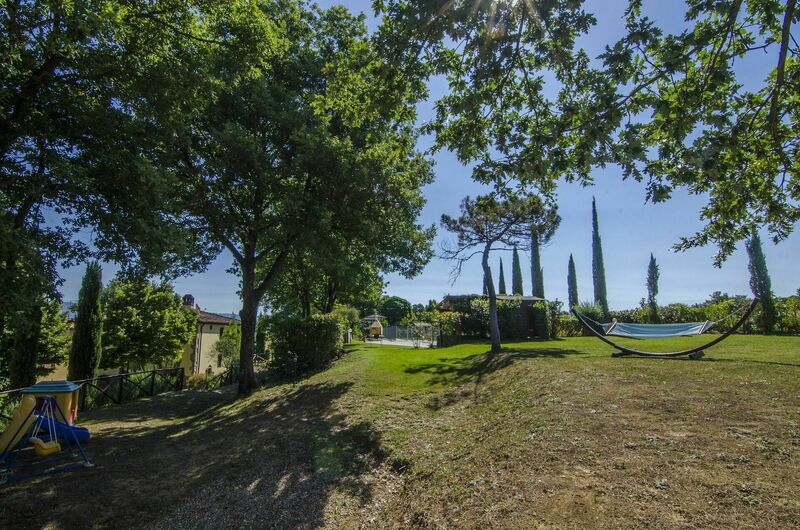 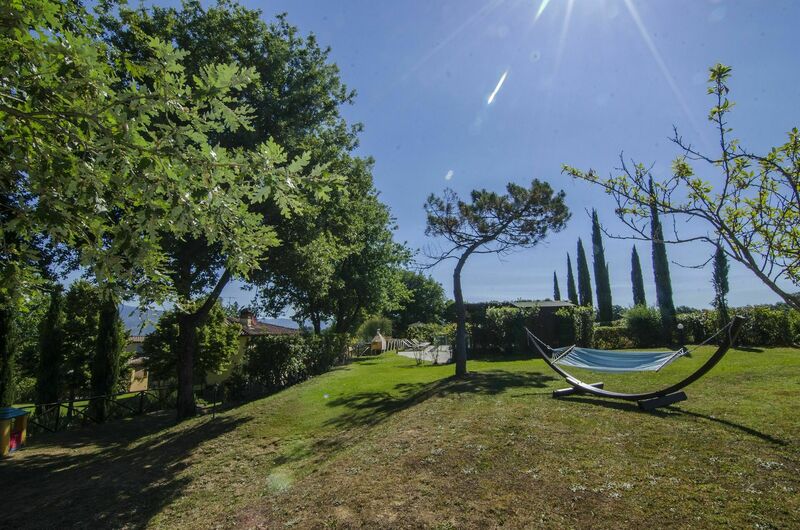 The property is surrounded by a large fenced garden of about 5,000 sqm with swimming pool for the exclusive use of guests (6m x 12m. 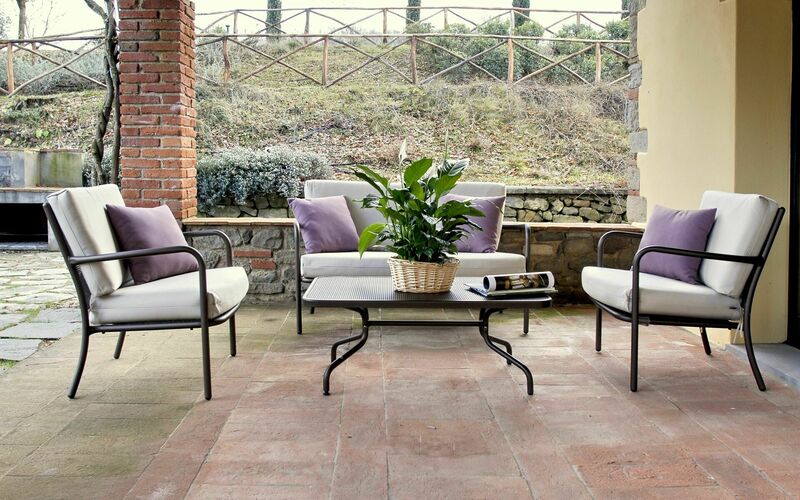 140-240cm fenced), and equipped for outdoor dining and dinners. 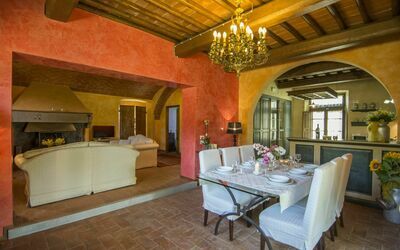 The environment is ideal for families and children, and at the same time it is the setting for a romantic holiday in absolute charm. 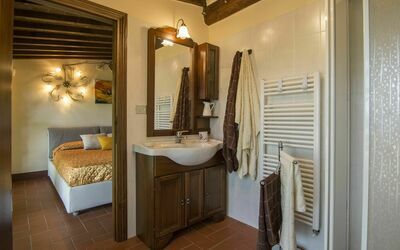 There is air conditioning in all rooms except for the 2 bedrooms on the ground floor of the villa. 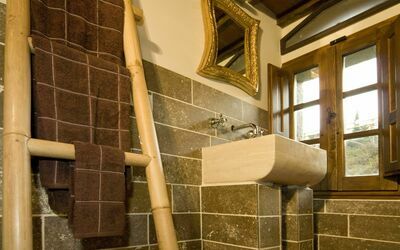 The farmhouse is also provided by a laundry room with washing machine and tumble dryer; private parking; games for children and barbecue. 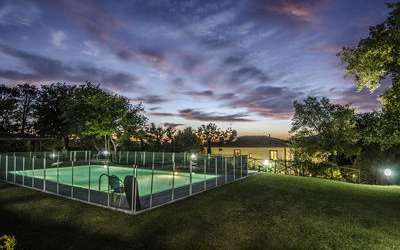 The property is 4km away. from "Levane" (all kinds of shops); 9km. 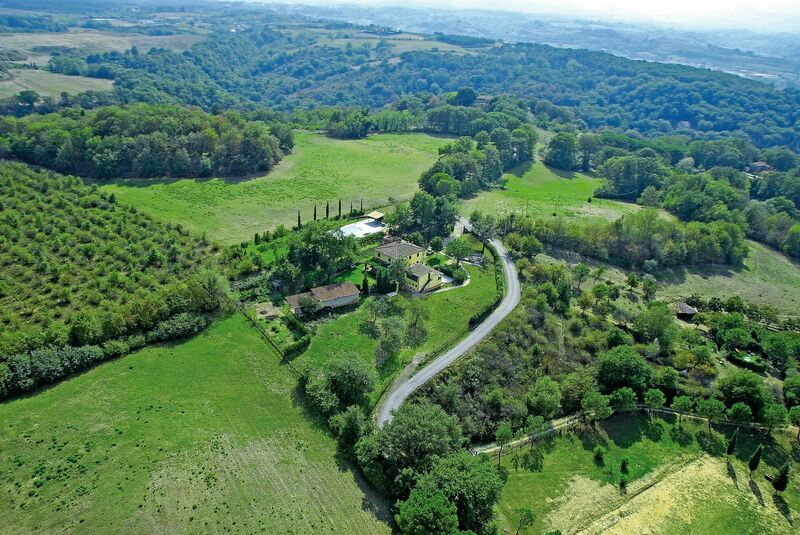 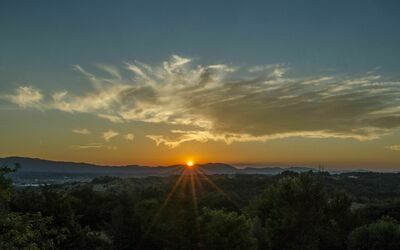 from "Montevarchi", 30km. 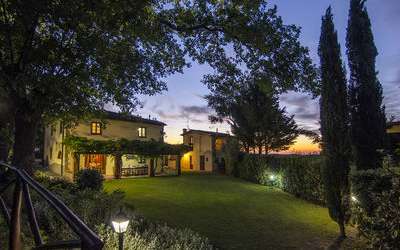 from Arezzo, 50km. 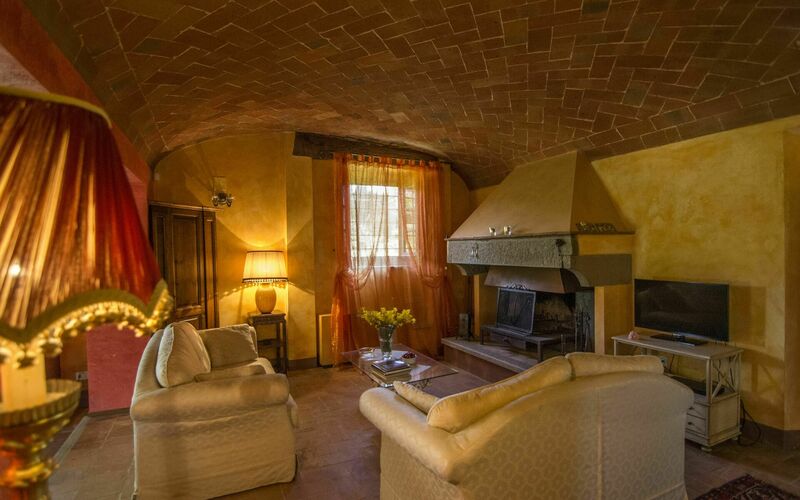 from Florence and from Siena. Ancient farmhouse of about 250sqm. 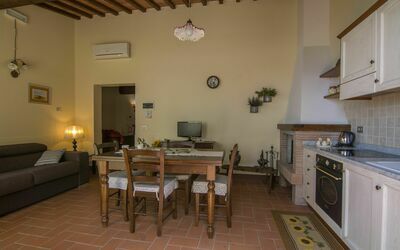 On the ground floor: Studio / bedroom with double sofa bed; 1 bathroom with shower (toilet / bidet); 1 double bedroom; 1 large living room with sofas, fireplace and satellite TV; 1 dining room with large table; a kitchen with four burners, oven, fridge, freezer, microwave, dishwasher. 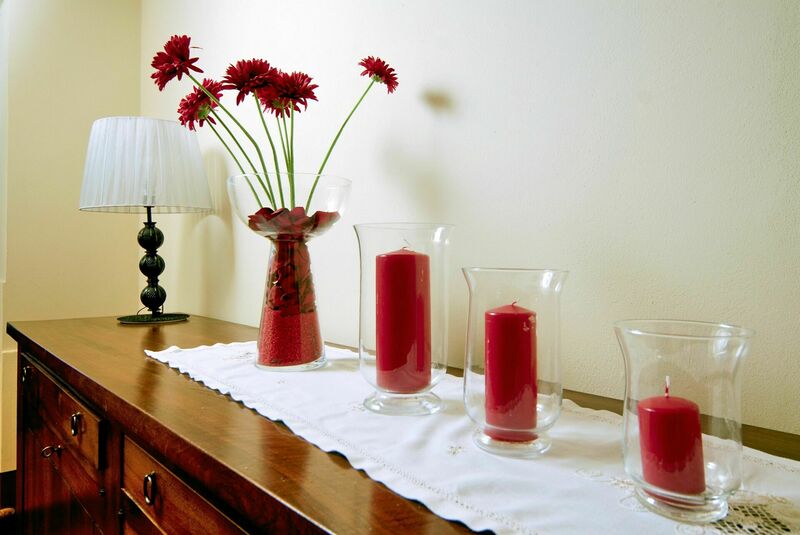 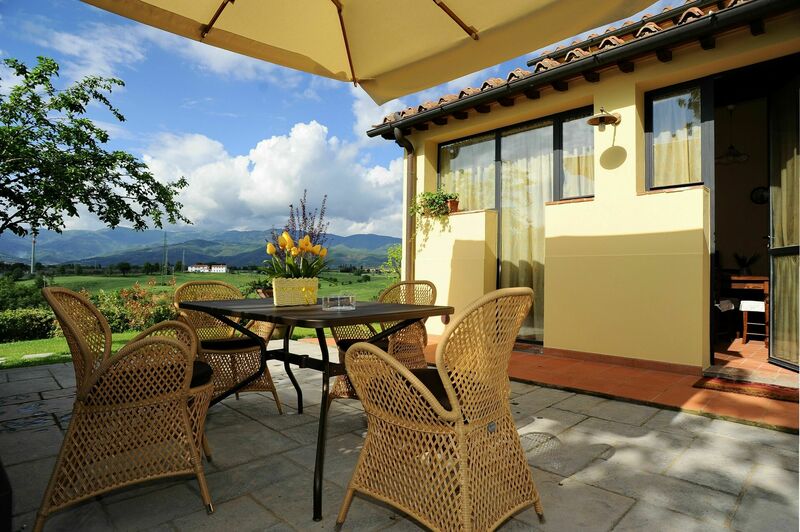 From the living room you access to an outdoor patio furnished with a large table. 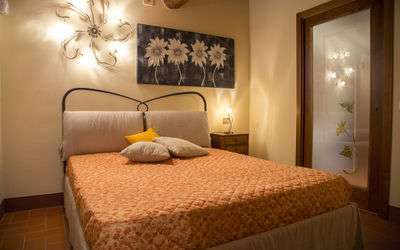 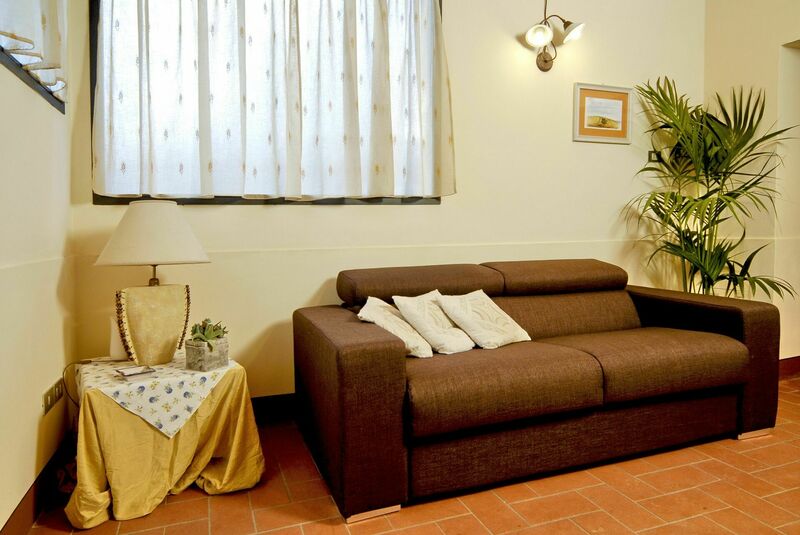 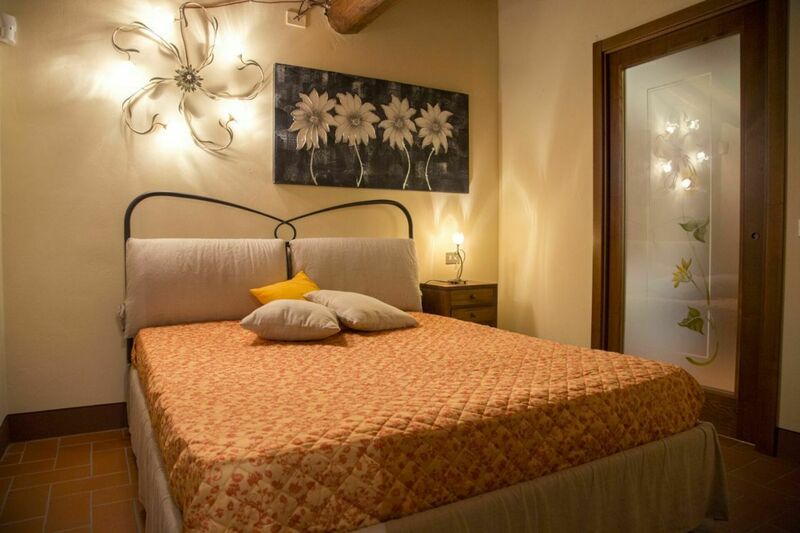 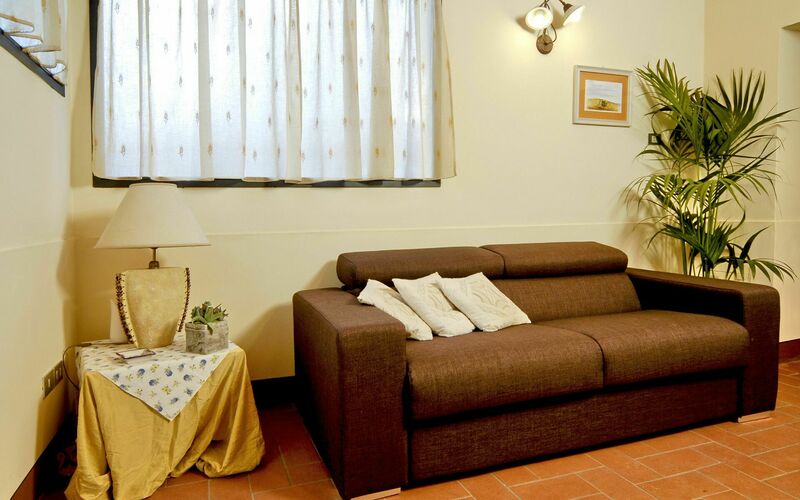 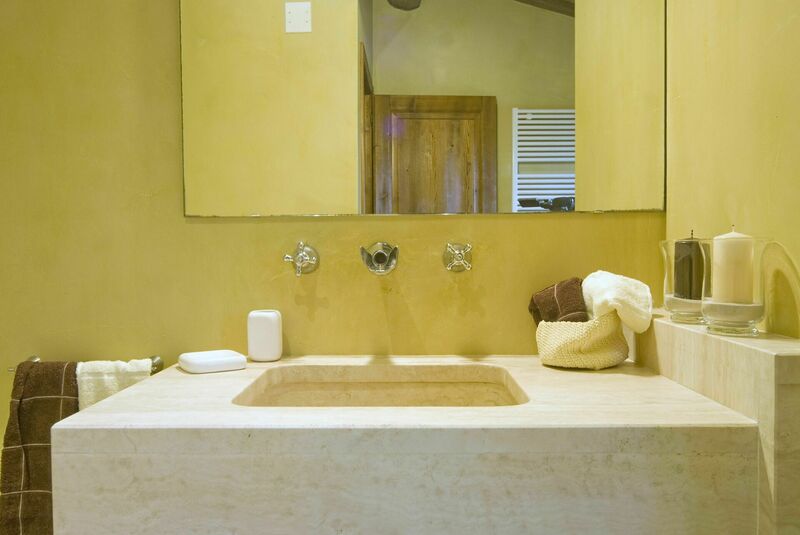 On the first floor: large living room with sofa, fireplace, satellite TV and double sofa bed; 1 triple bedroom with one double bed and one single bed; 1 bathroom with shower (toilet / bidet); 1 double bedroom; 1 bathroom with shower (toilet / bidet) and Jacuzzi Jacuzzi for two people. On the ground floor: Living / kitchen (oven and fridge) with fireplace and satellite TV; 1 double bedroom; 1 bathroom with shower (toilet / bidet). On the first floor: (with independent entrance) living room with kitchenette (fridge, gas hob, oven) and satellite TV; 1 double bedroom; 1 bathroom with shower (toilet / bidet).